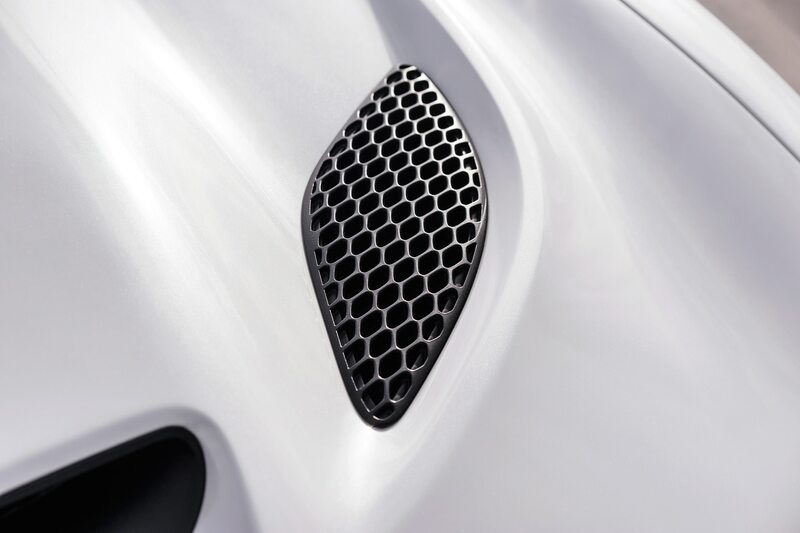 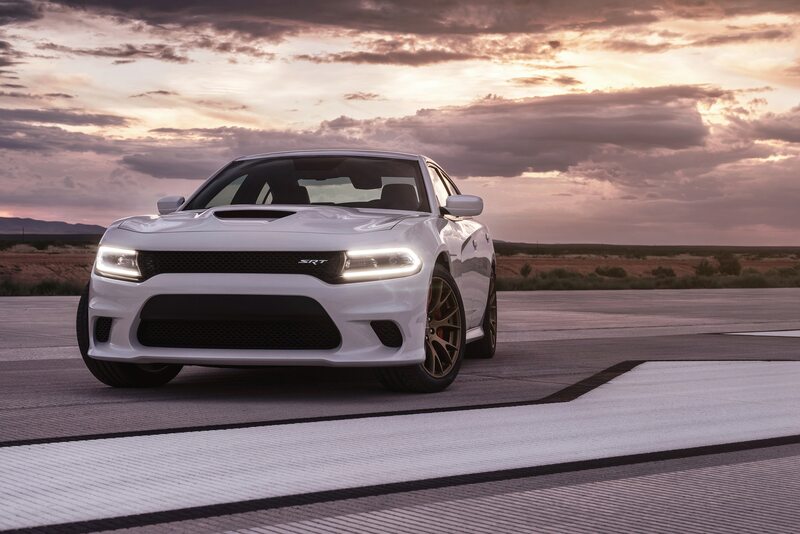 Old-school muscle faces the performance car of the future. 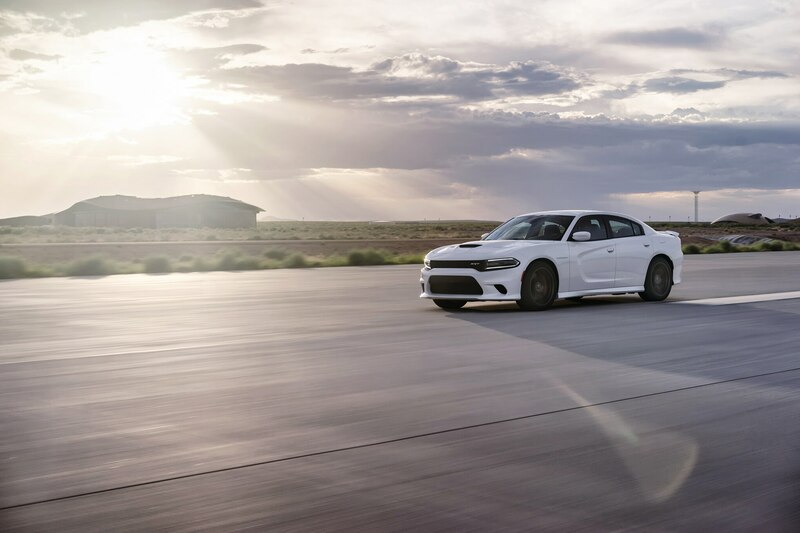 On the newest episode of Head 2 Head, Motor Trend’s Jonny Lieberman squares off two of America’s most potent four-doors. 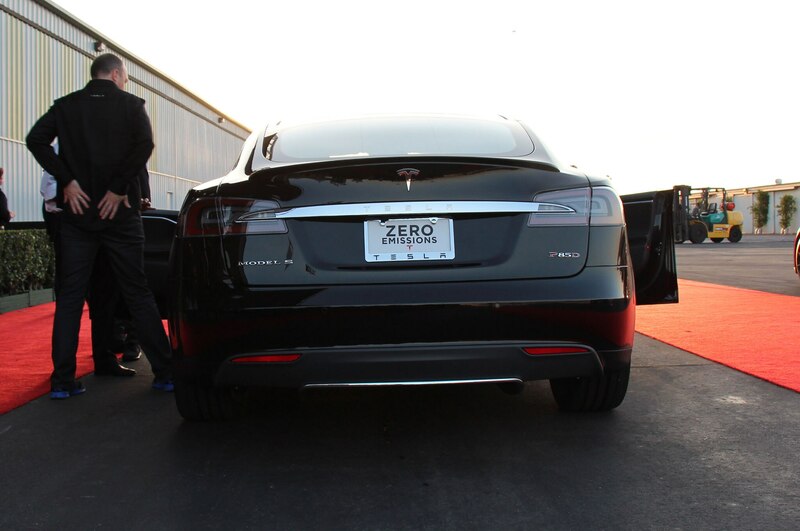 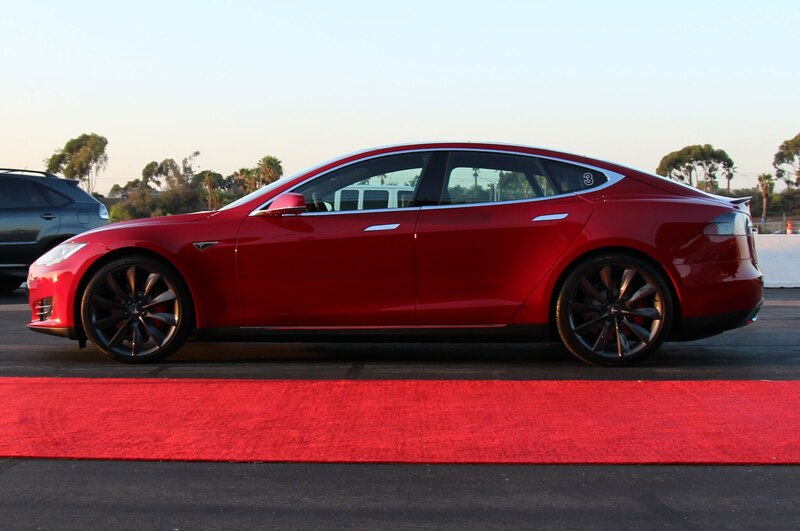 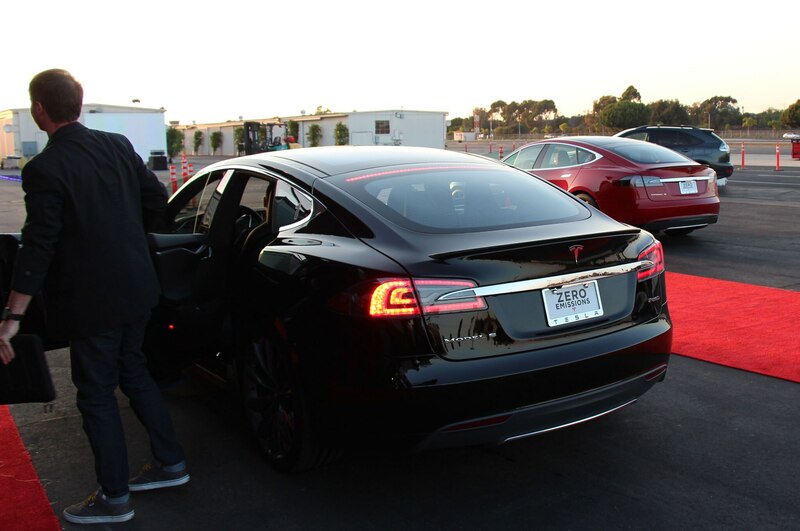 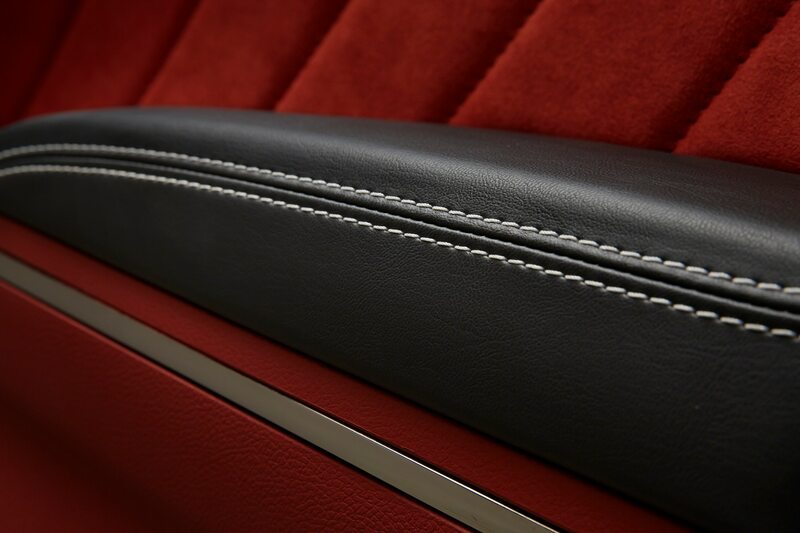 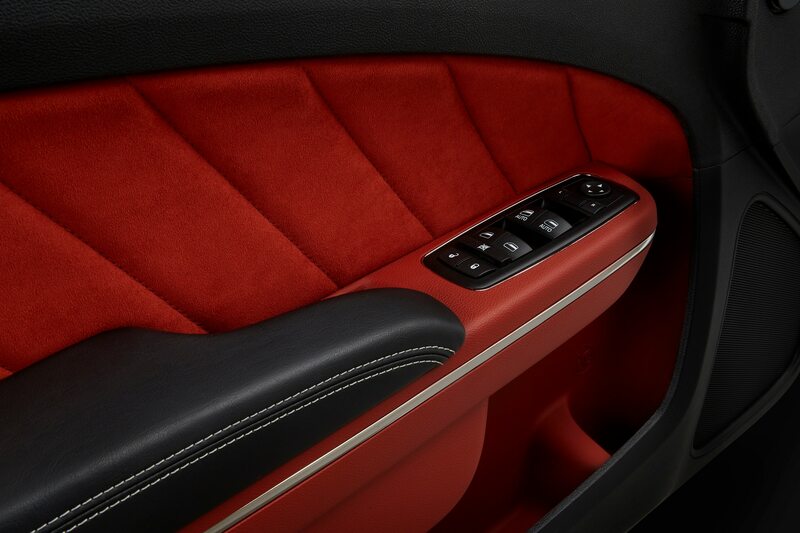 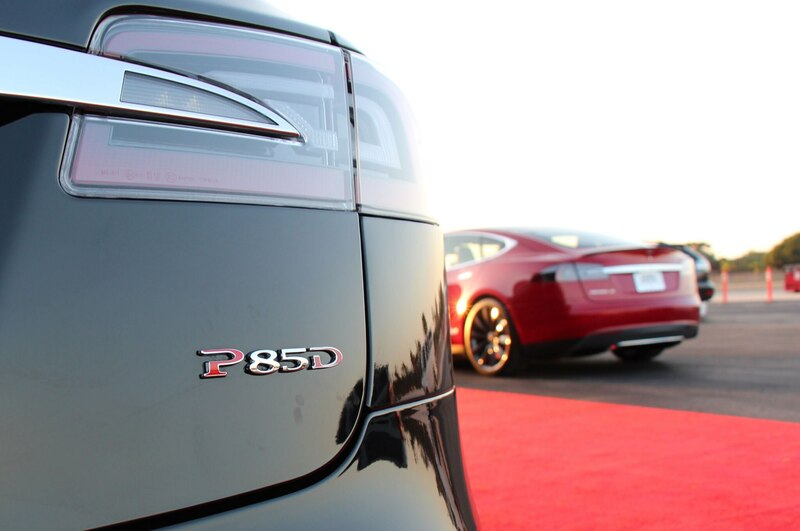 In one corner, the Tesla Model S P85D utilizes its dual electric motors to push out 691 hp and 687 lb-ft of torque, launching the P85D to 60 in a skin-rippling 3.2 seconds. 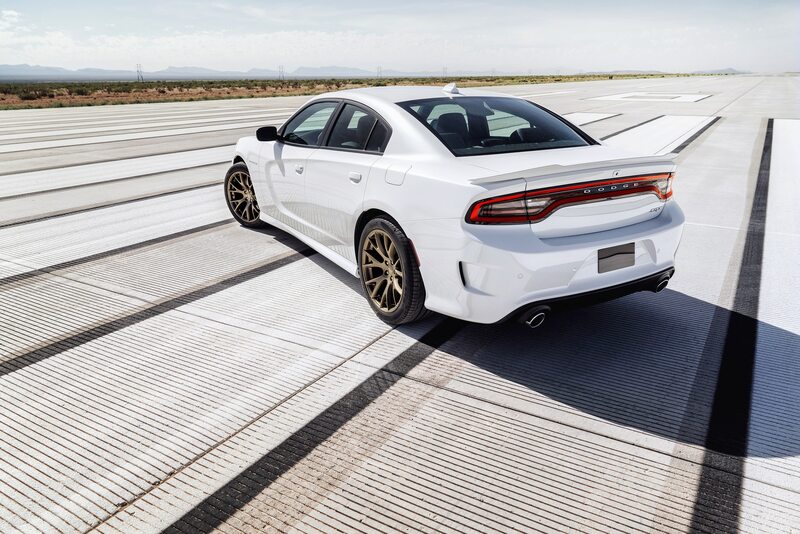 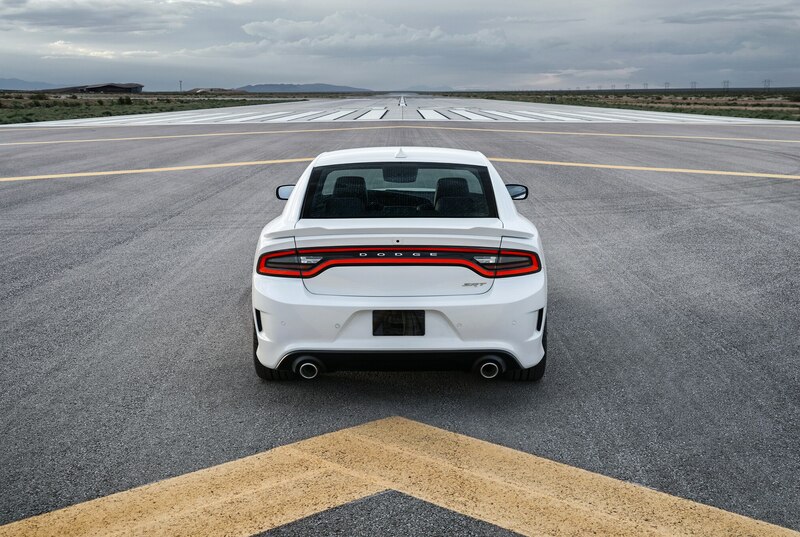 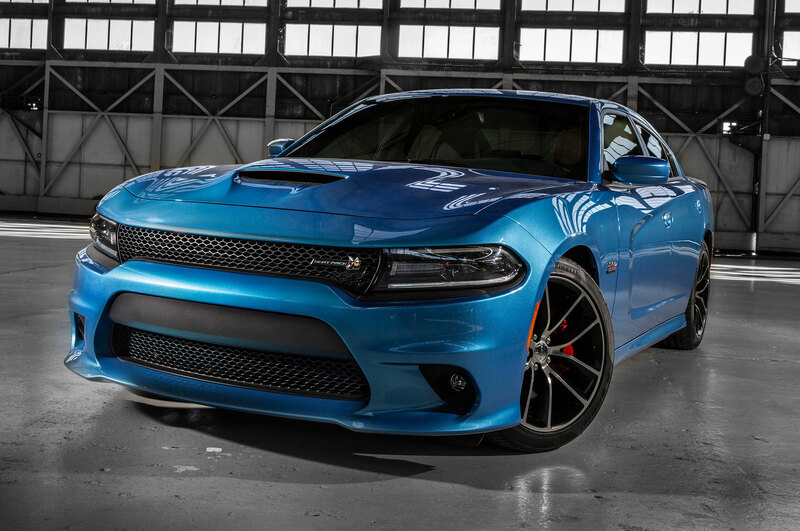 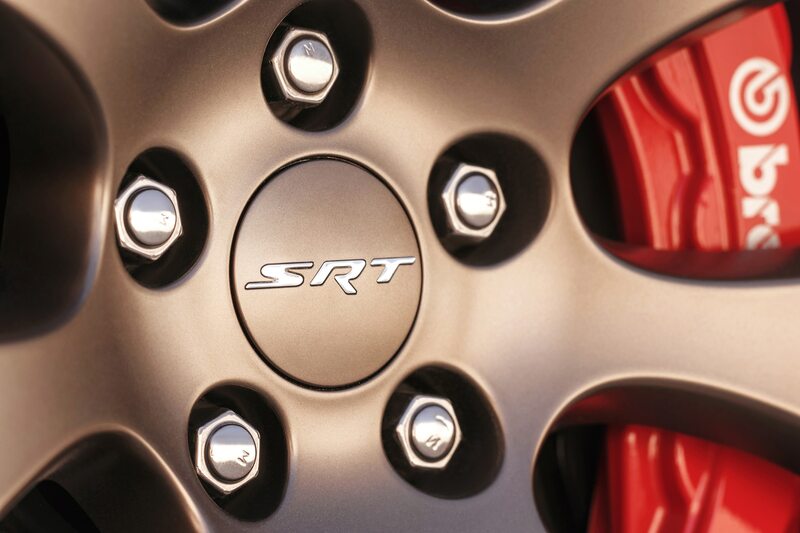 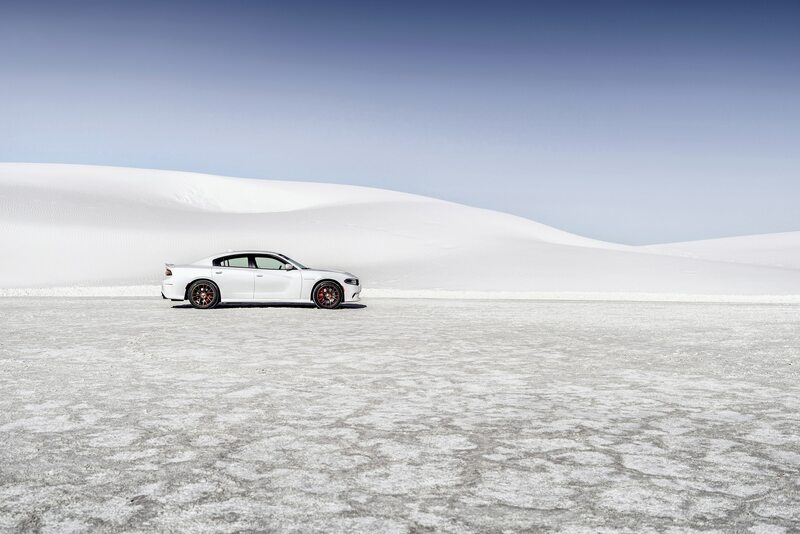 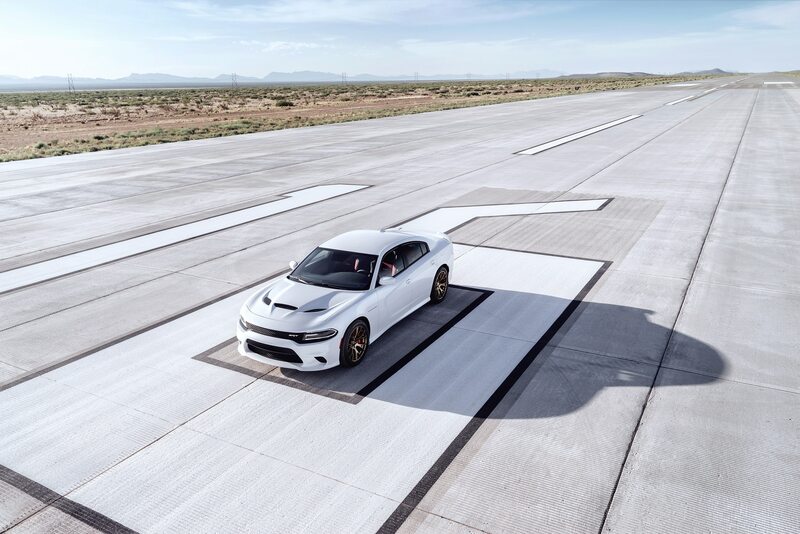 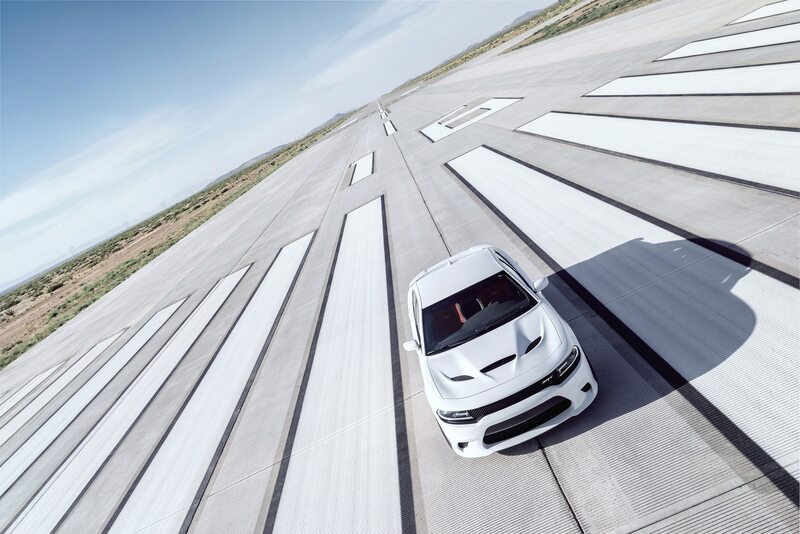 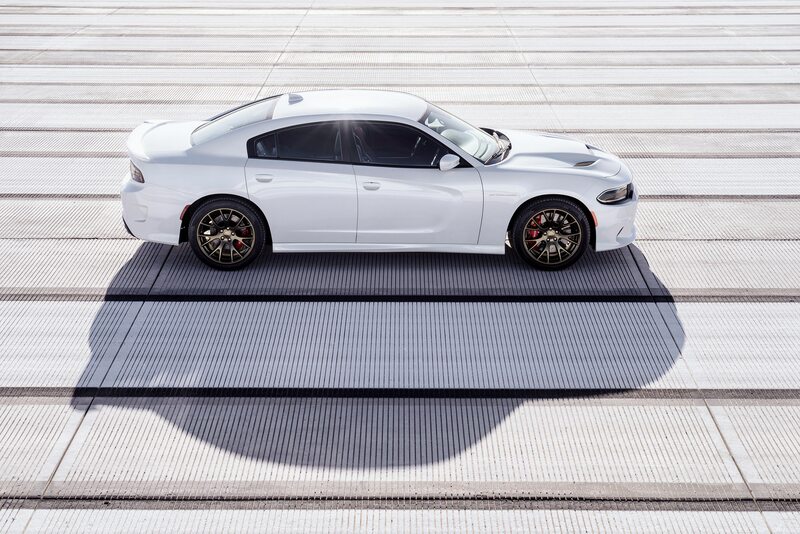 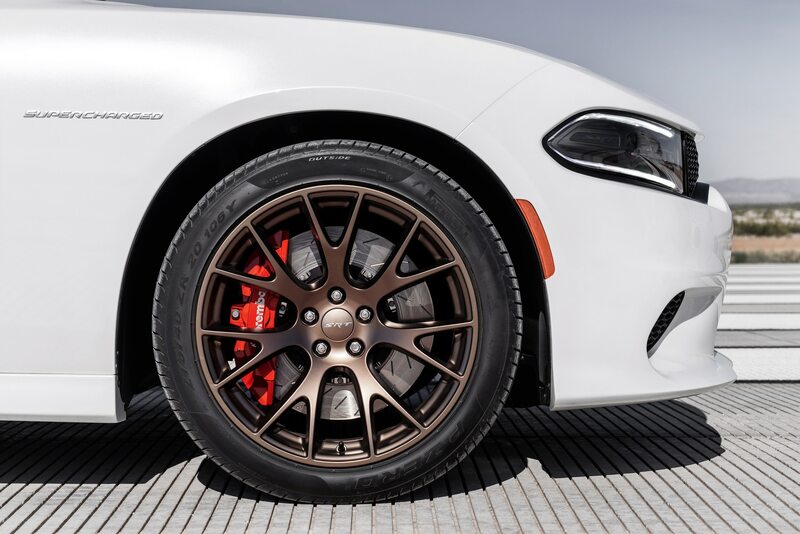 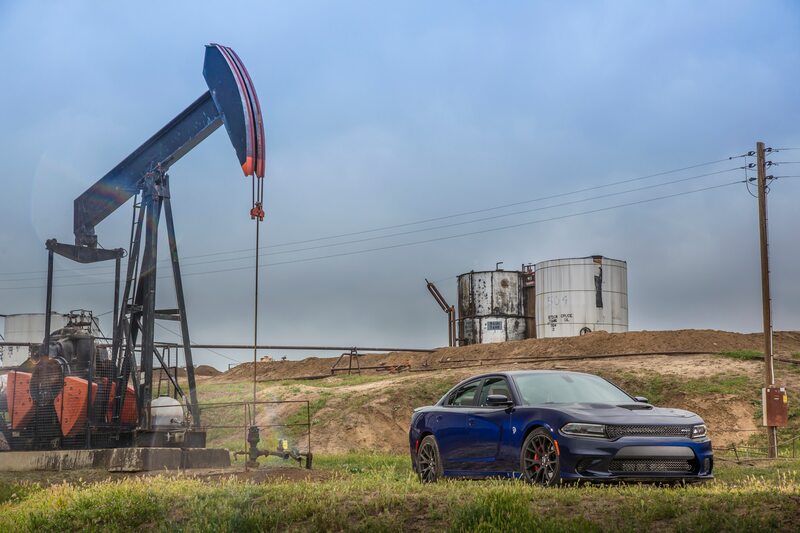 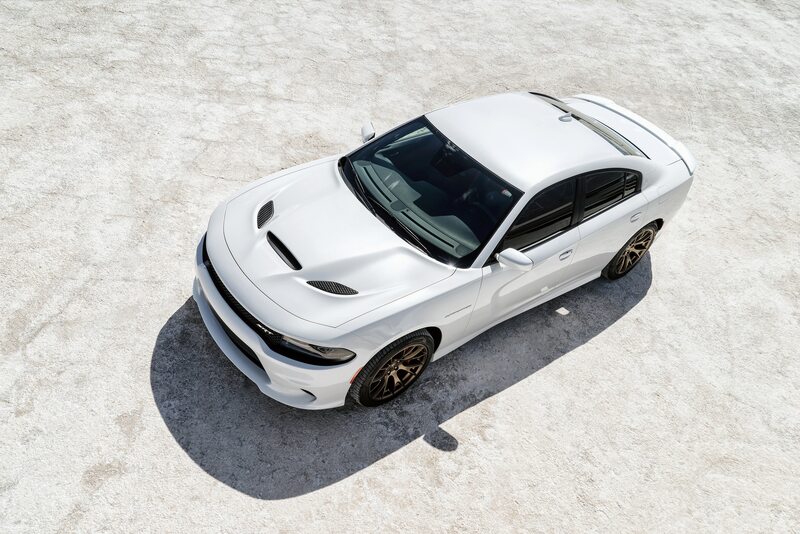 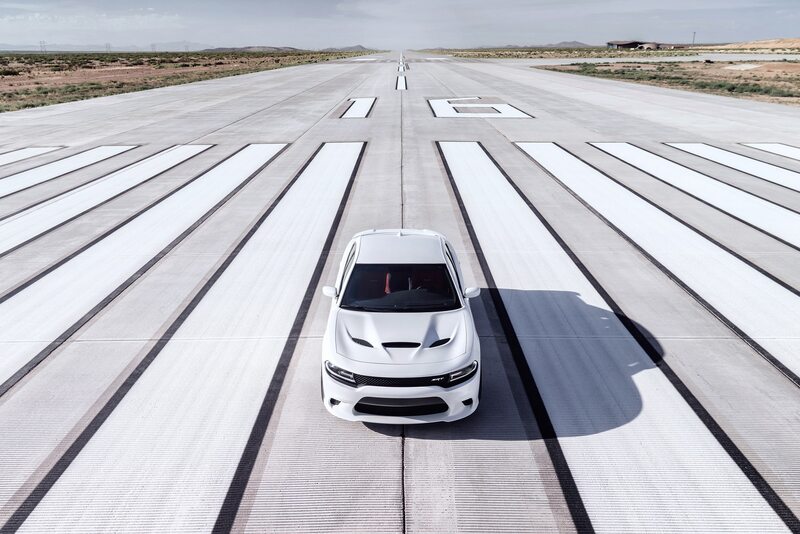 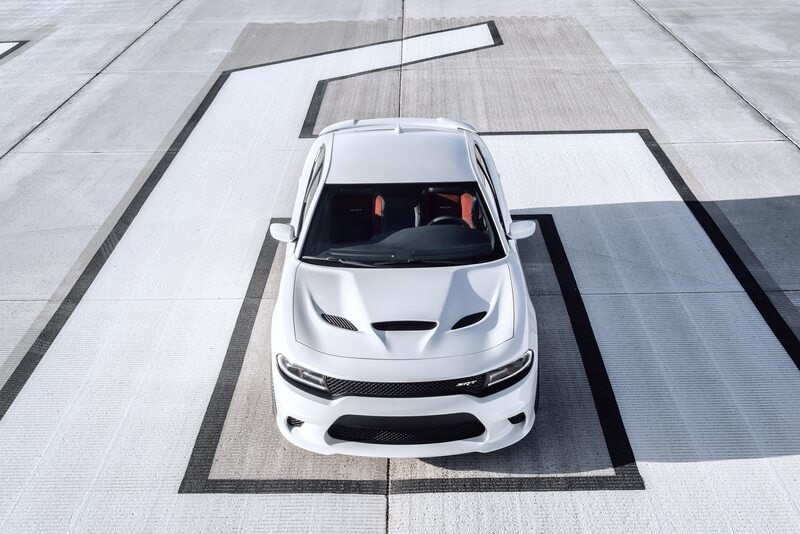 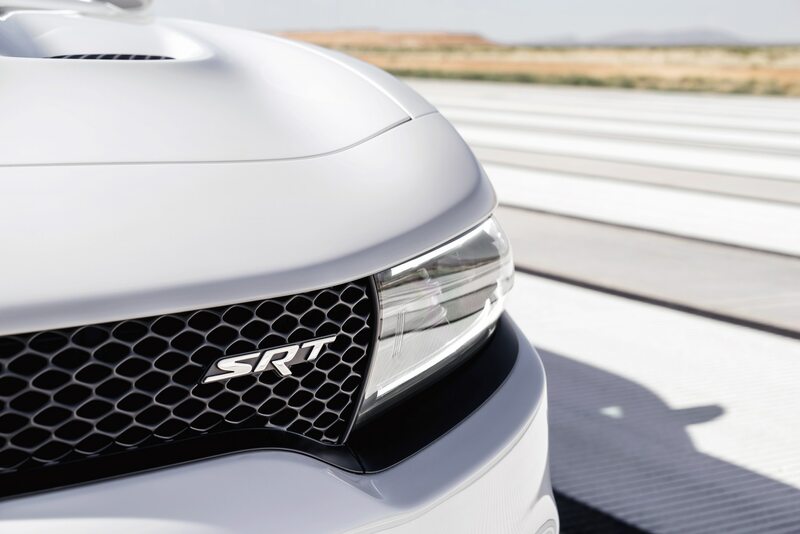 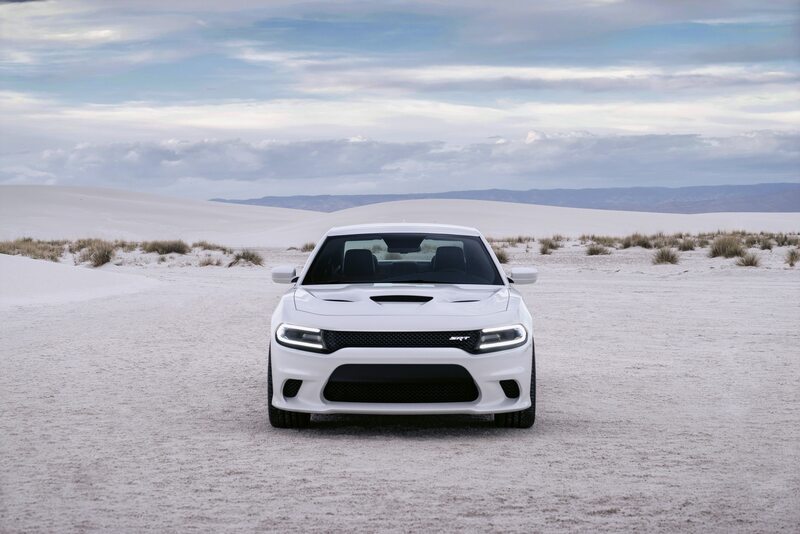 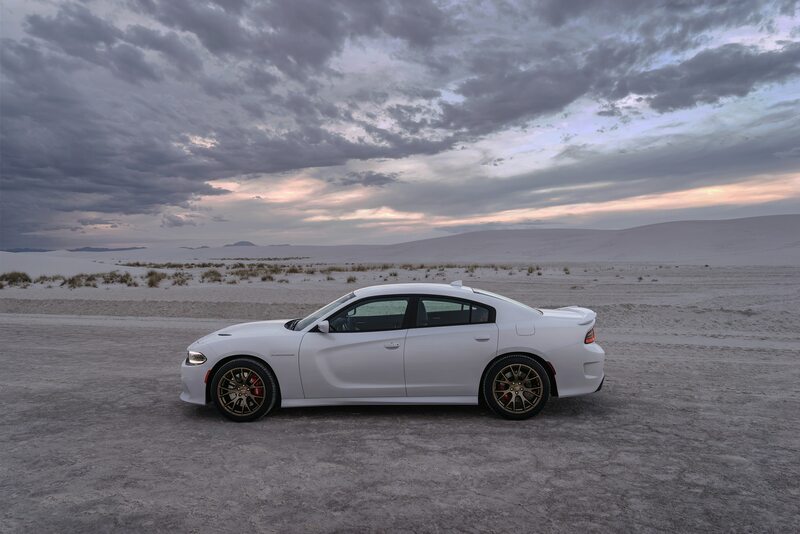 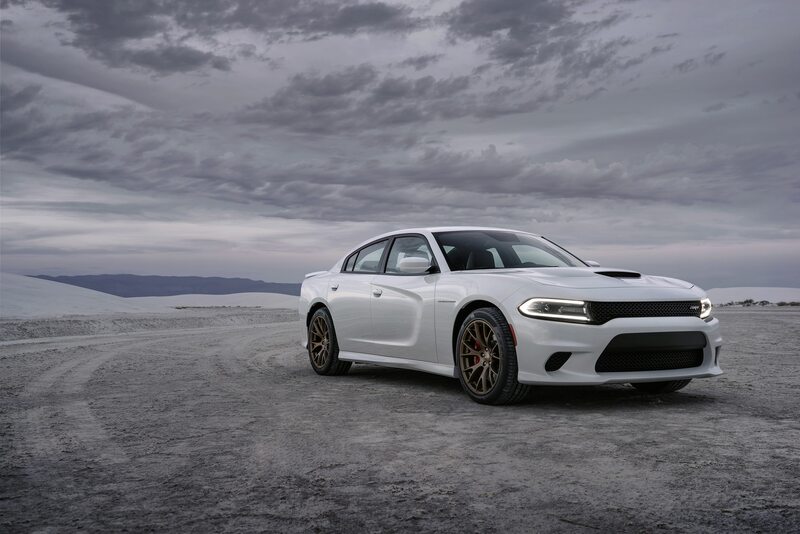 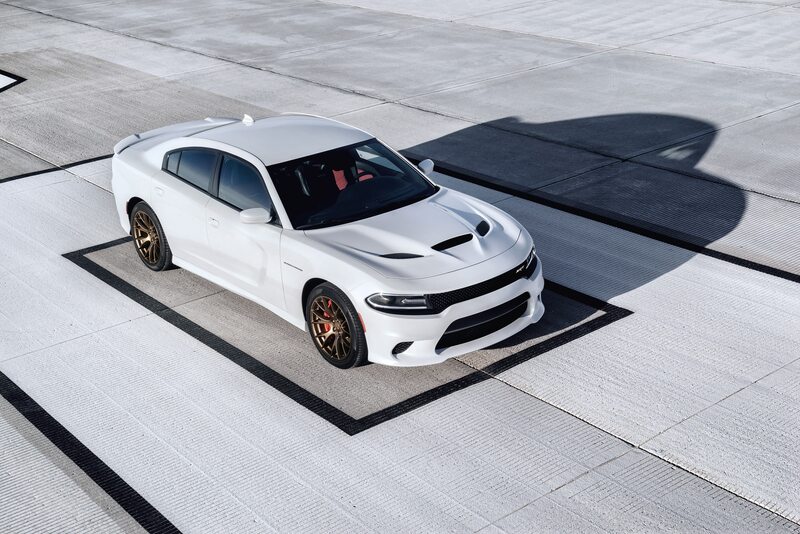 In the other corner, the corn-fed, country-raised Dodge Charger SRT Hellcat roars its challenge at the west-coast rocket, with 707 hp and 650 lb-ft of torque fired at the rear wheels from the 6.2-liter supercharged V-8, slinging the Charger to 60 in 3.7 seconds. 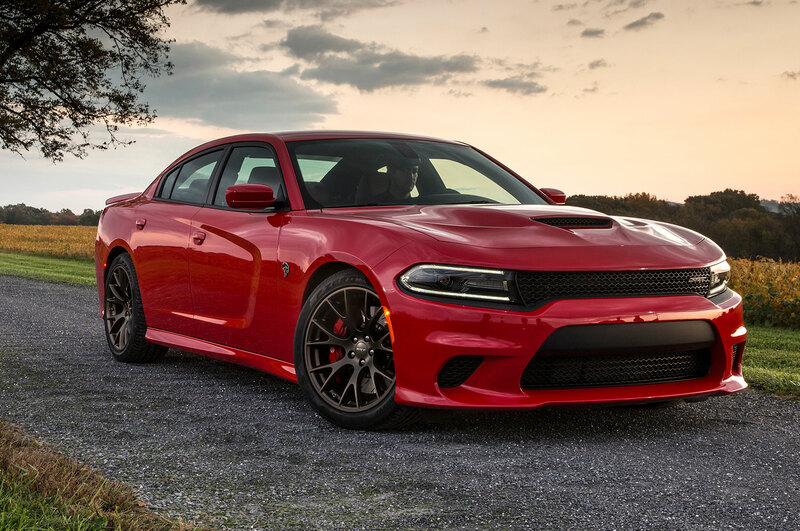 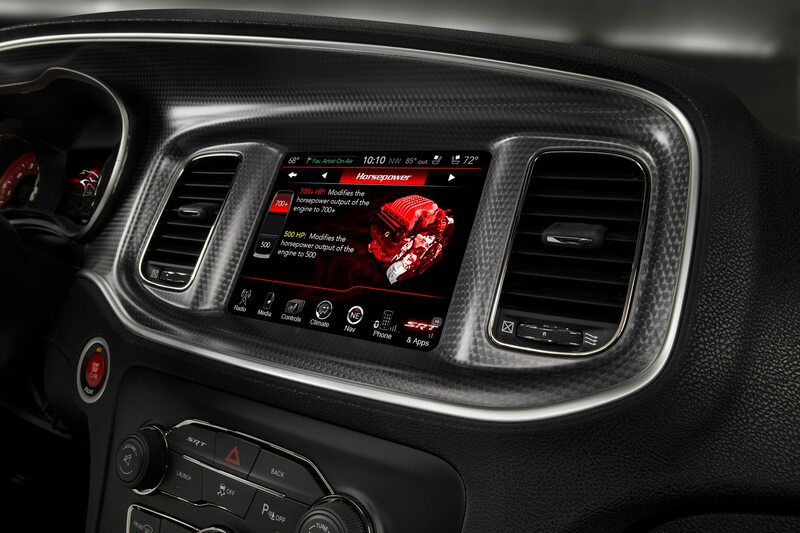 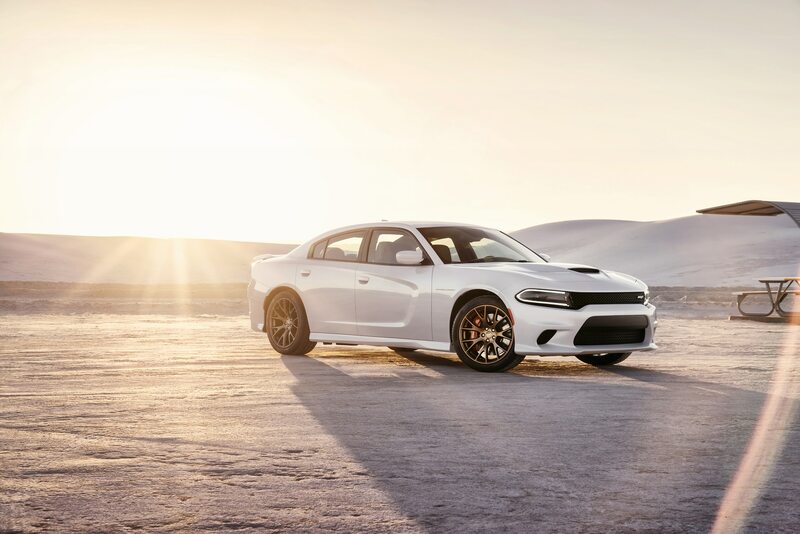 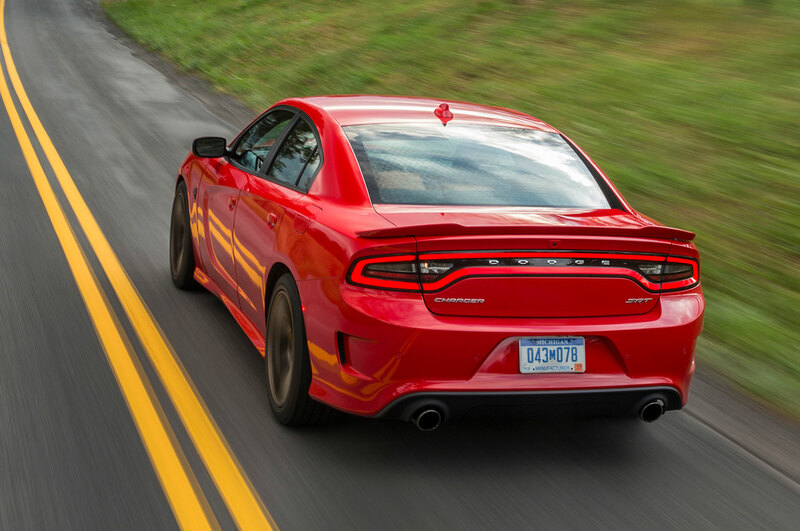 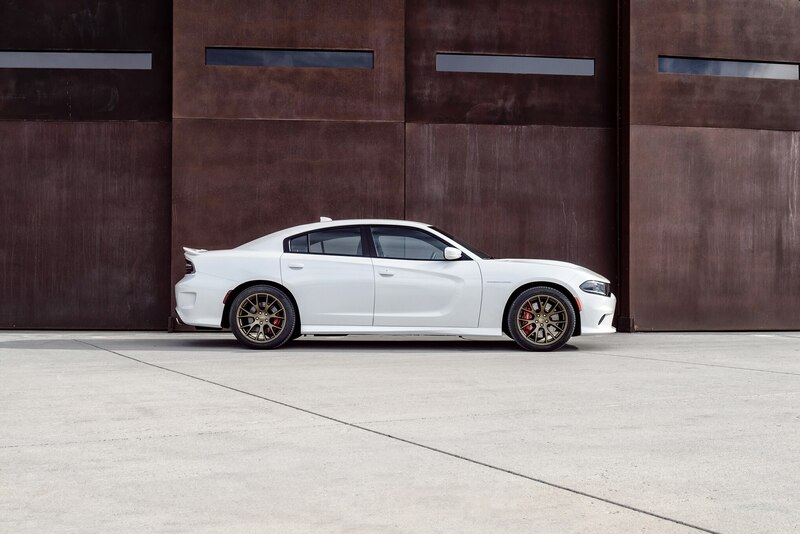 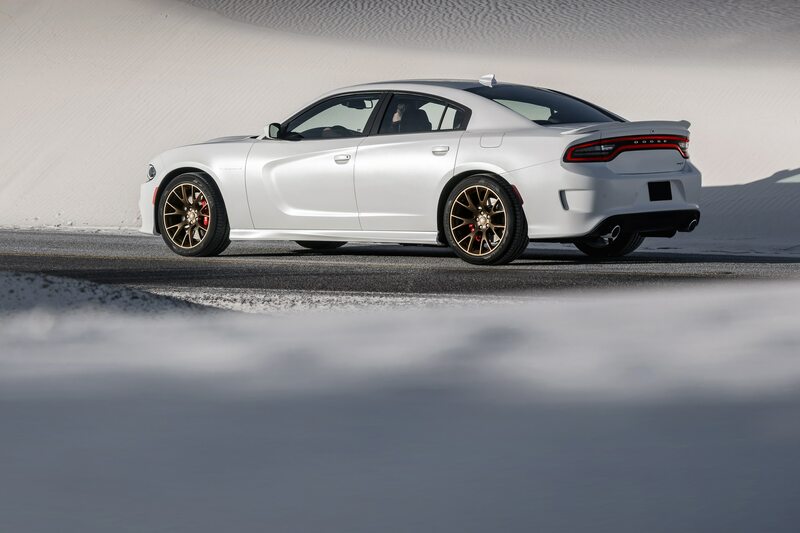 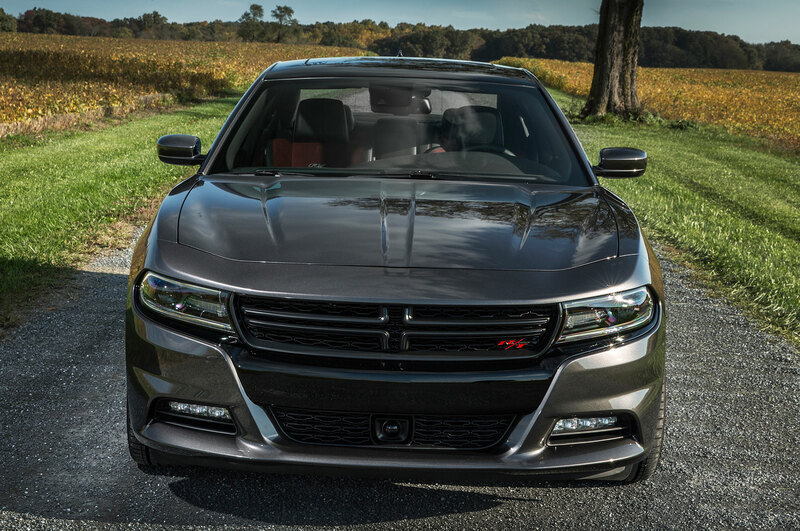 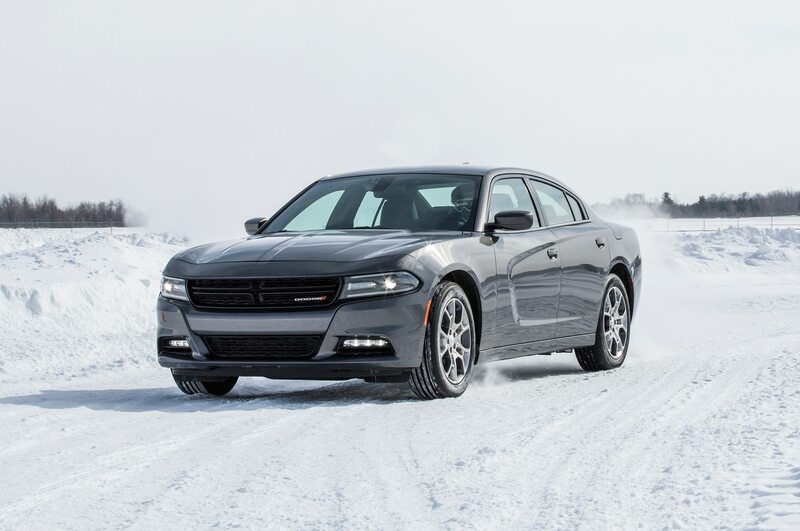 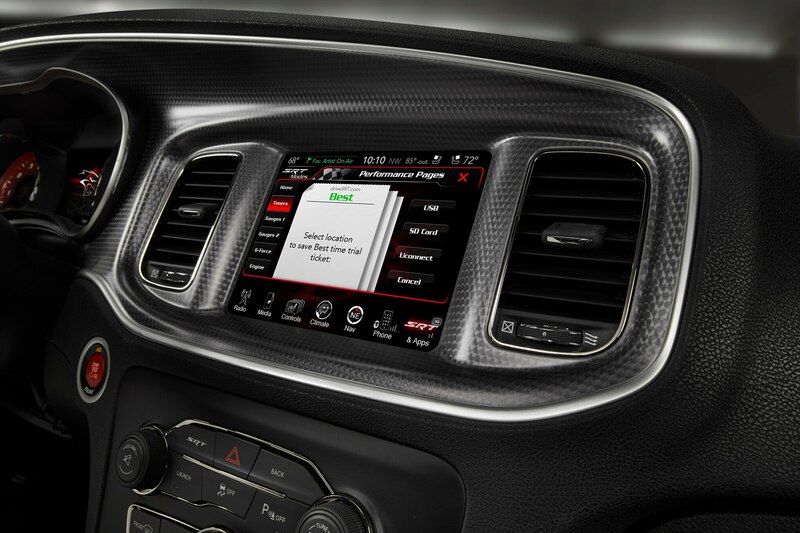 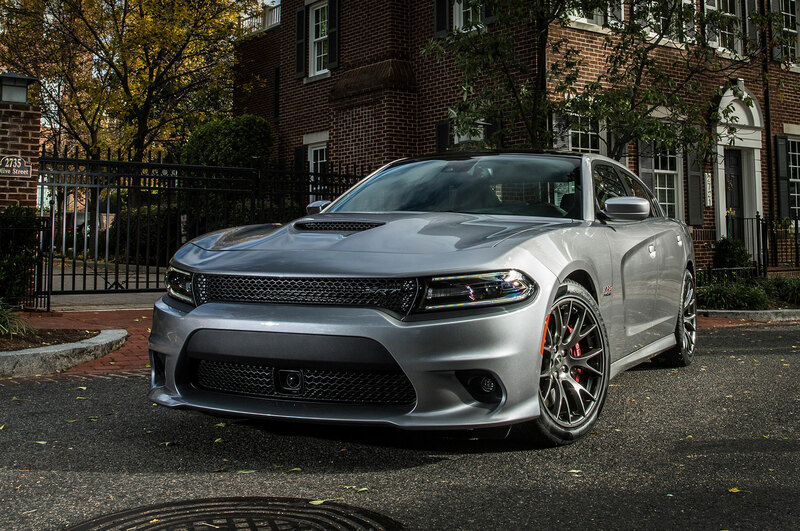 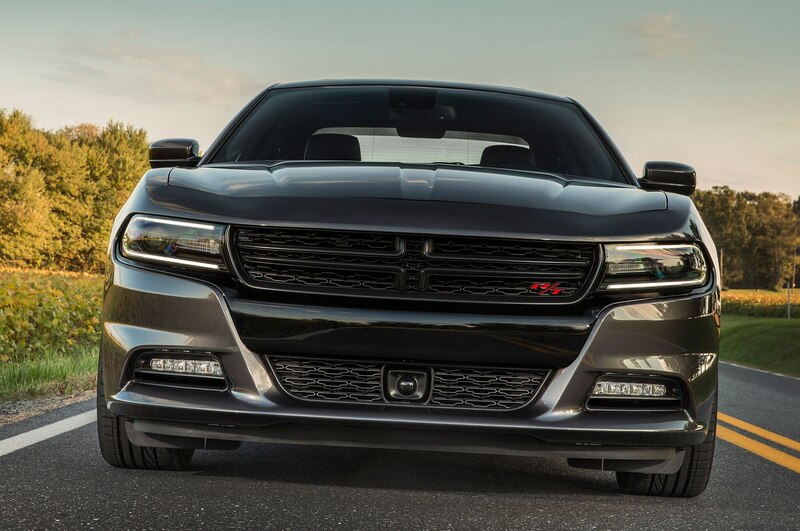 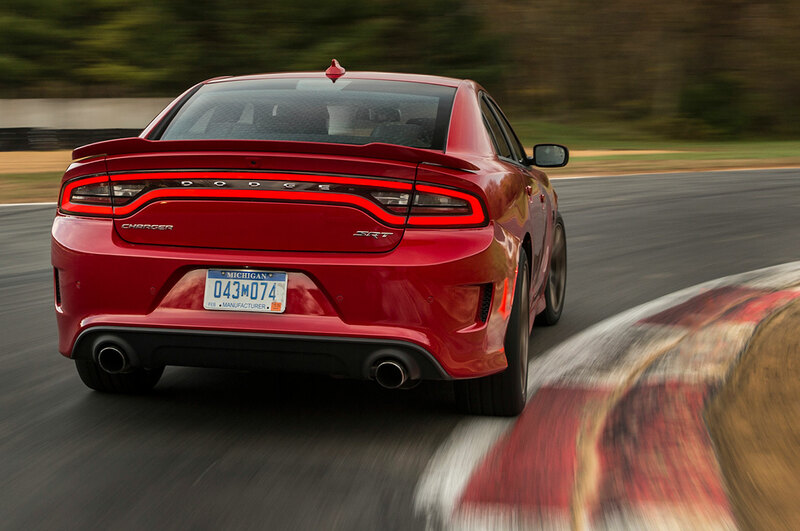 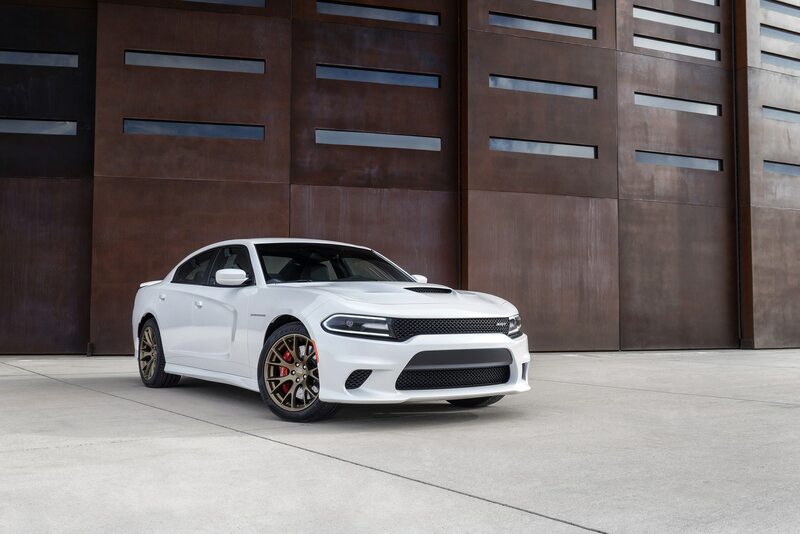 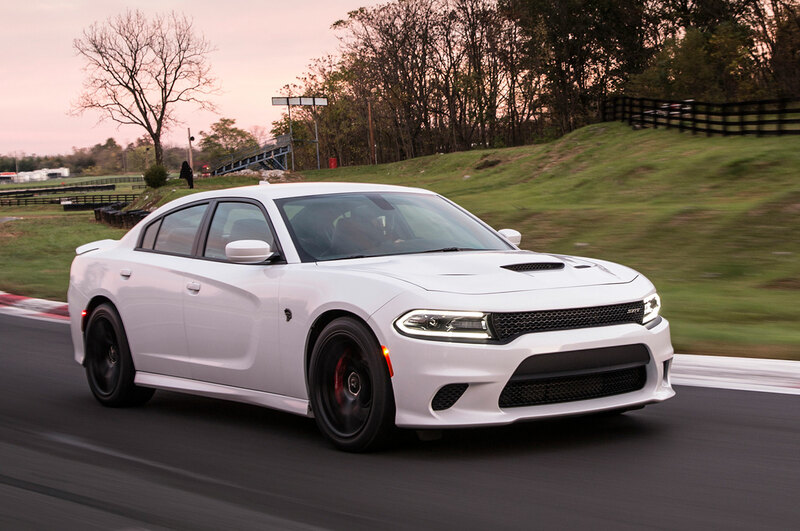 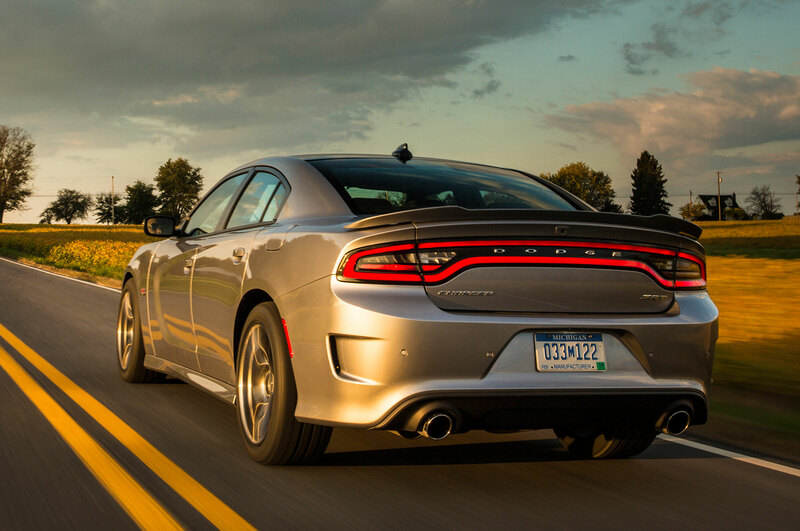 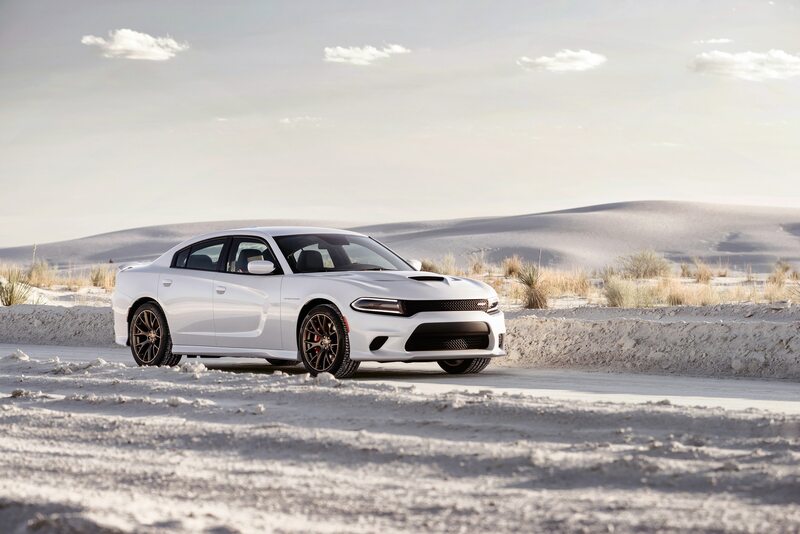 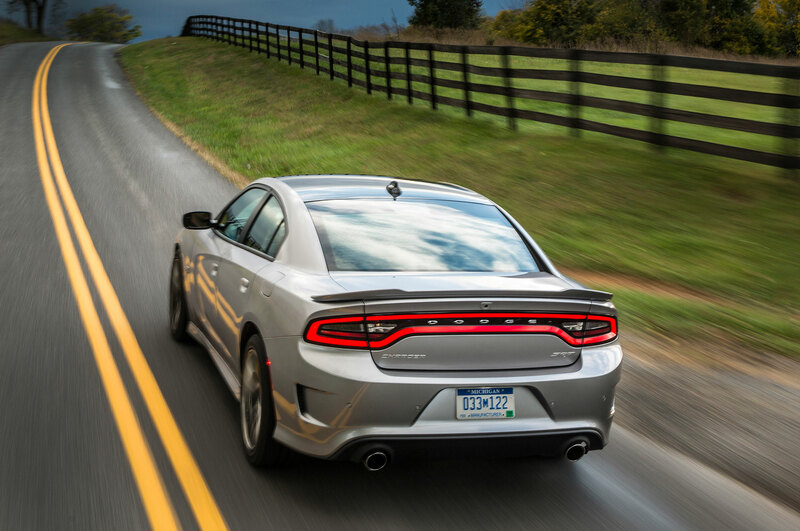 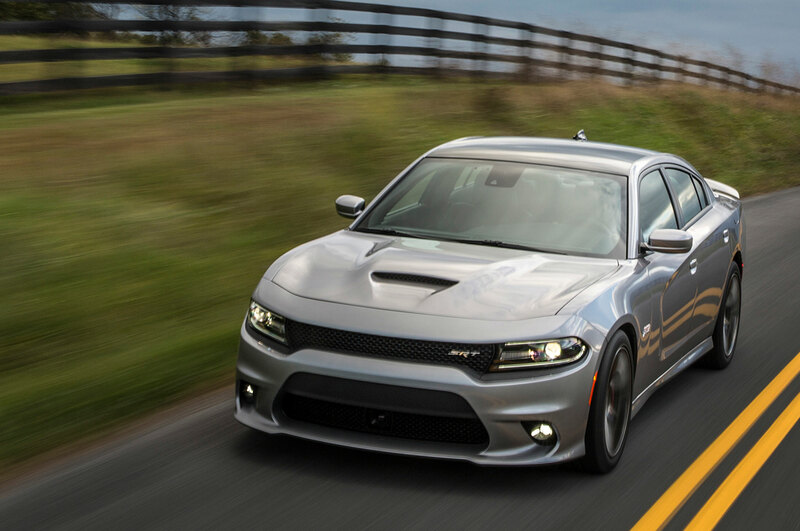 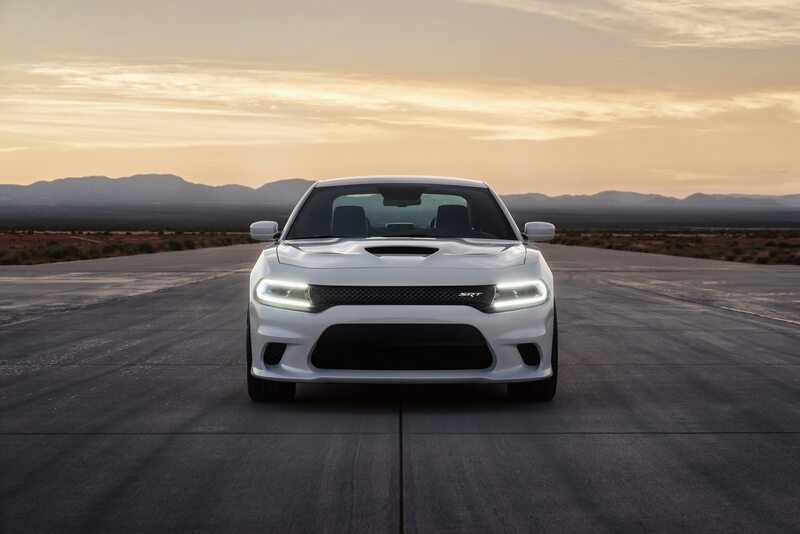 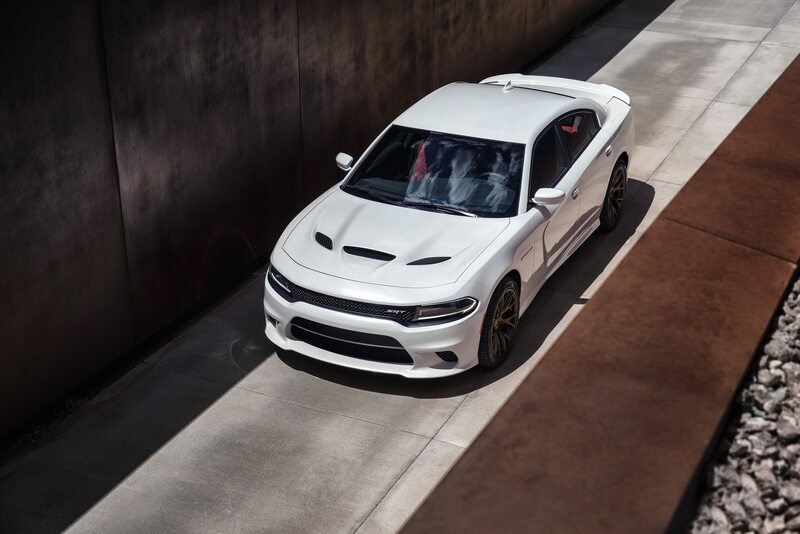 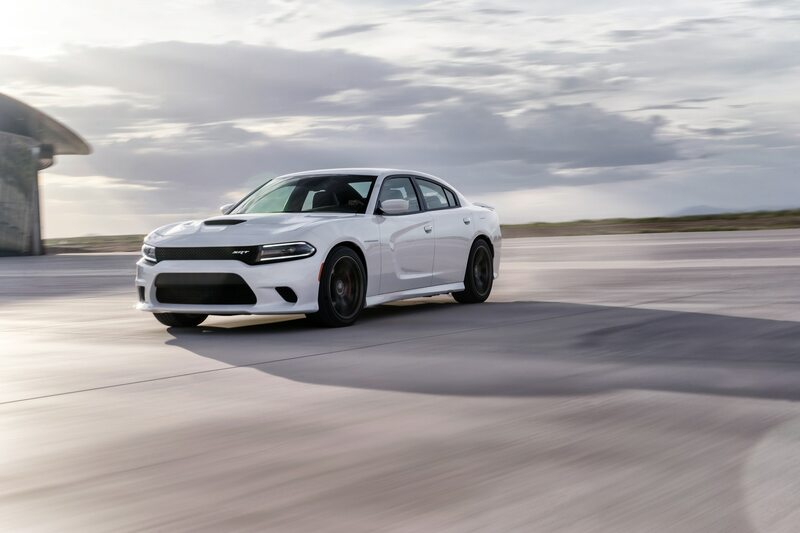 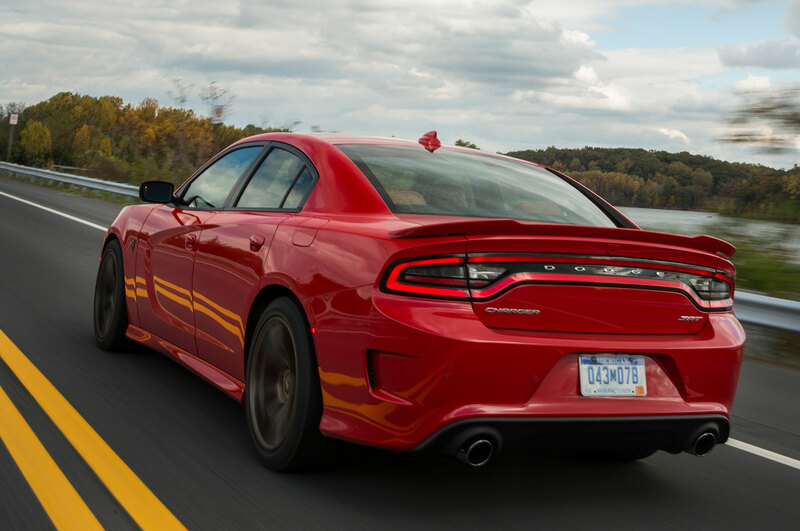 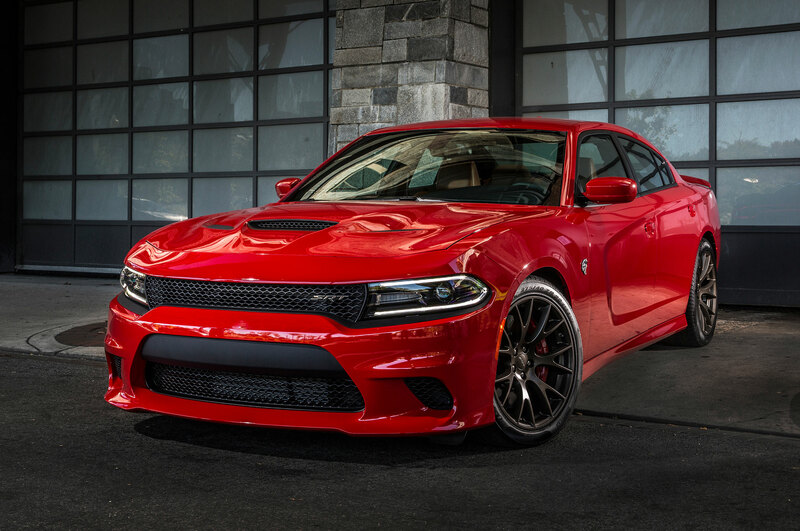 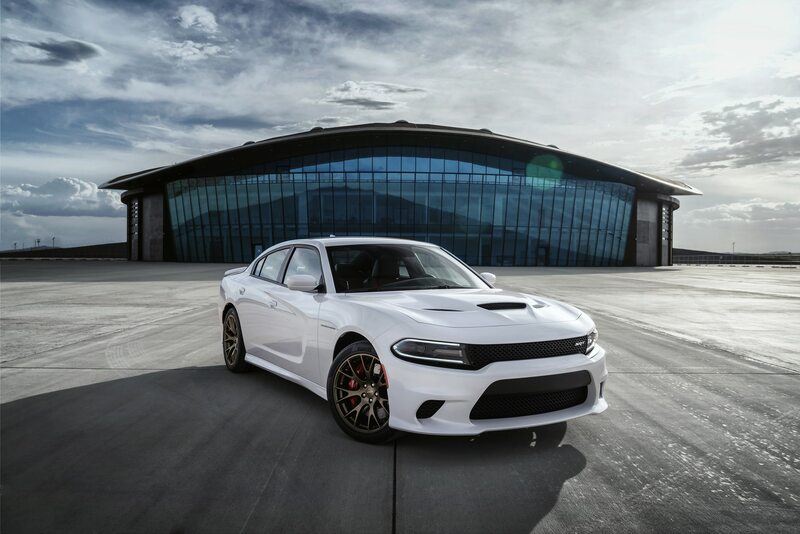 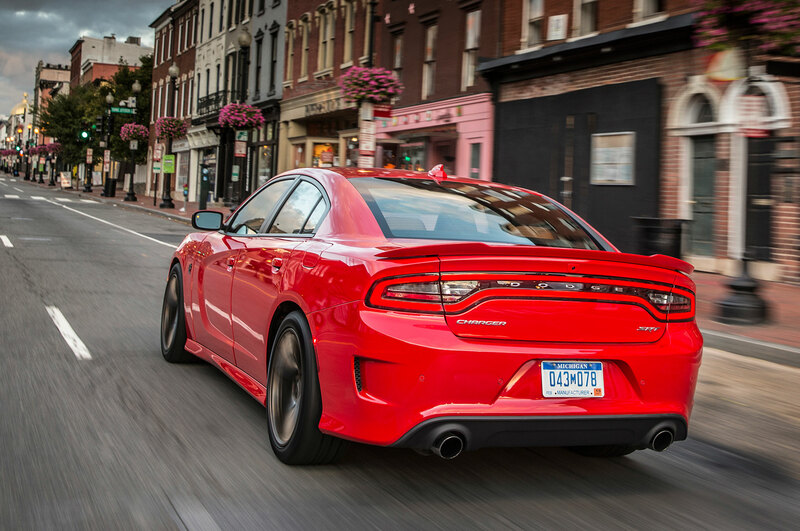 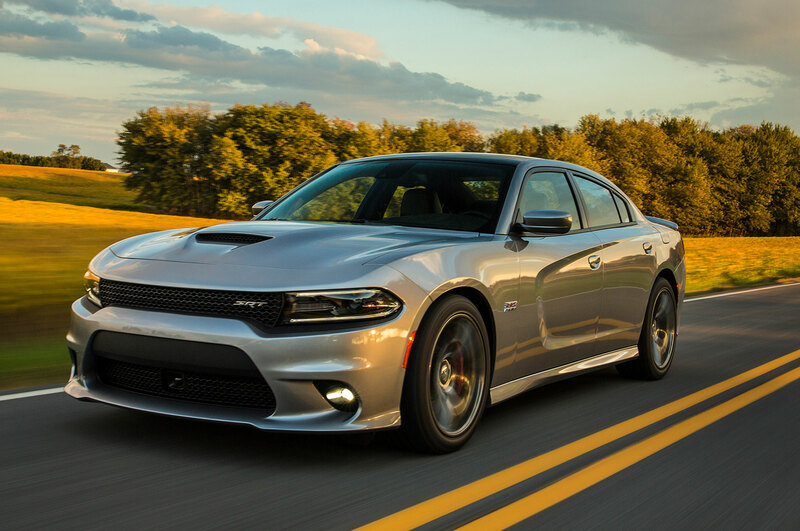 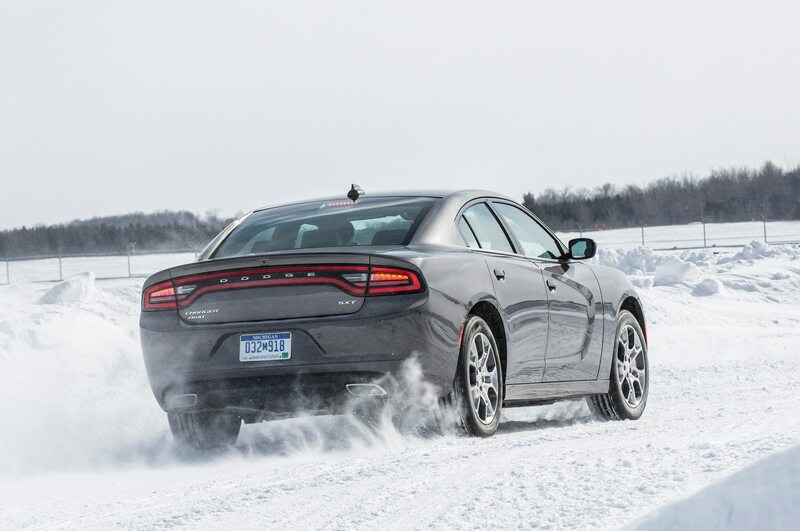 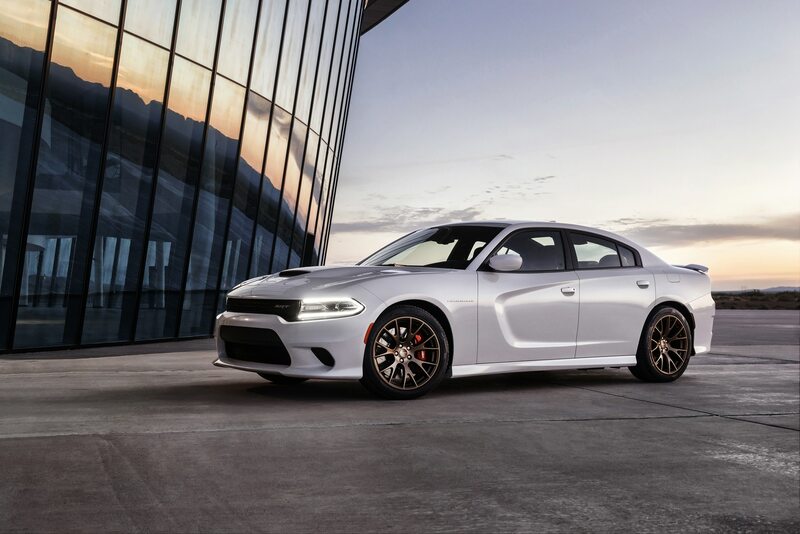 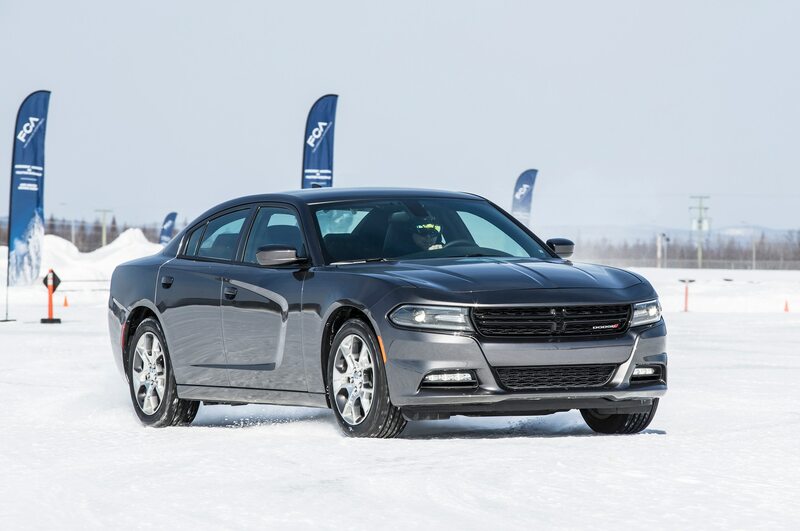 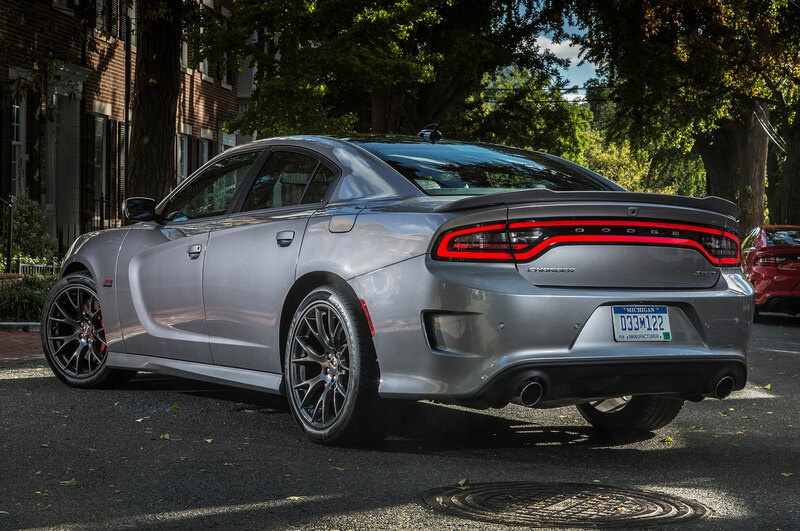 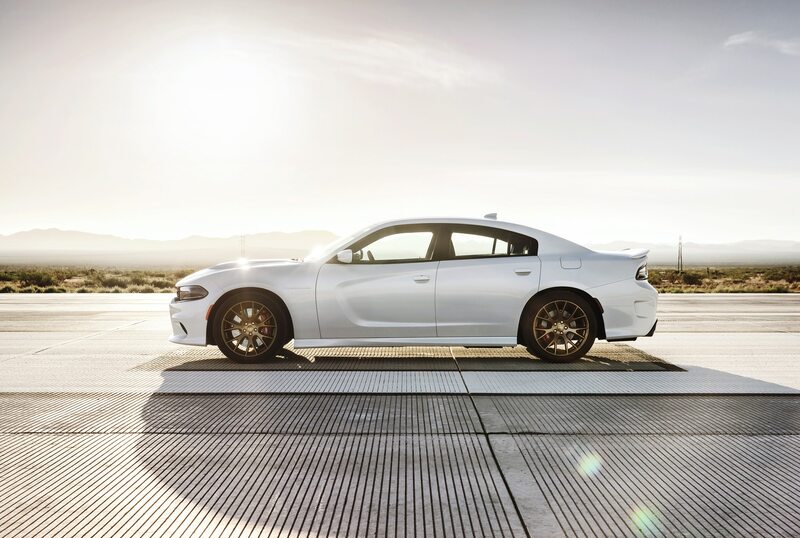 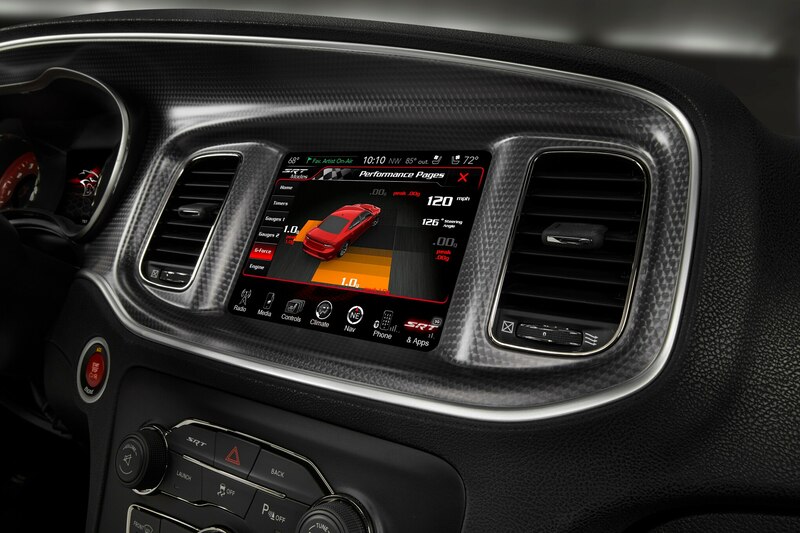 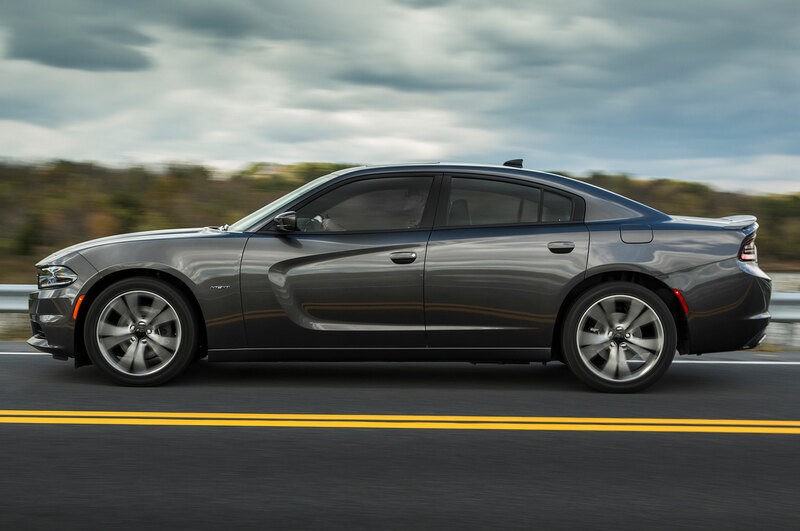 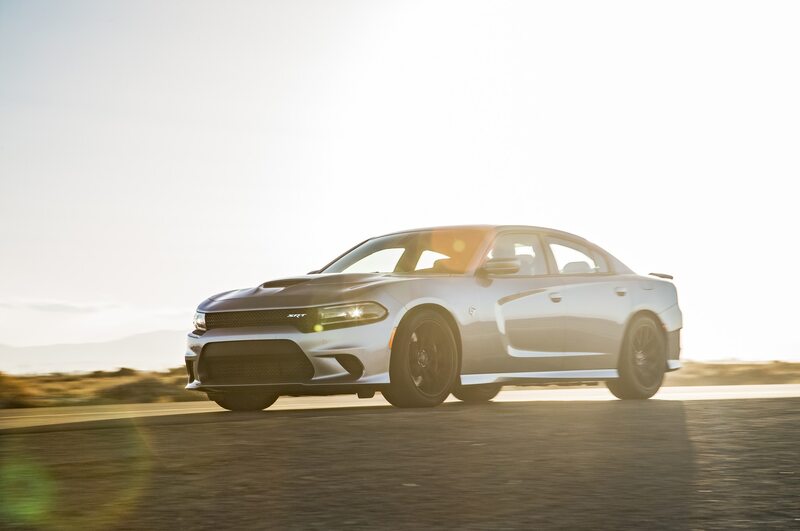 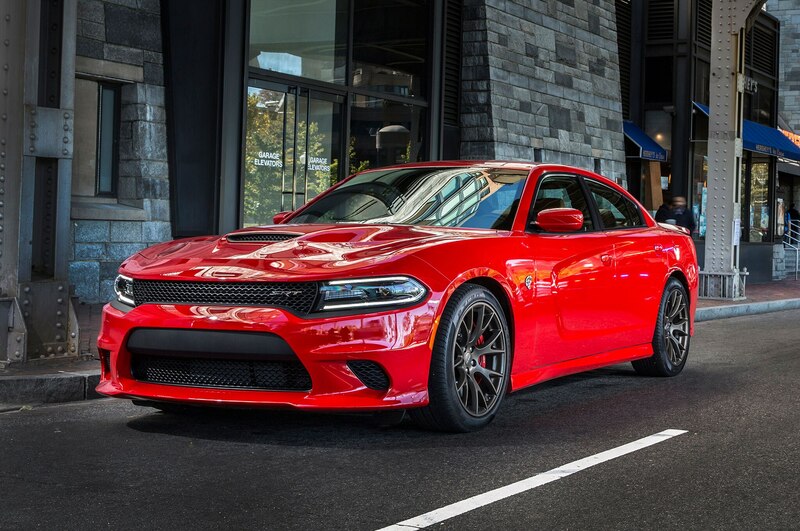 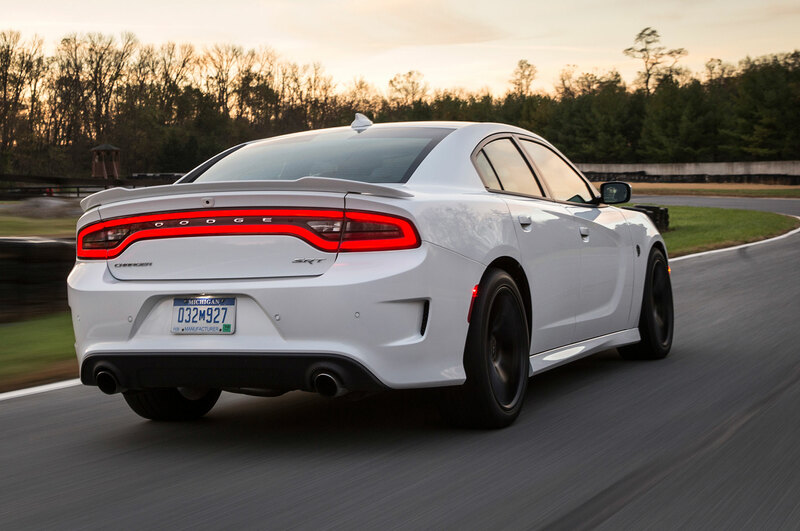 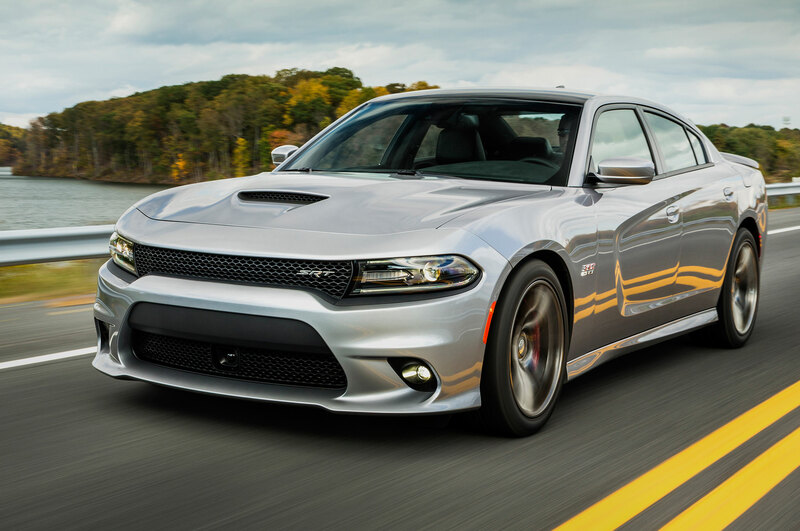 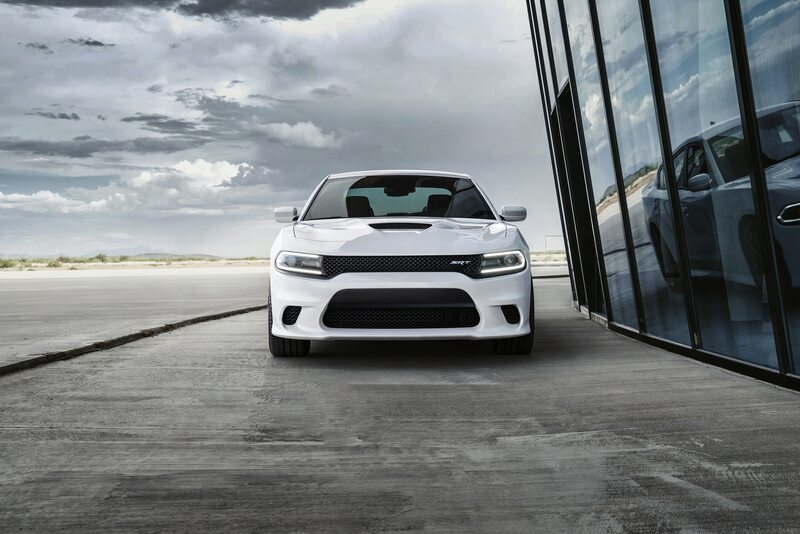 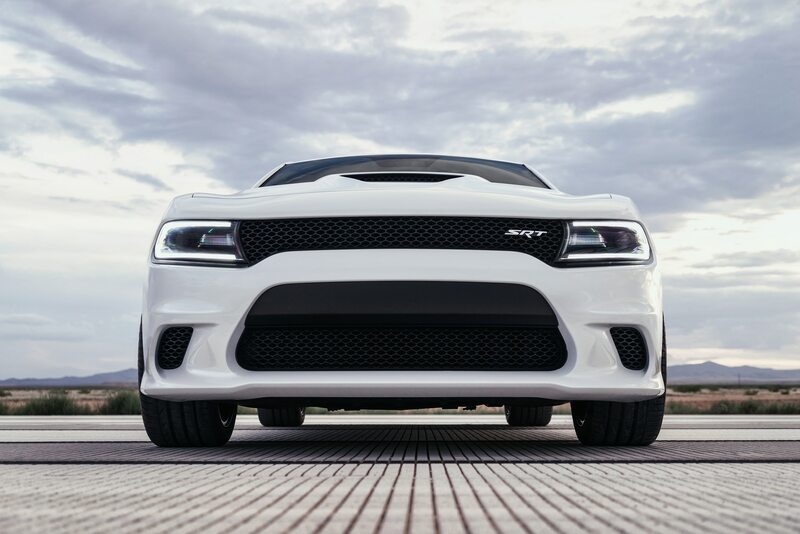 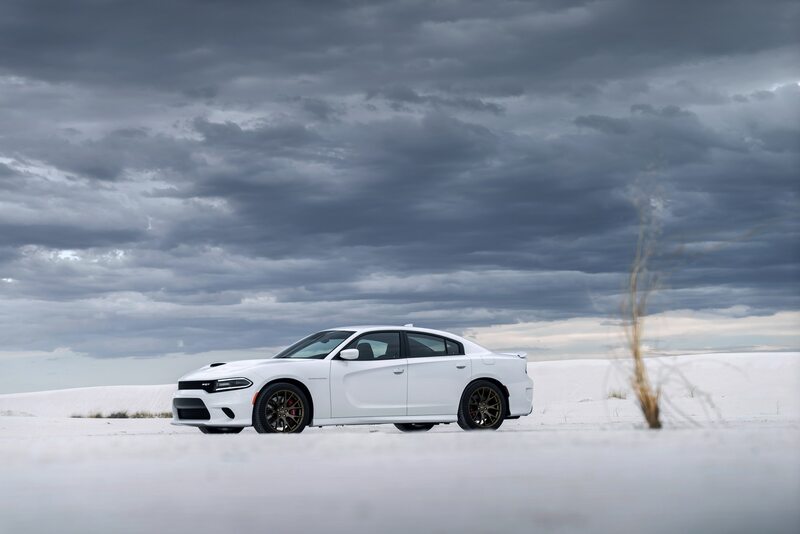 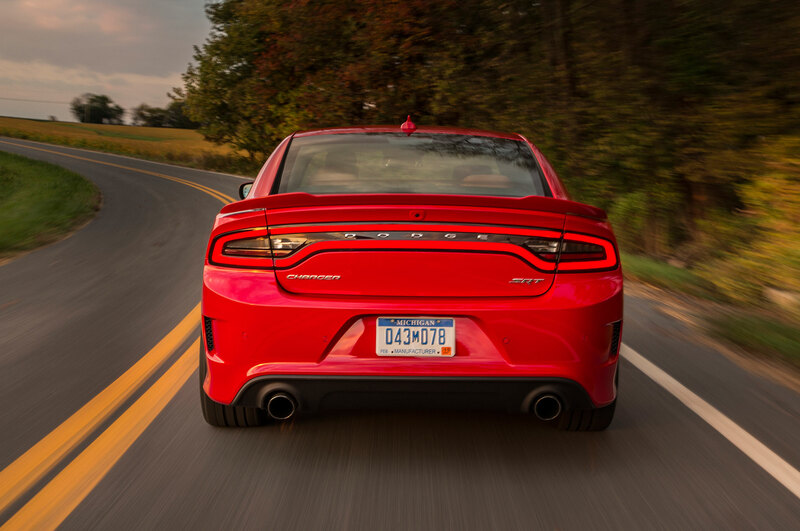 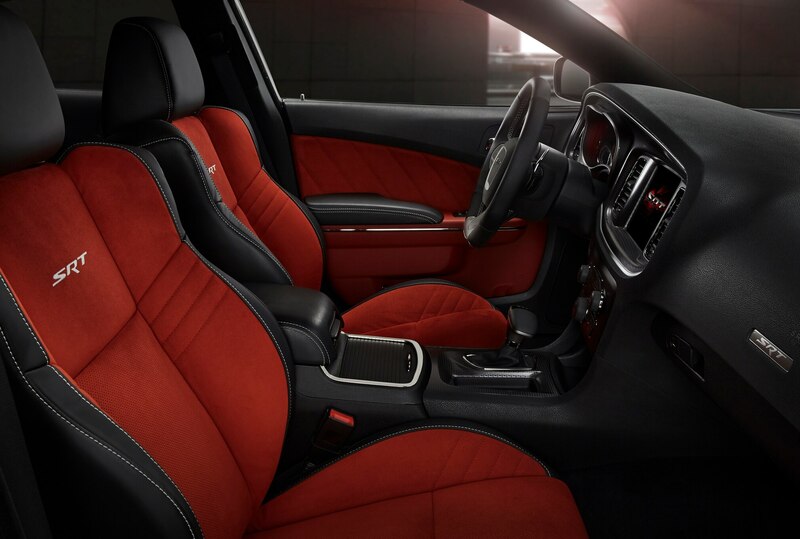 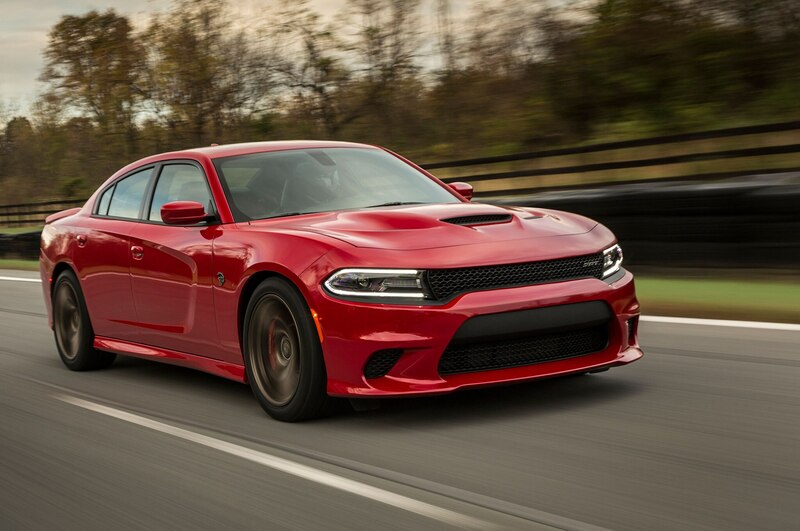 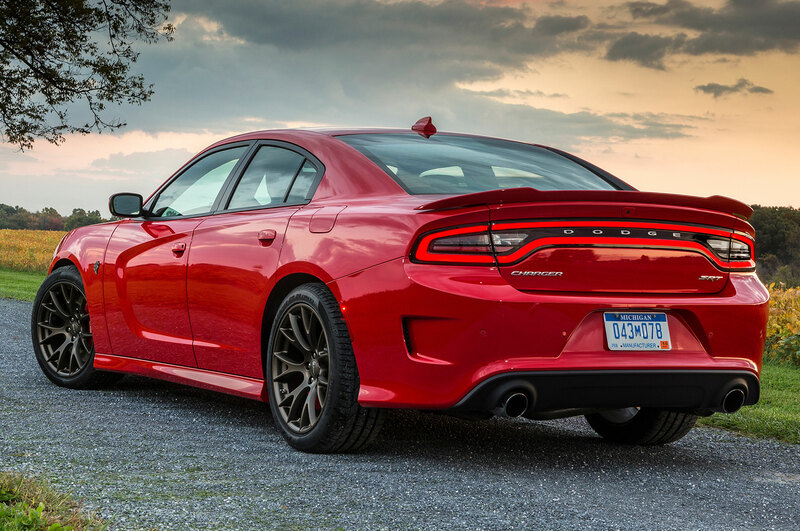 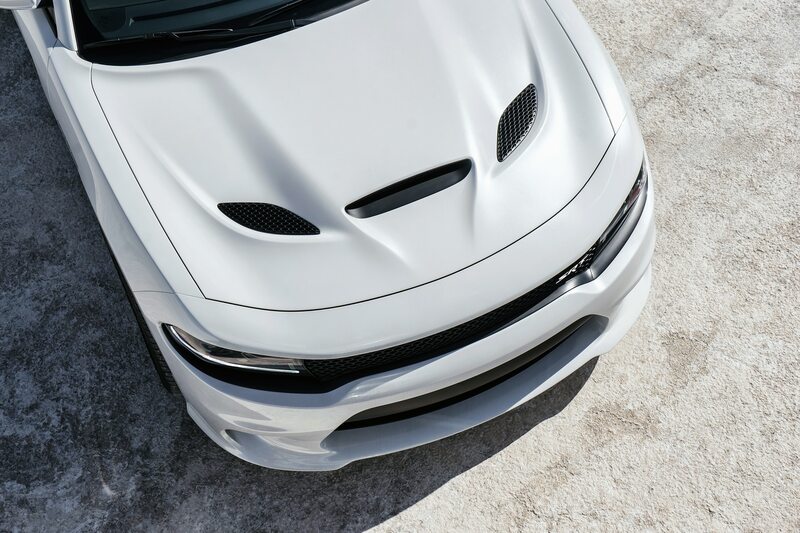 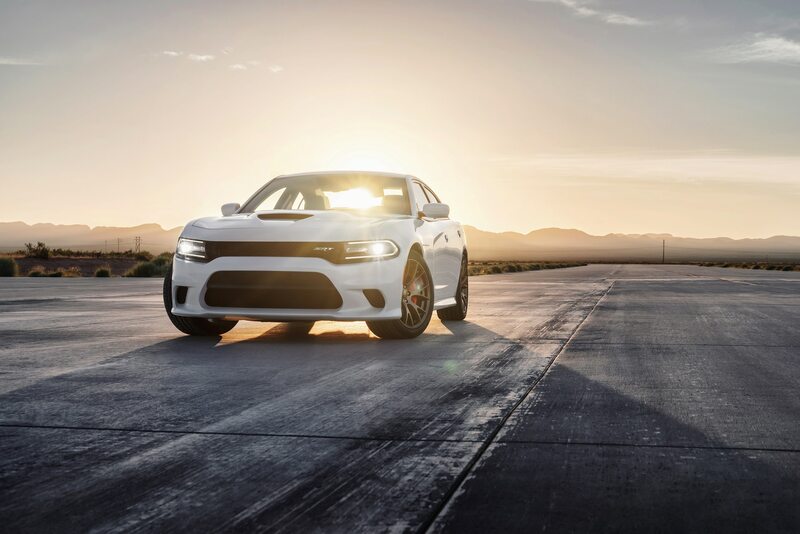 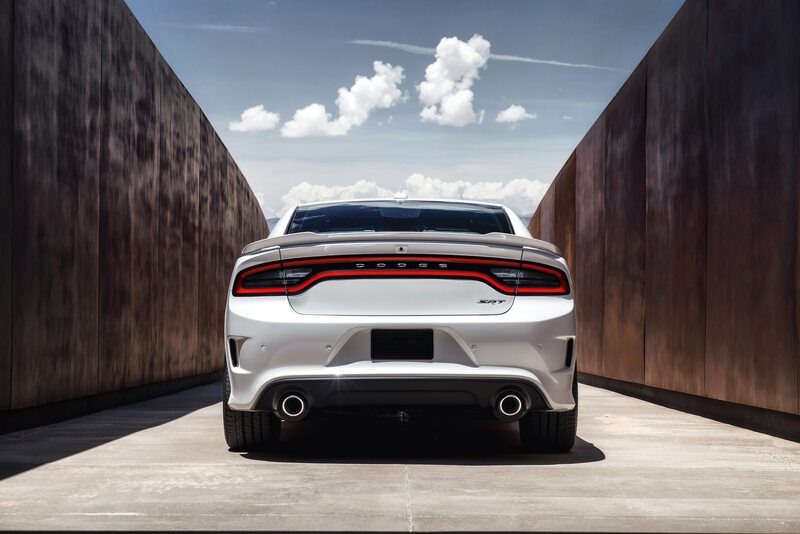 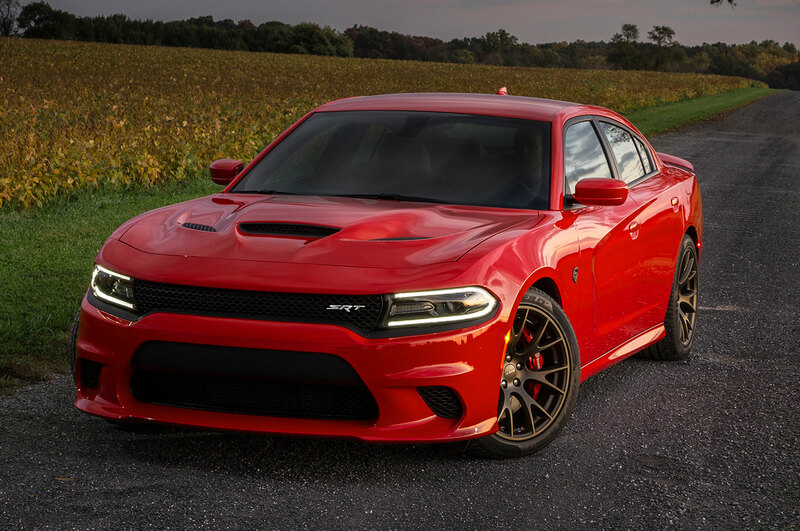 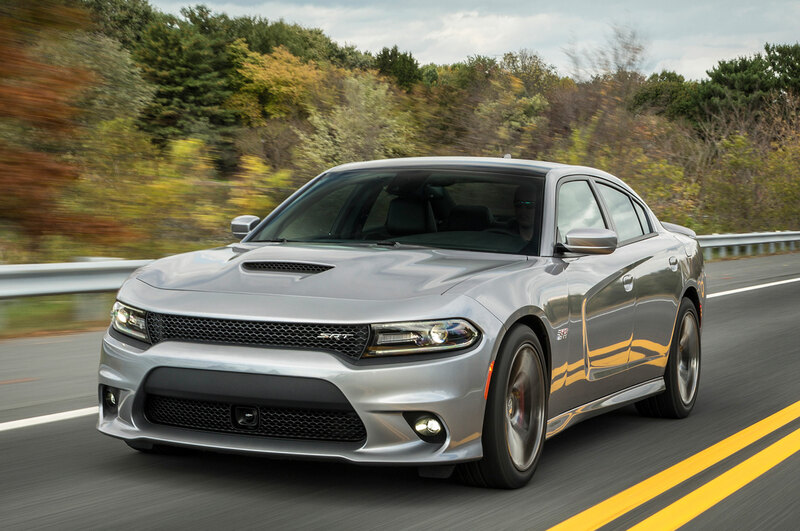 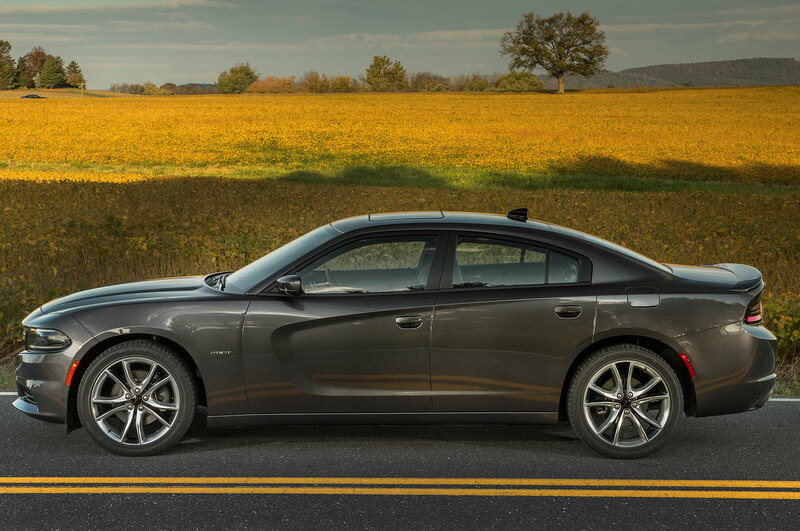 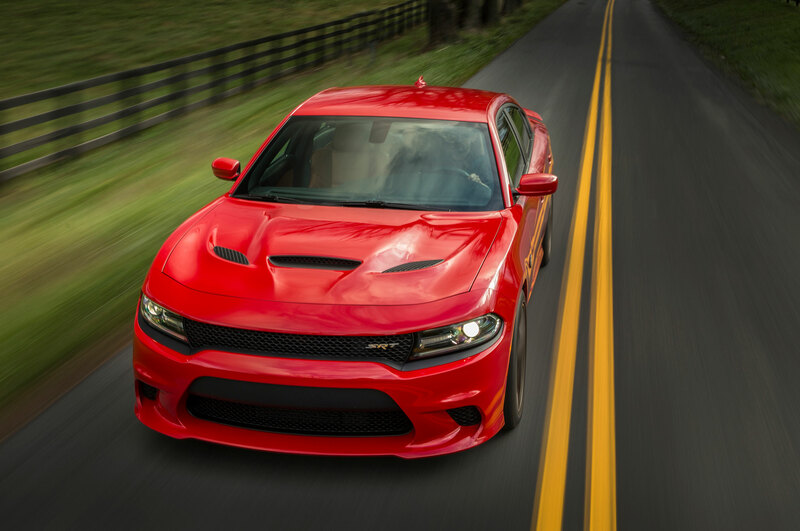 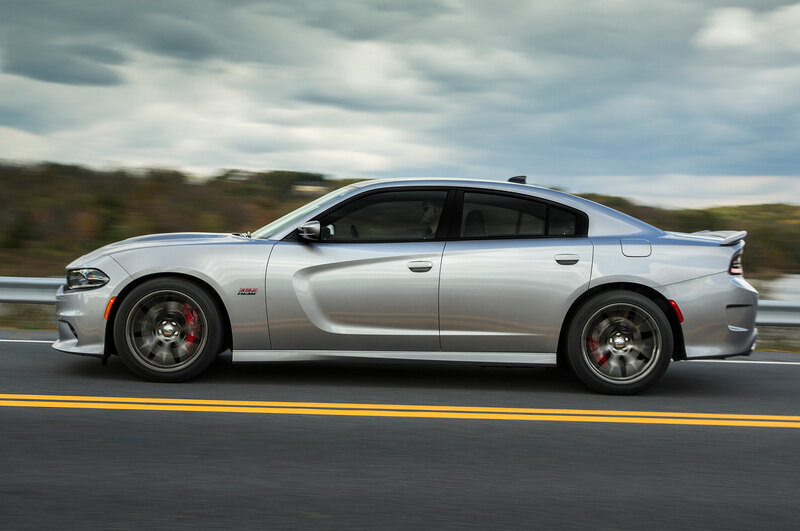 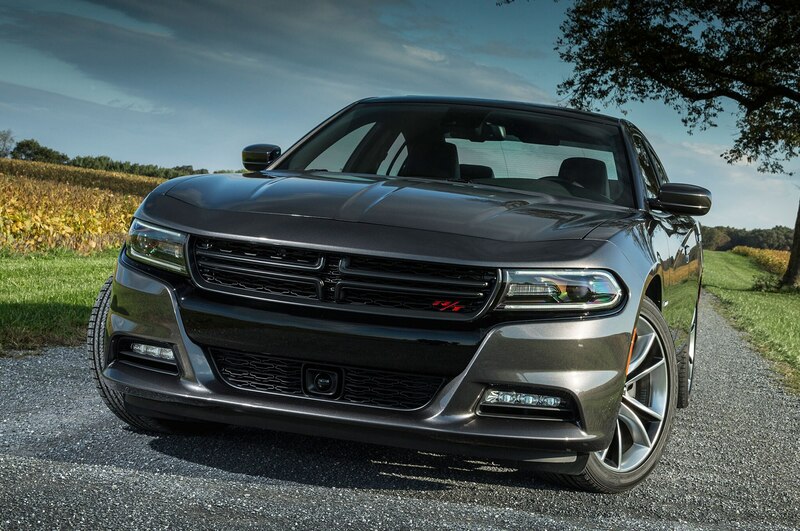 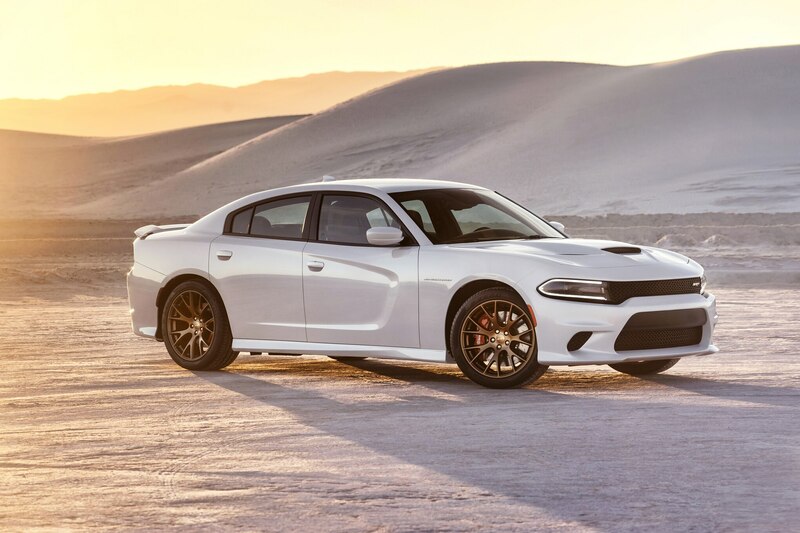 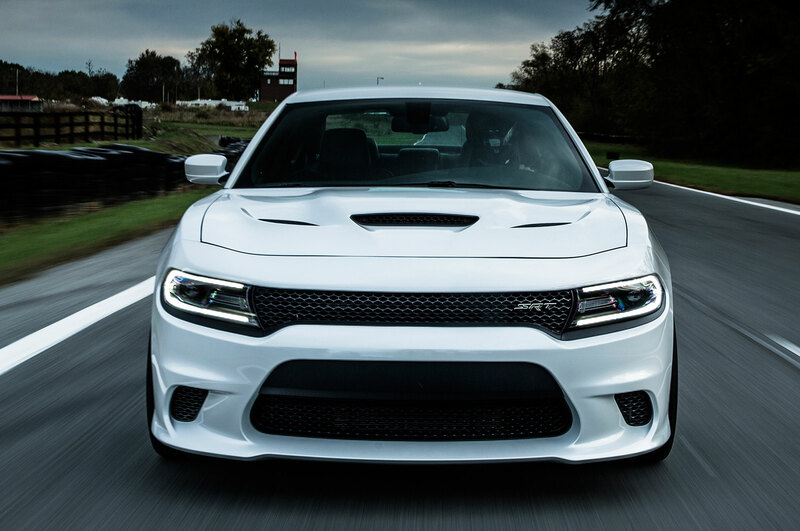 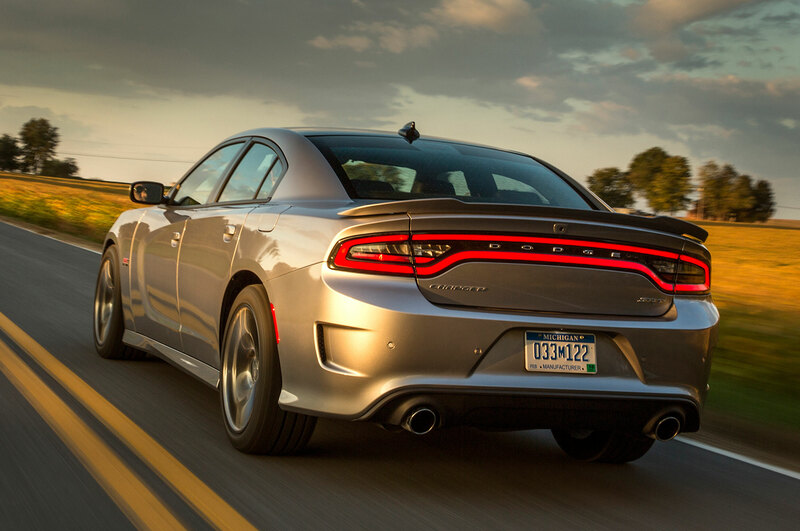 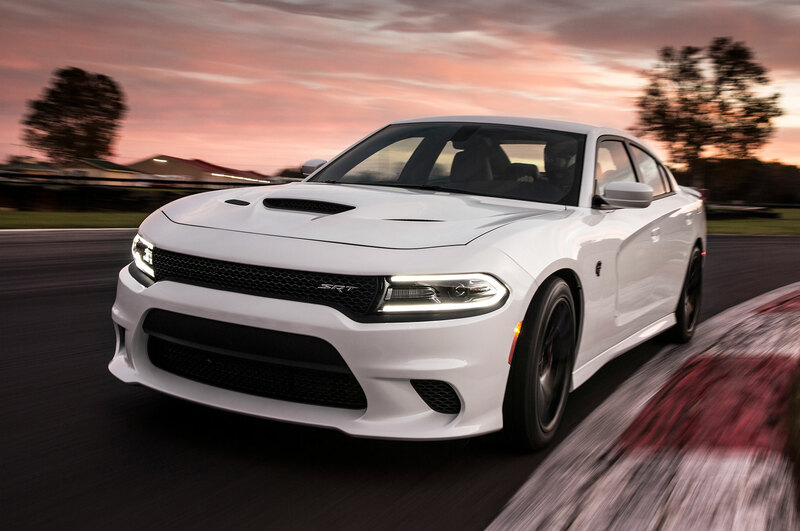 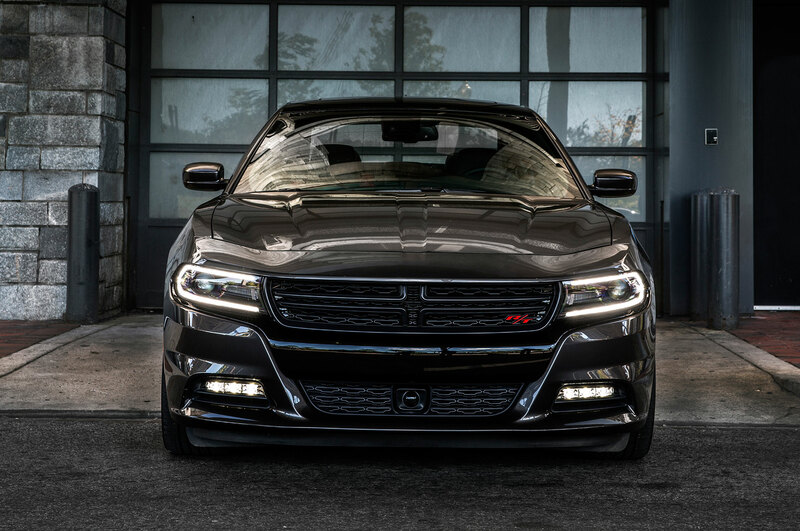 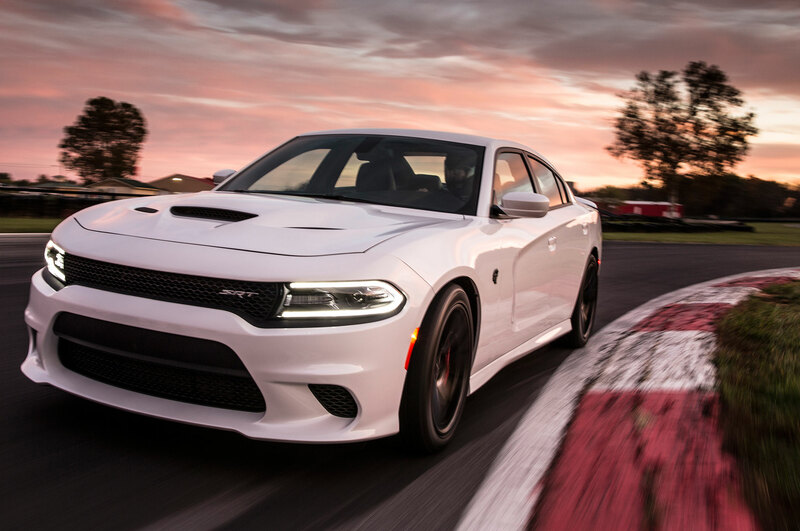 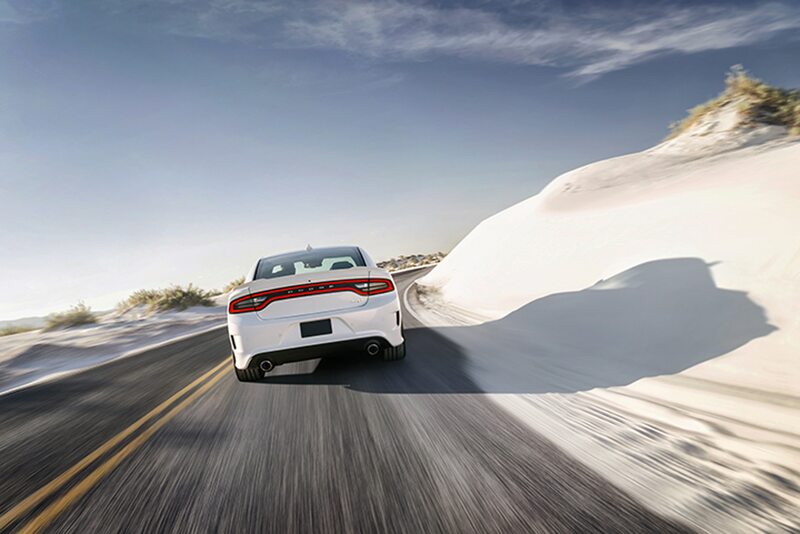 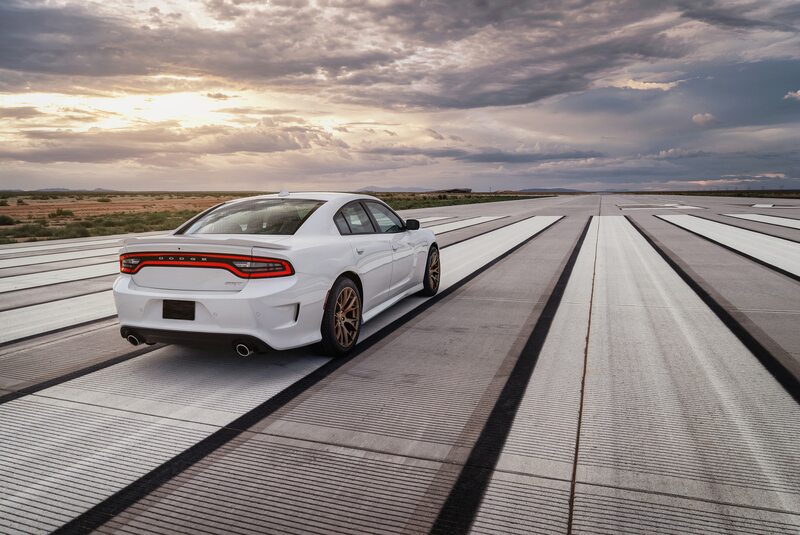 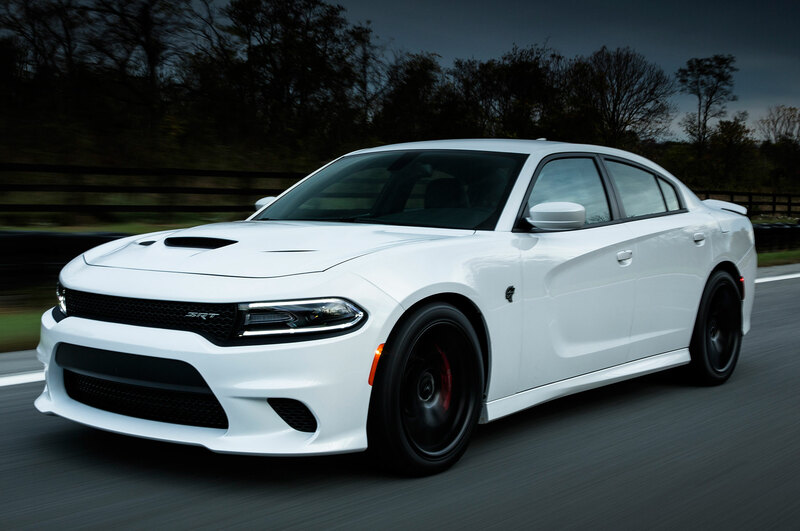 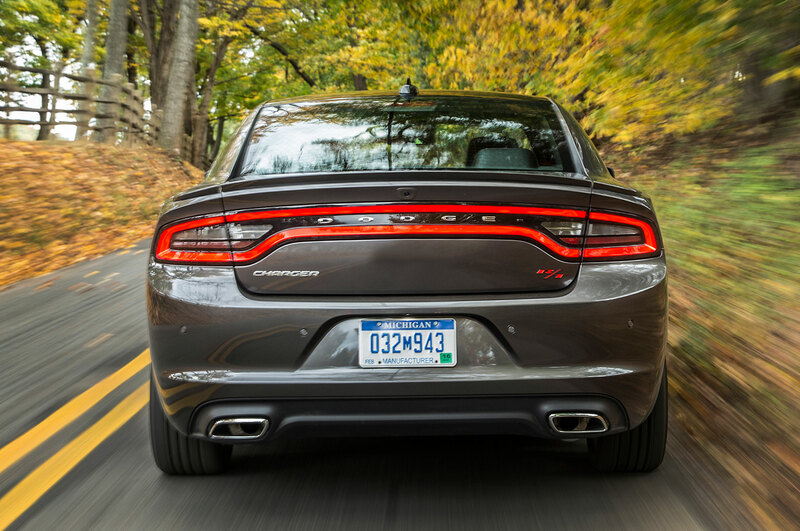 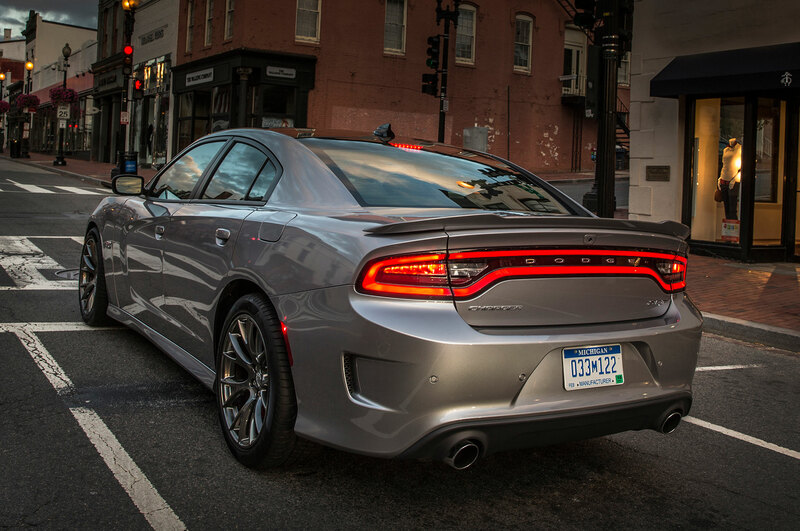 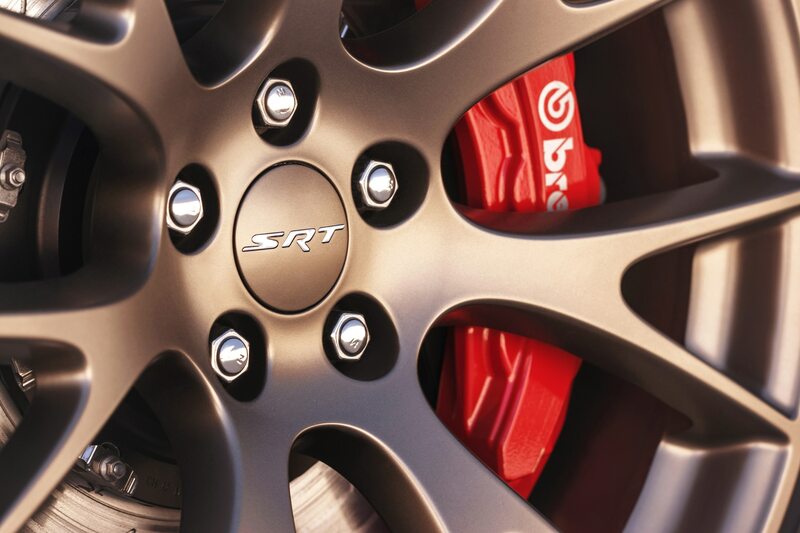 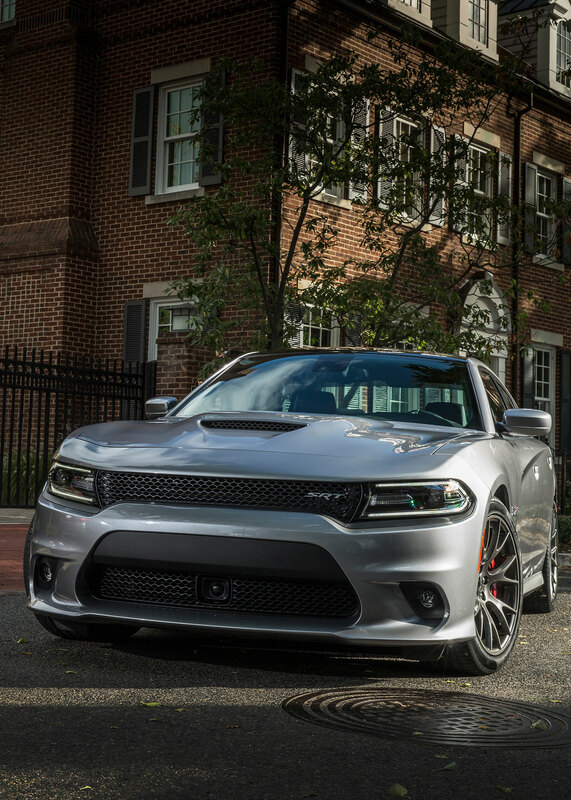 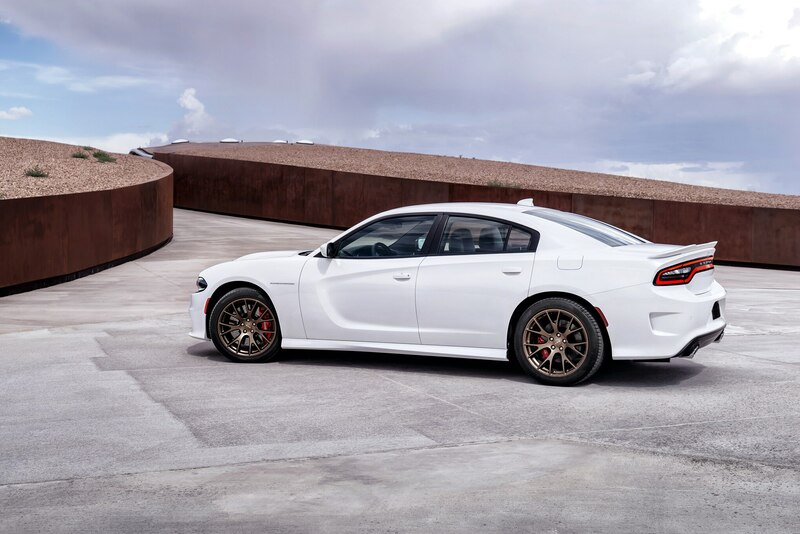 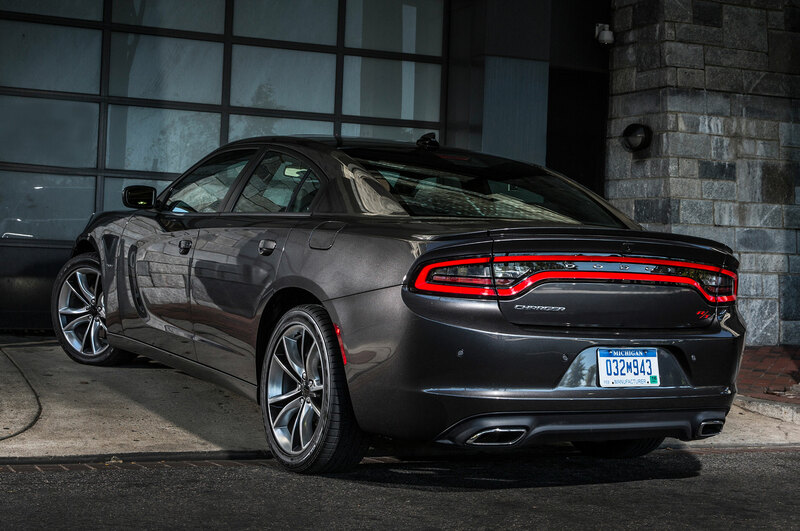 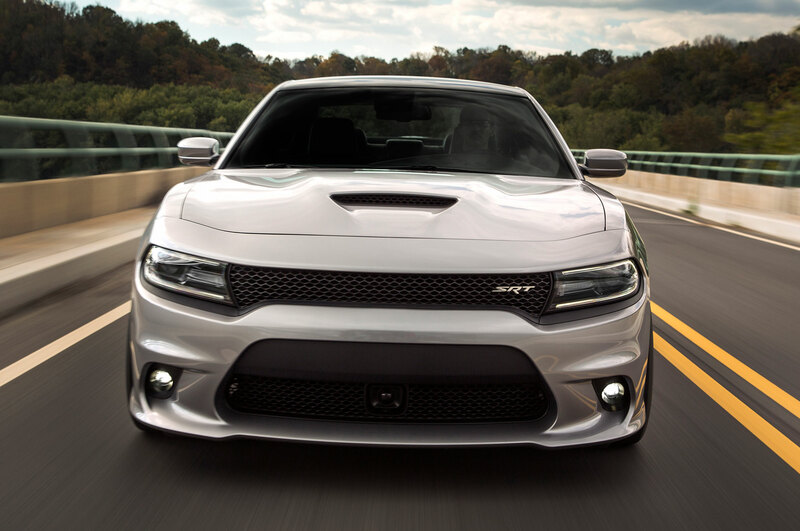 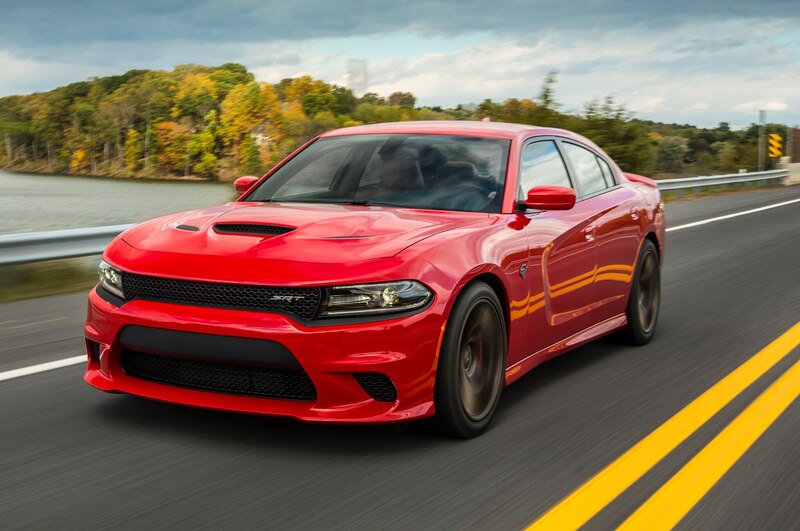 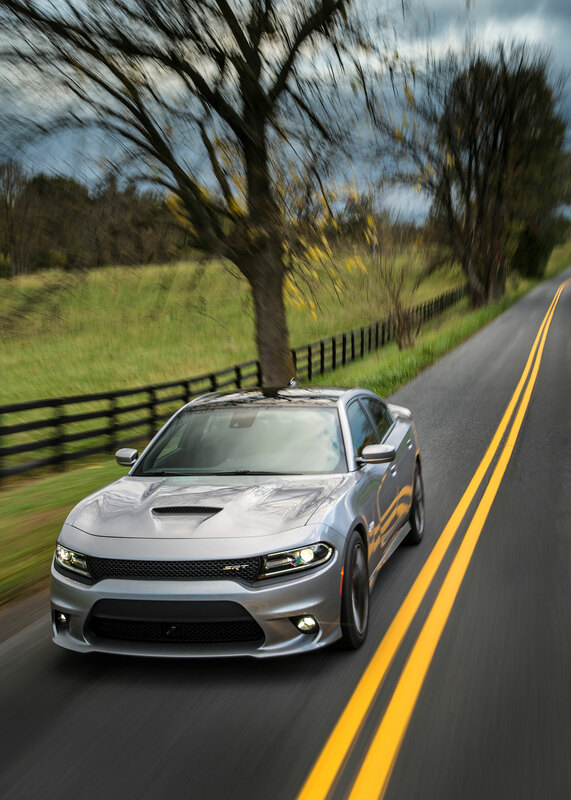 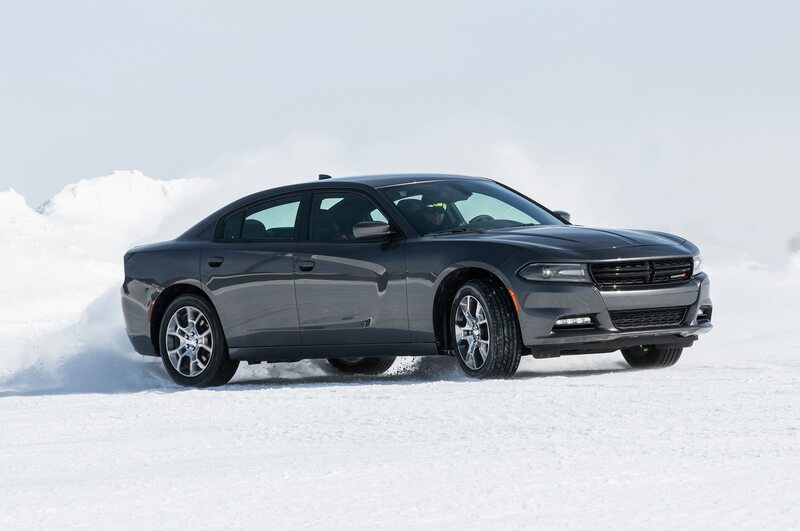 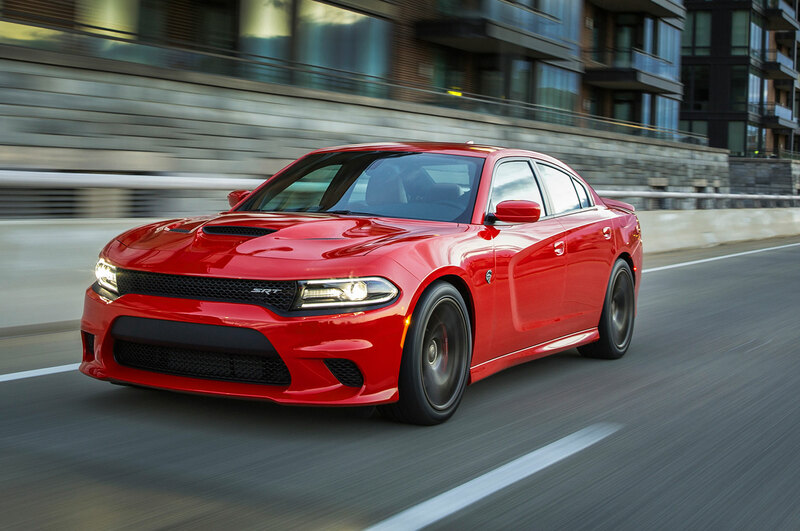 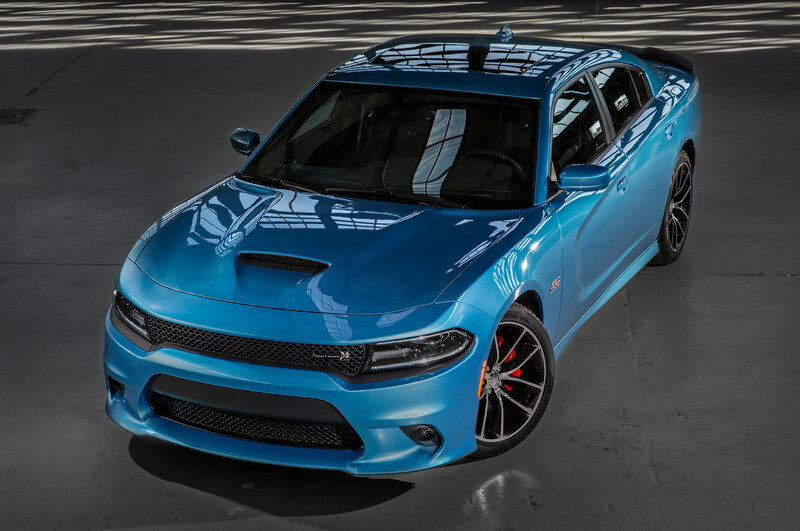 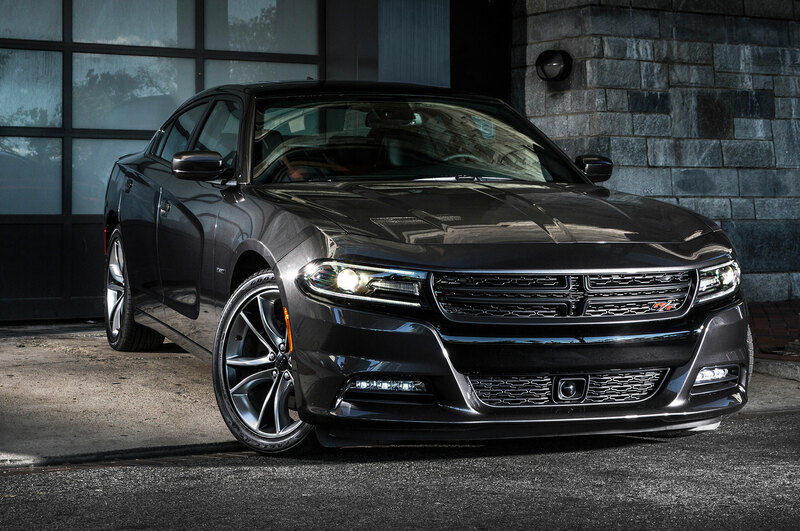 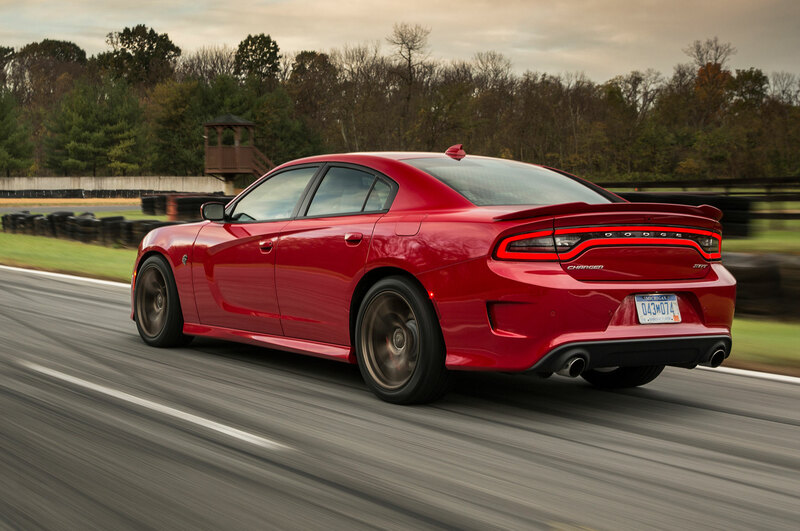 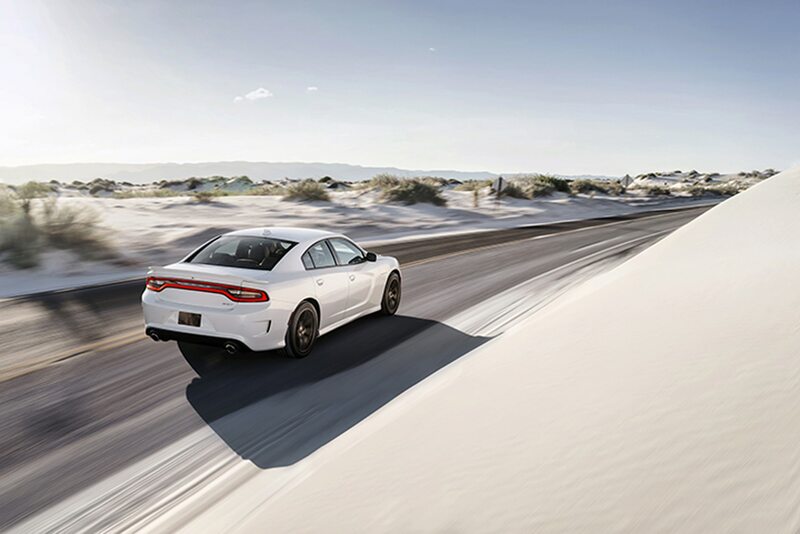 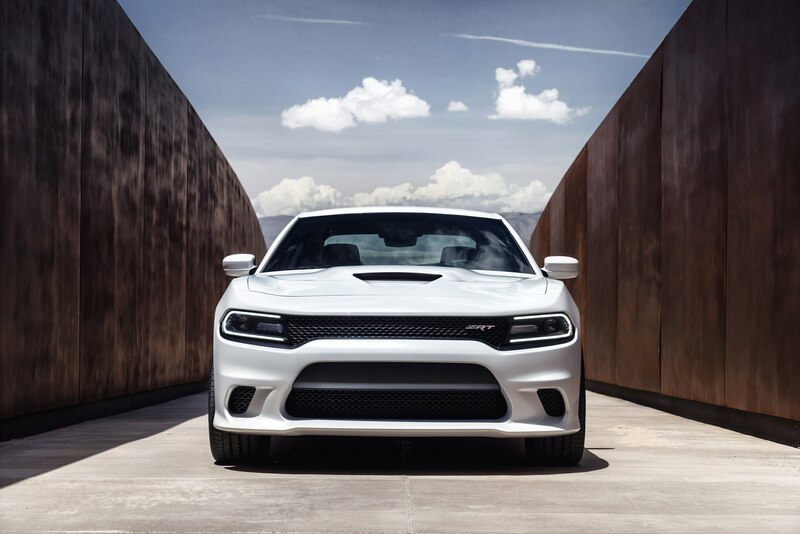 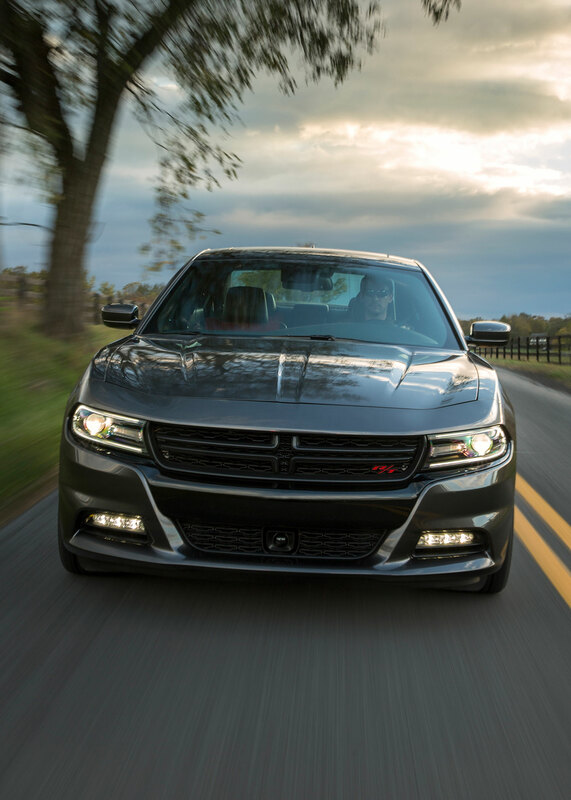 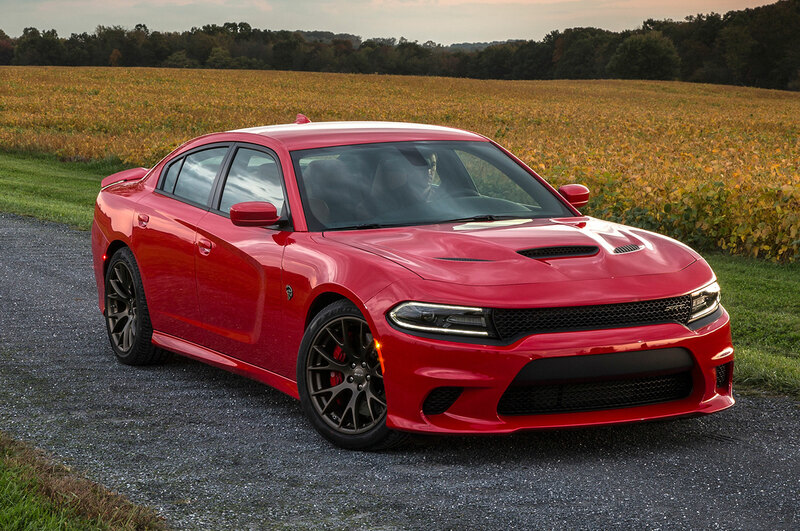 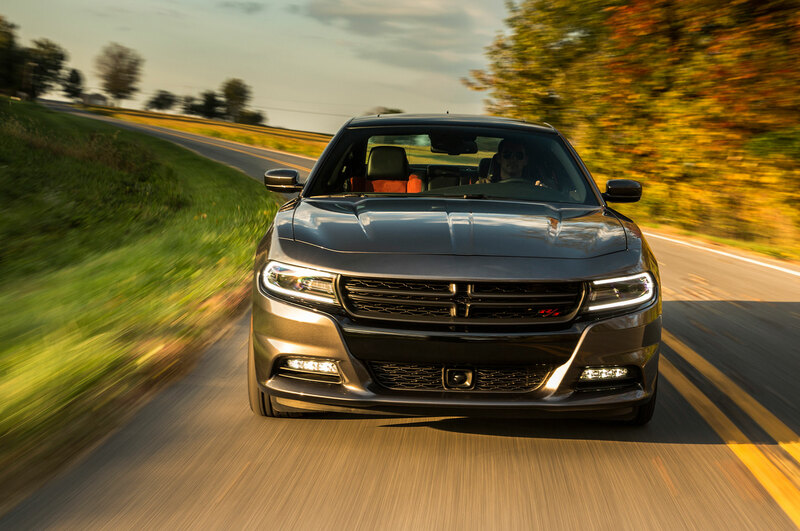 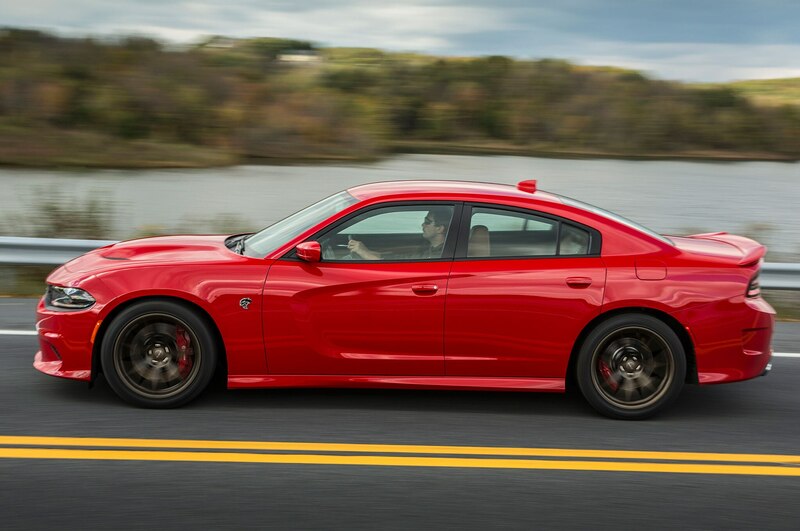 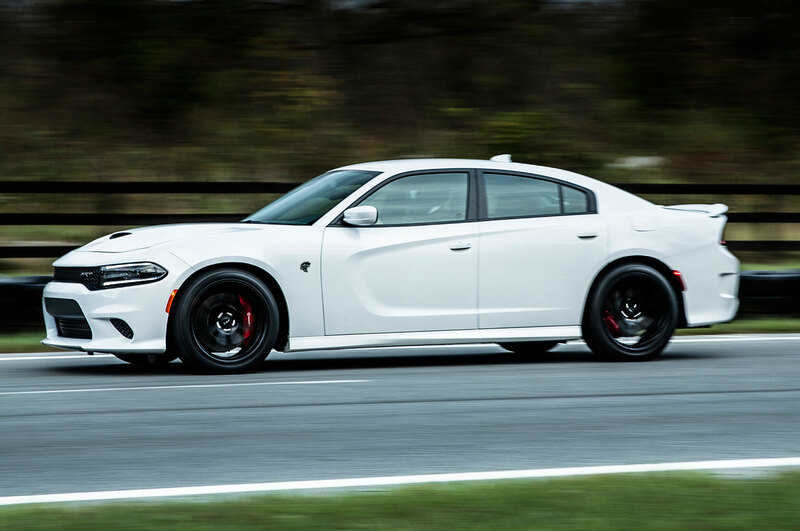 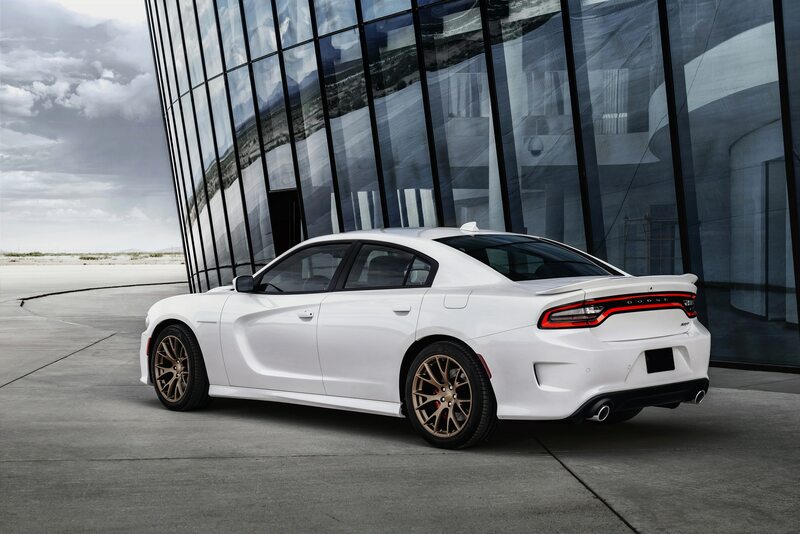 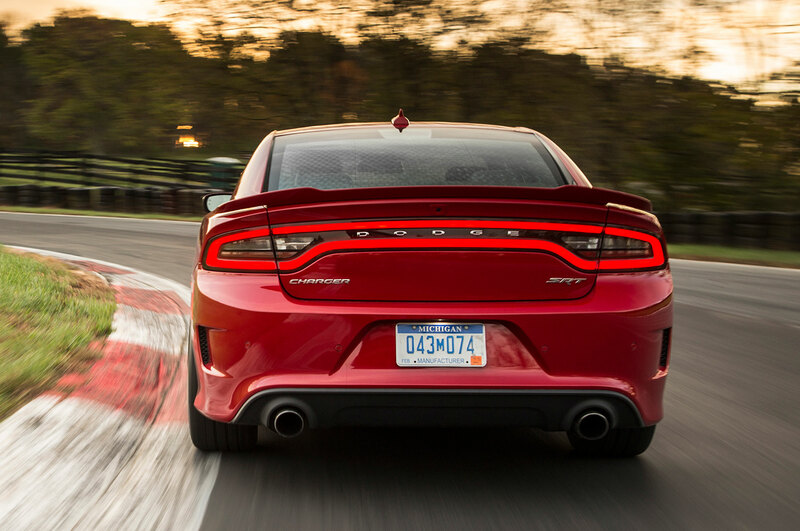 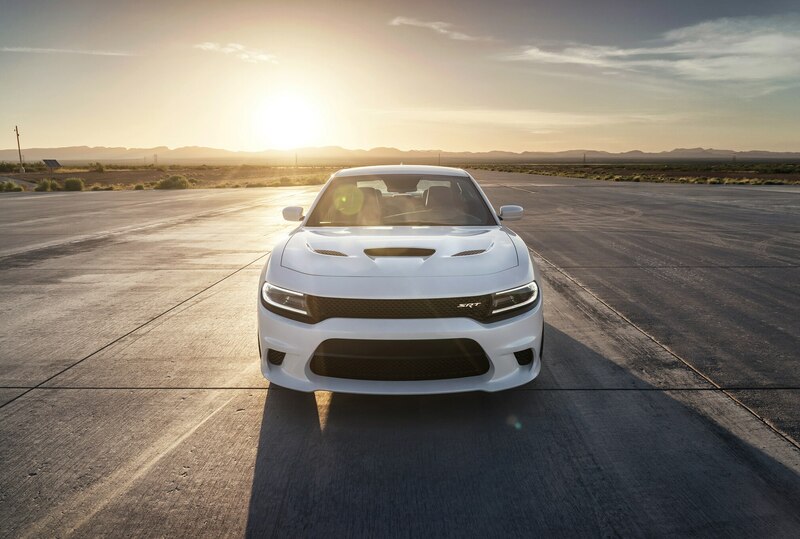 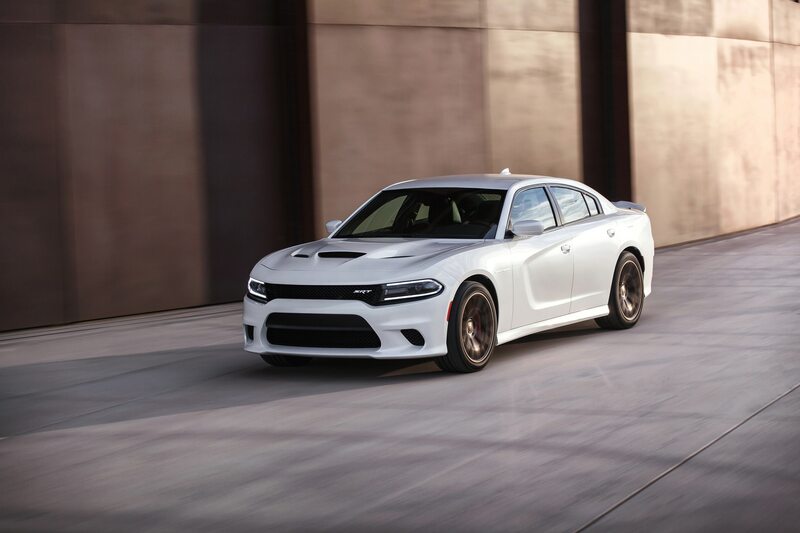 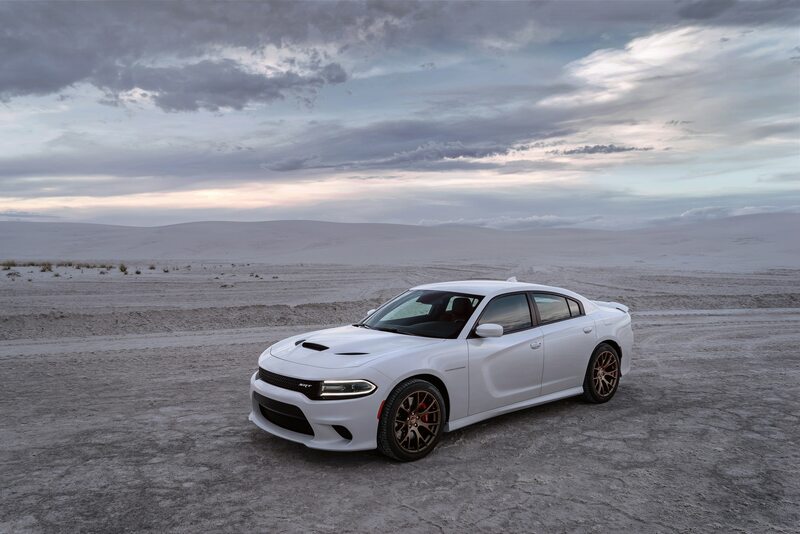 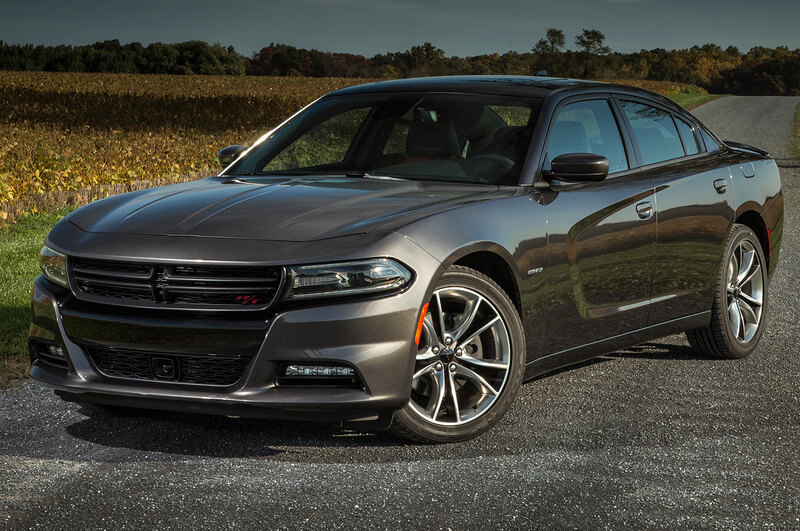 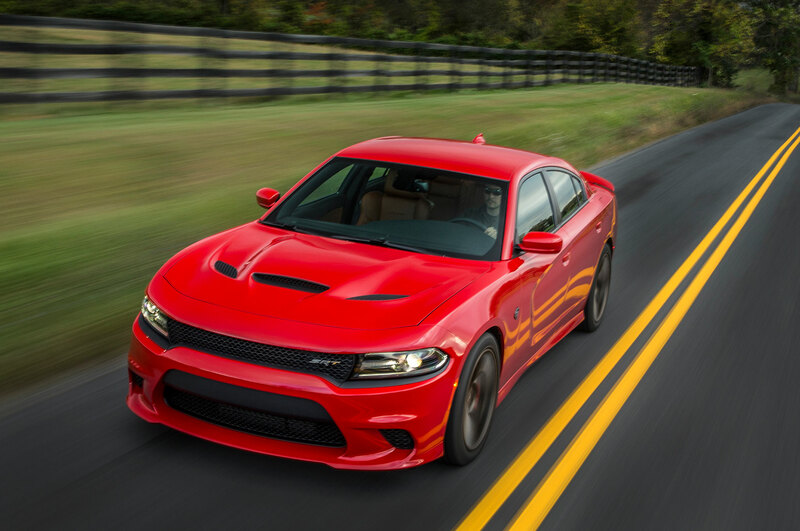 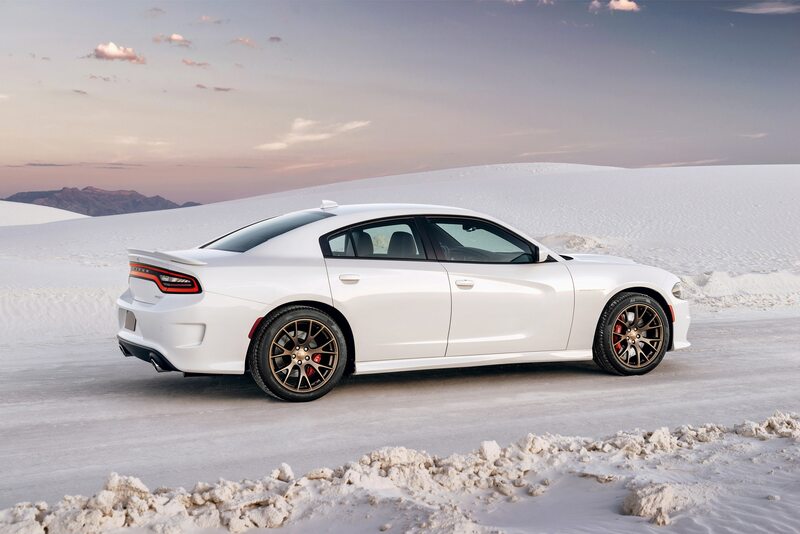 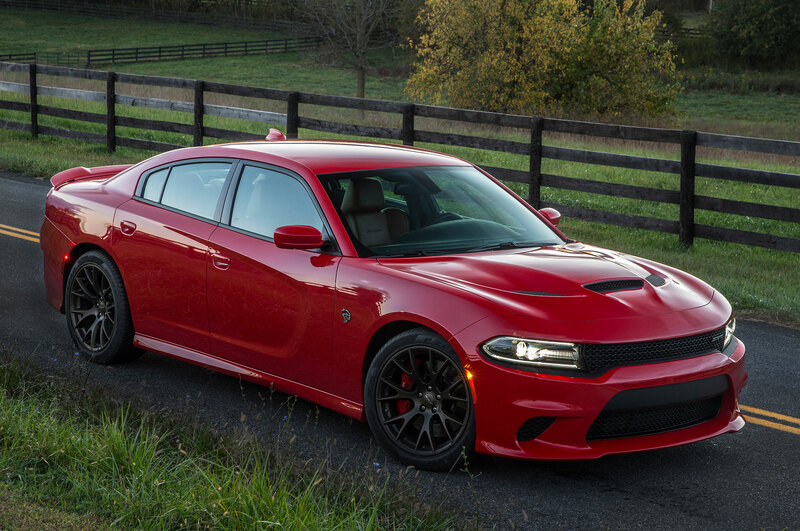 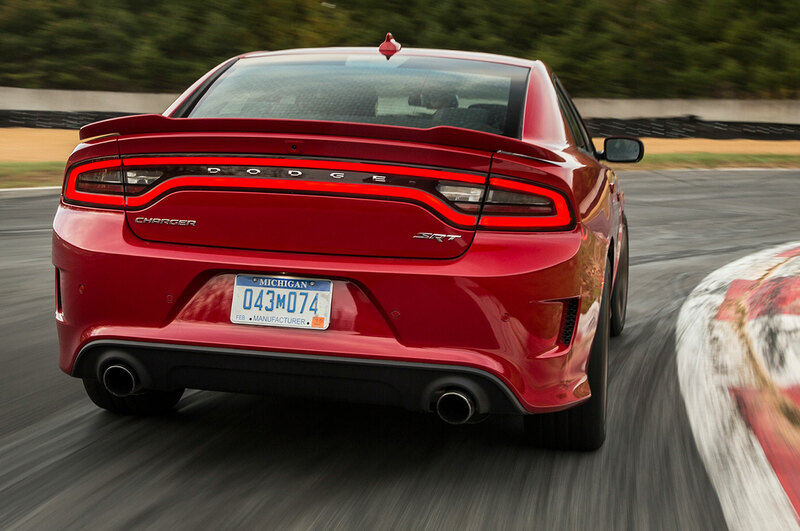 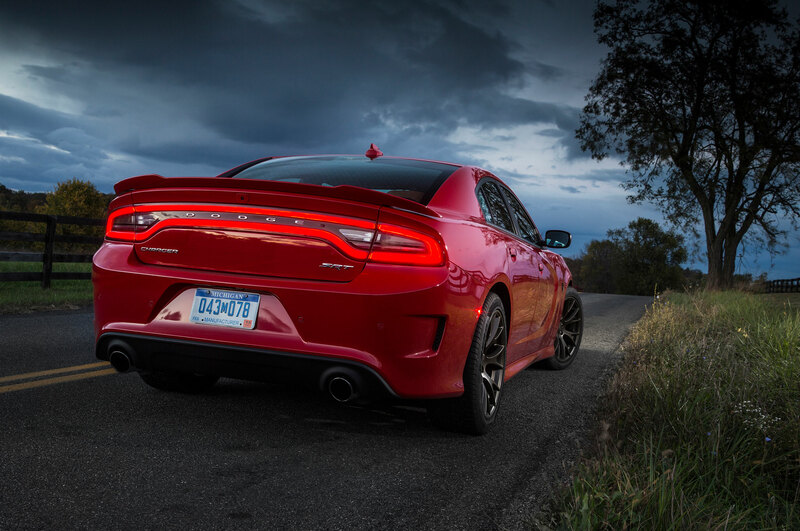 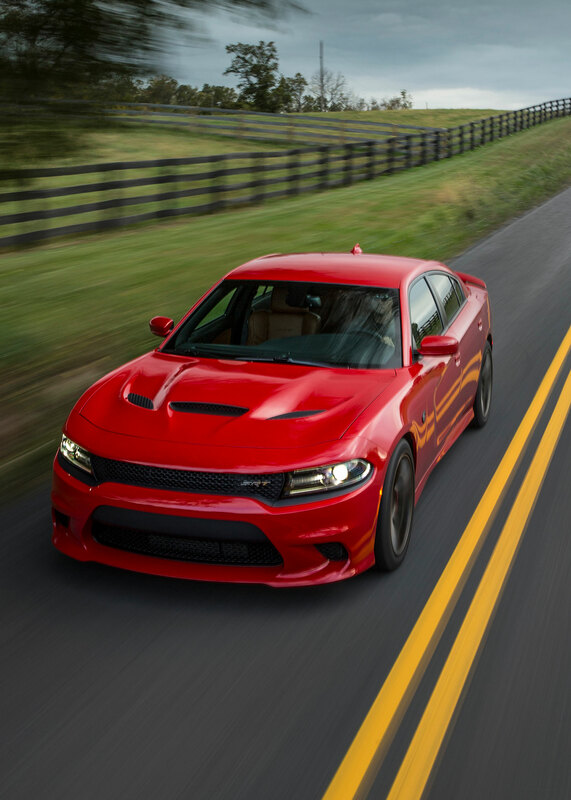 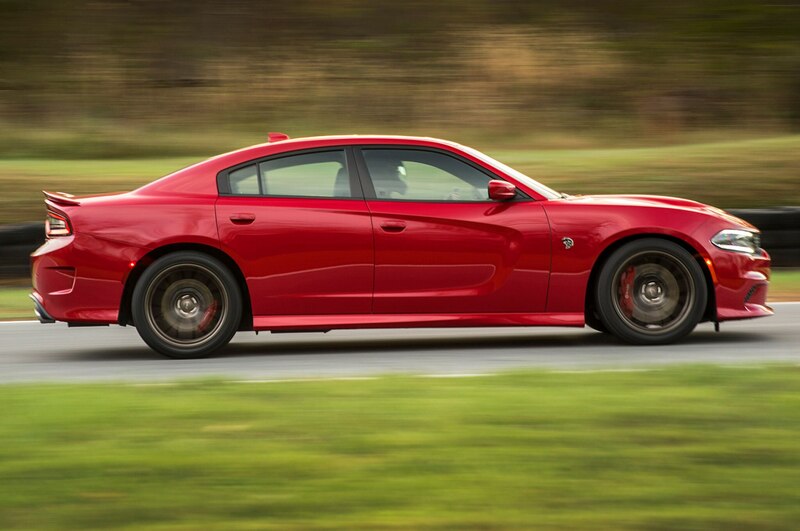 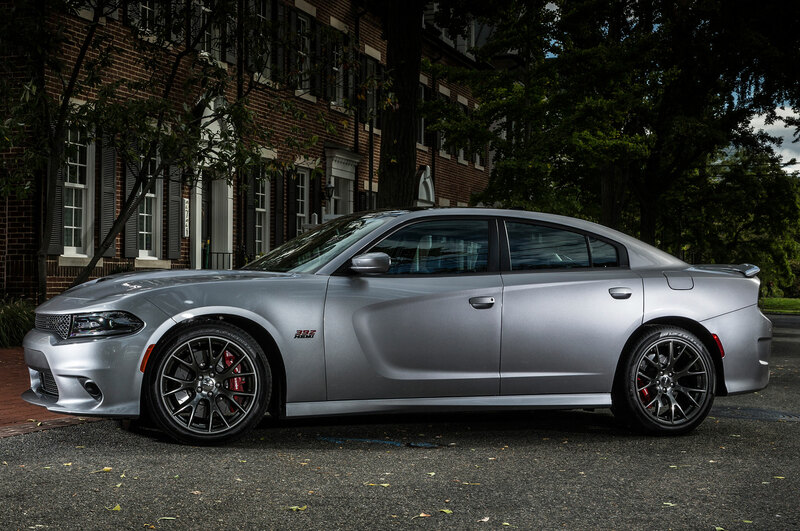 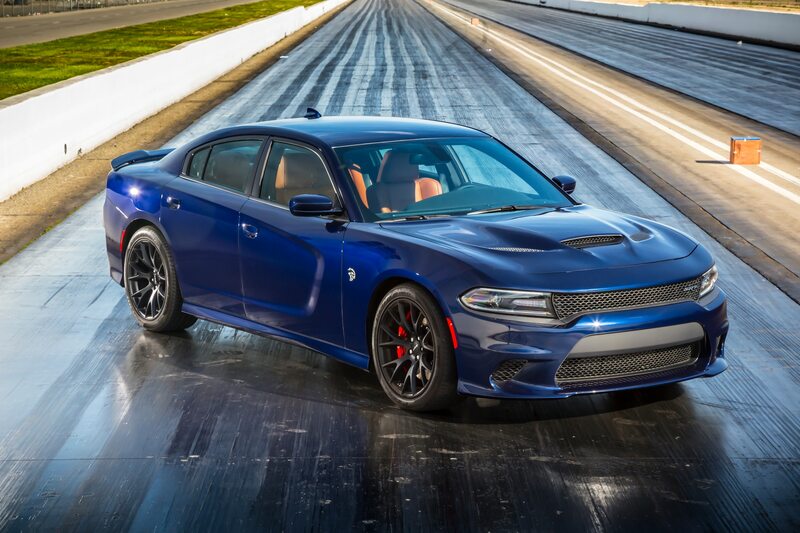 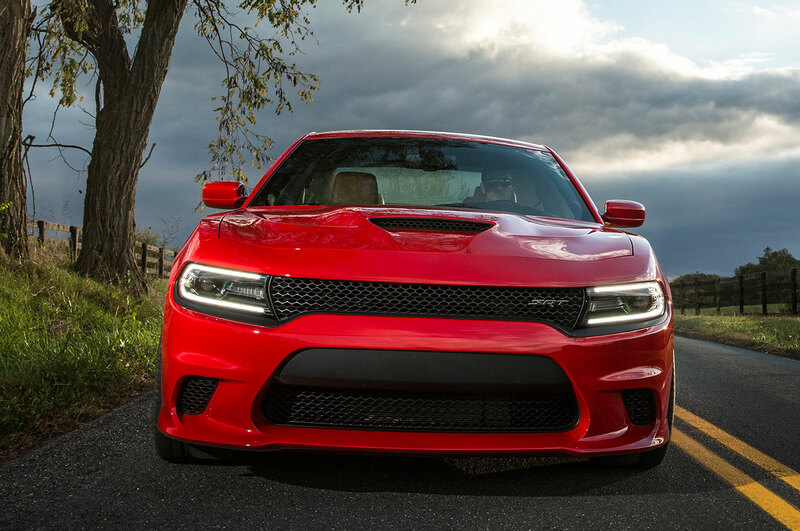 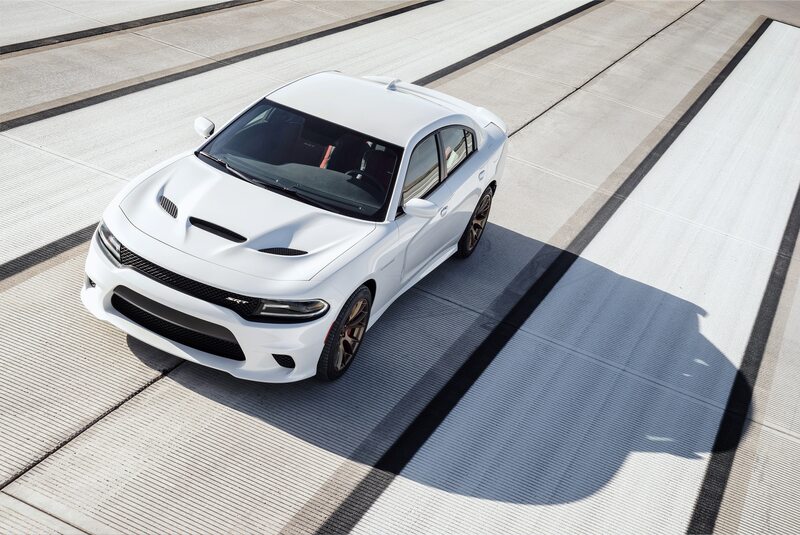 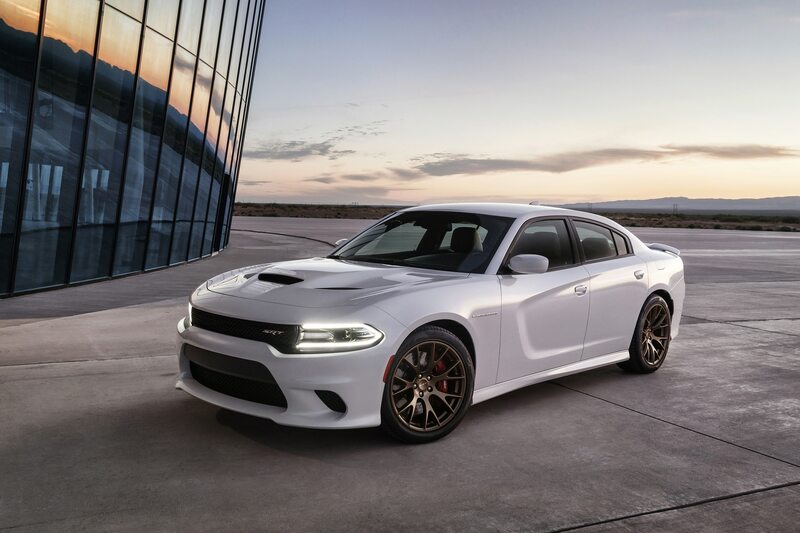 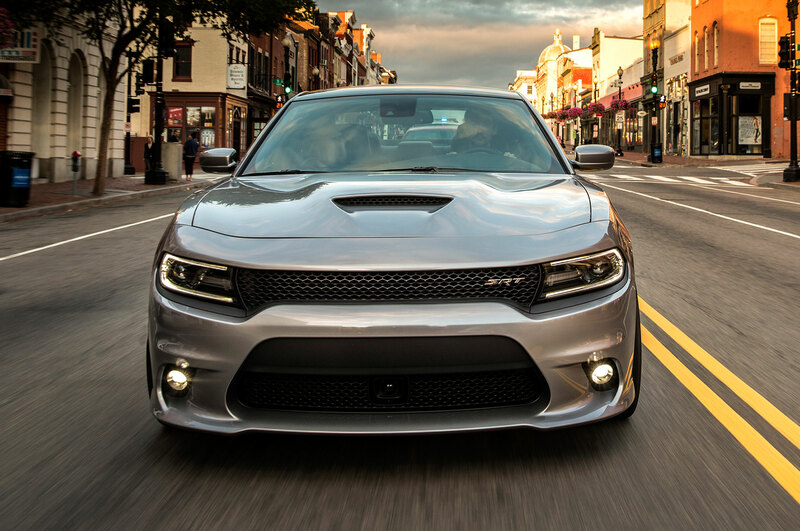 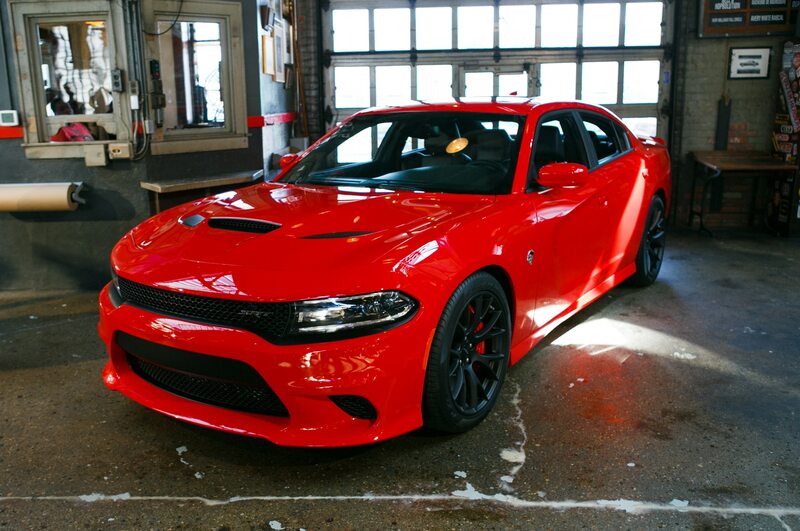 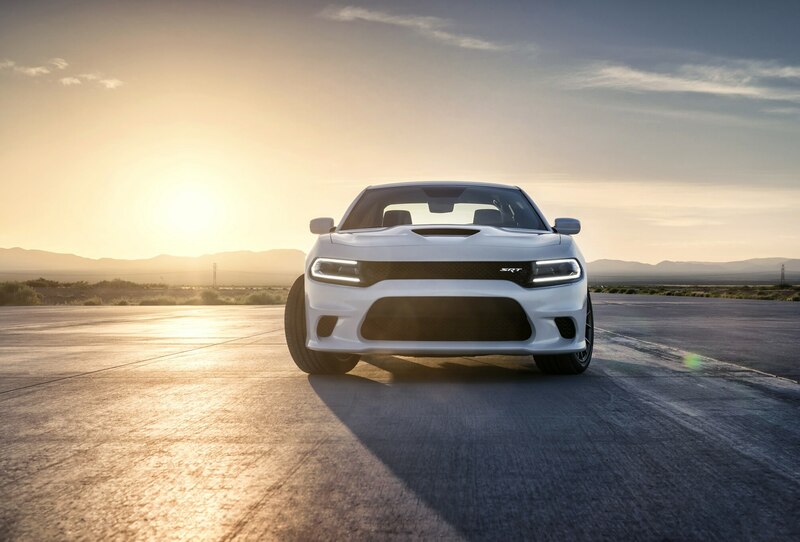 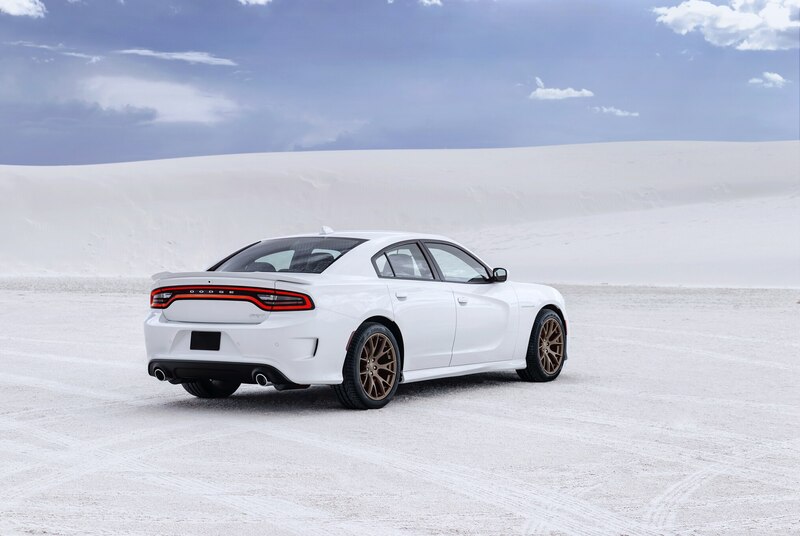 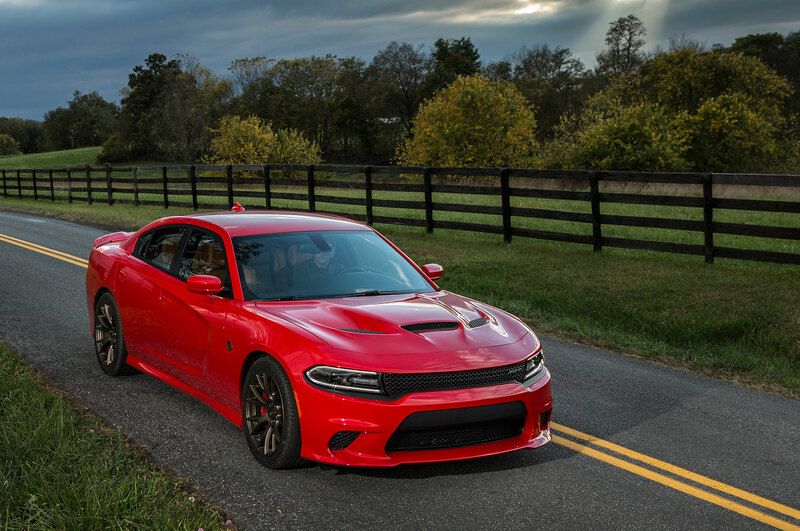 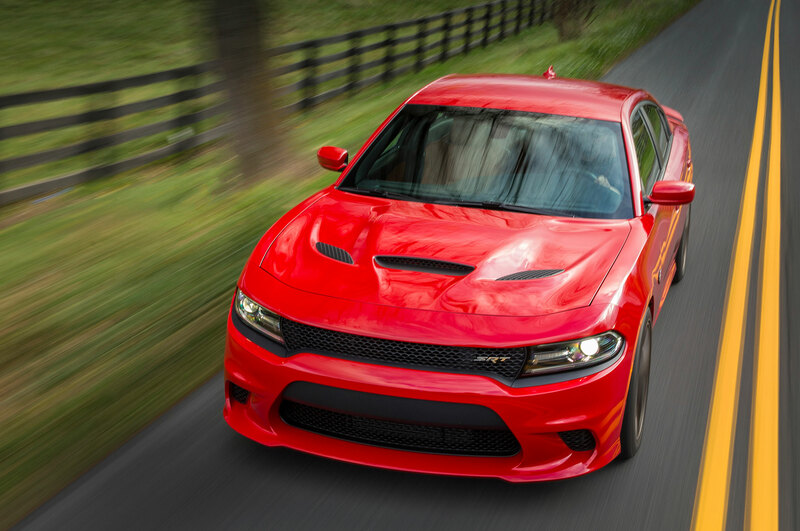 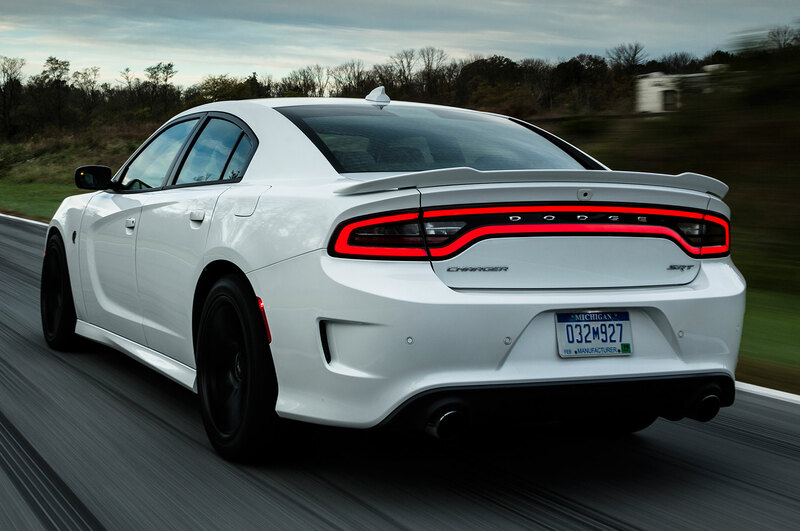 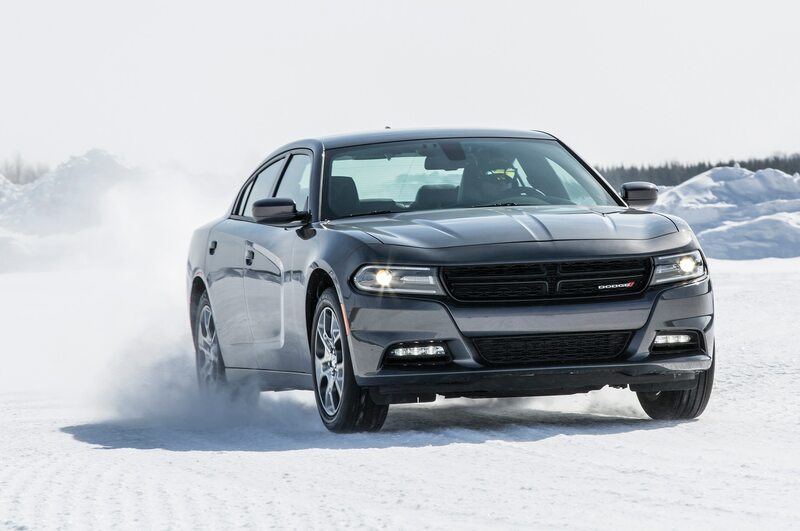 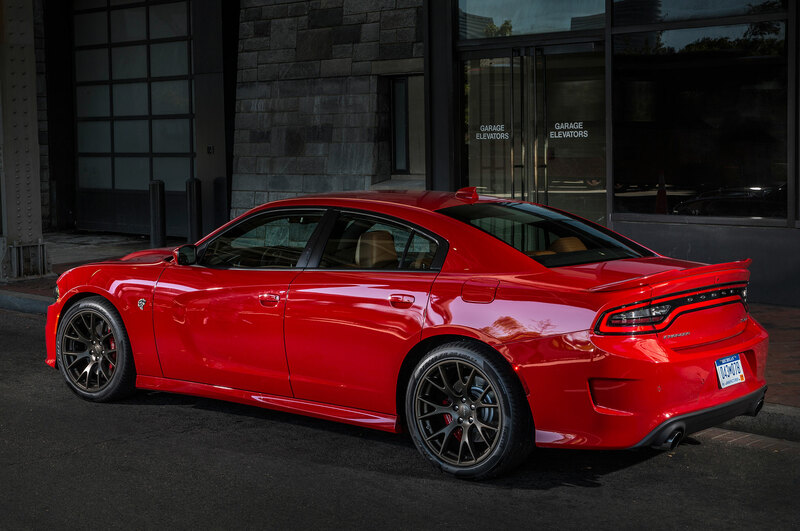 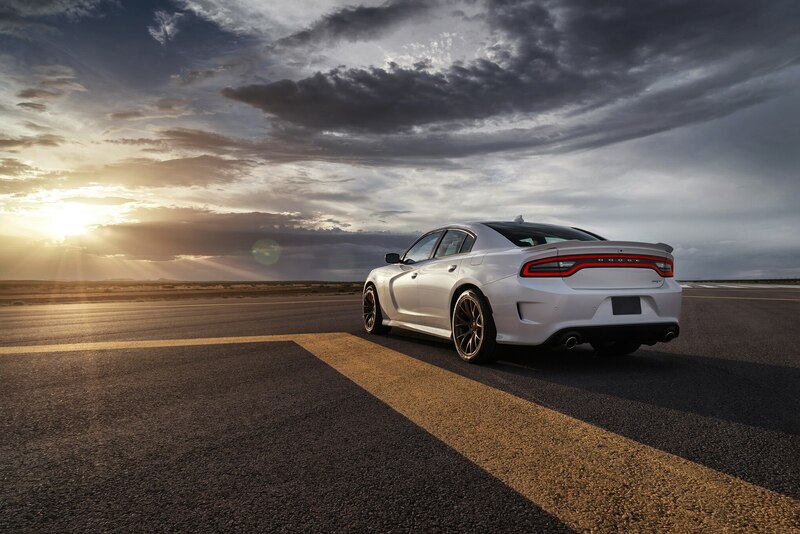 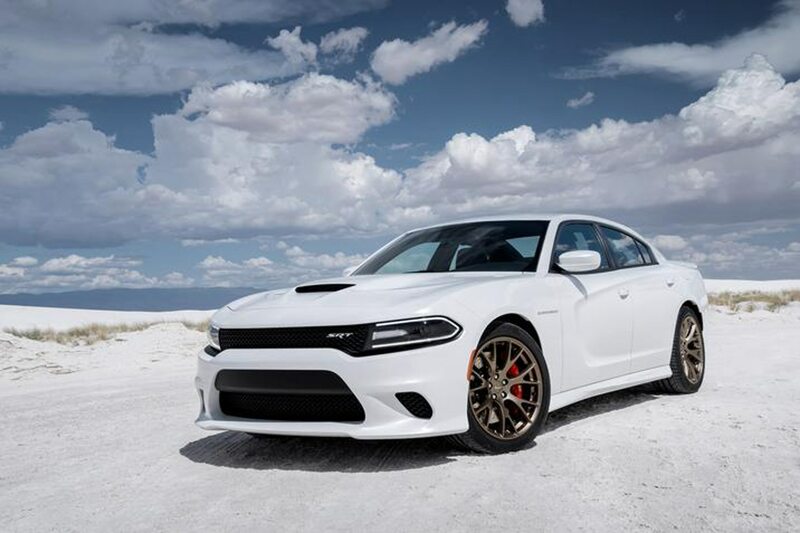 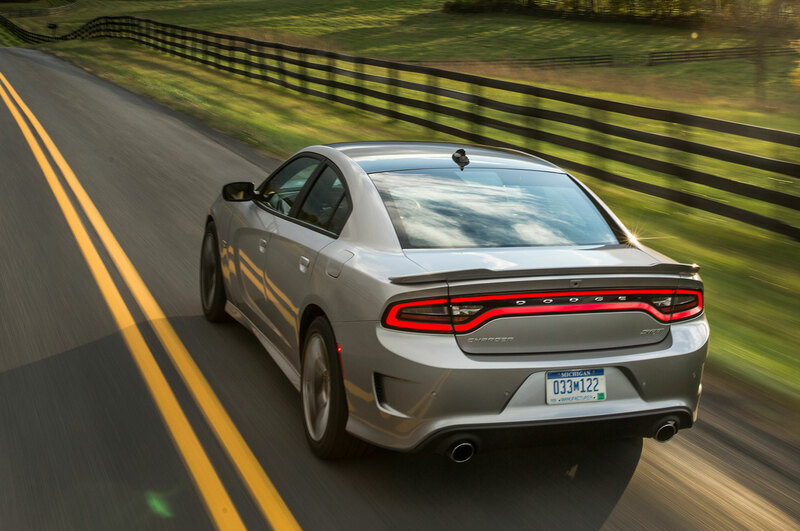 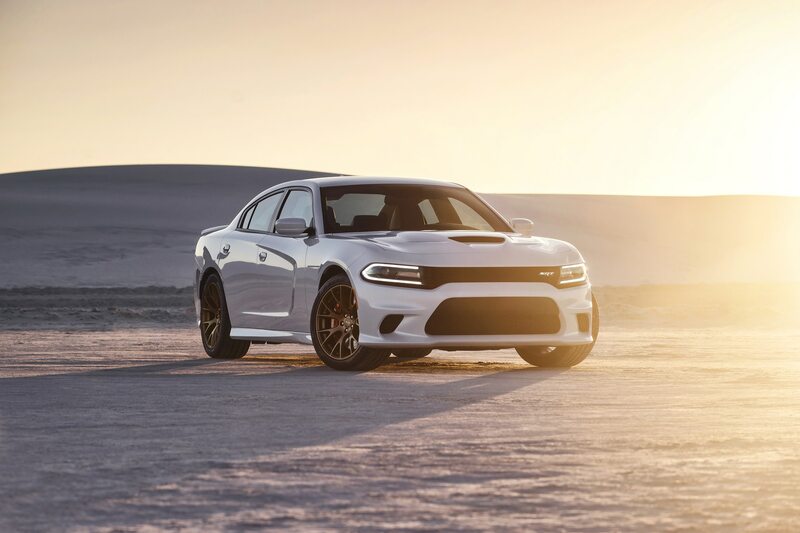 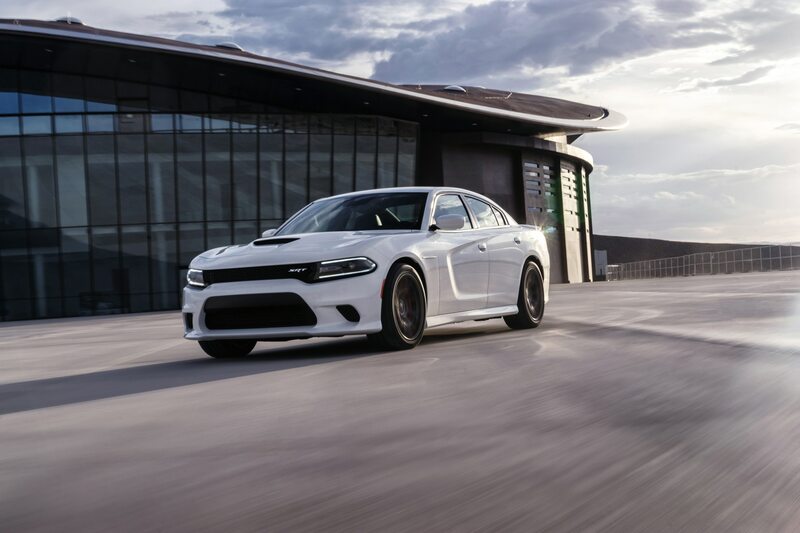 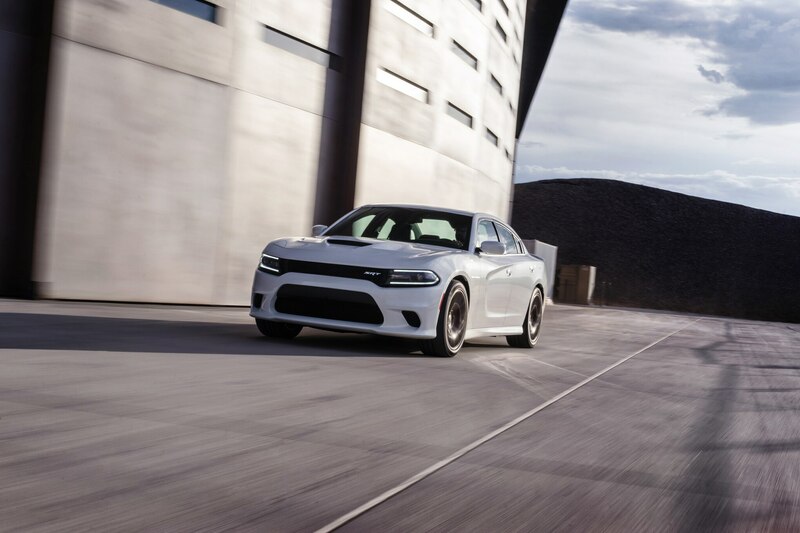 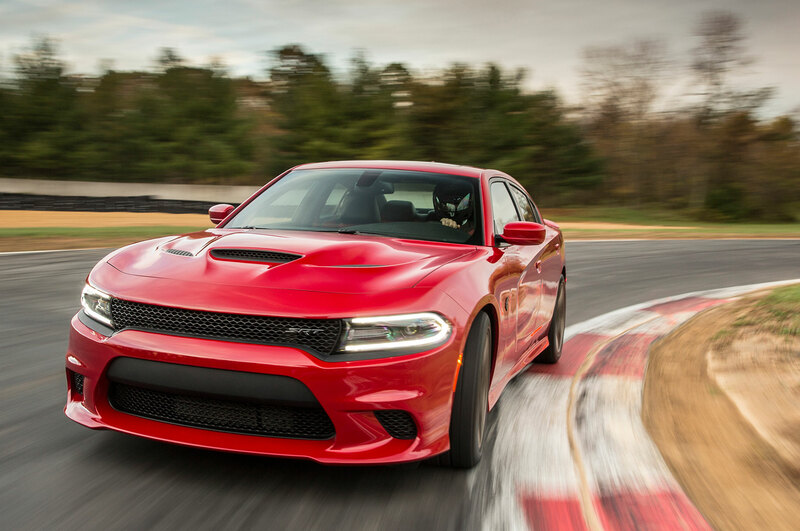 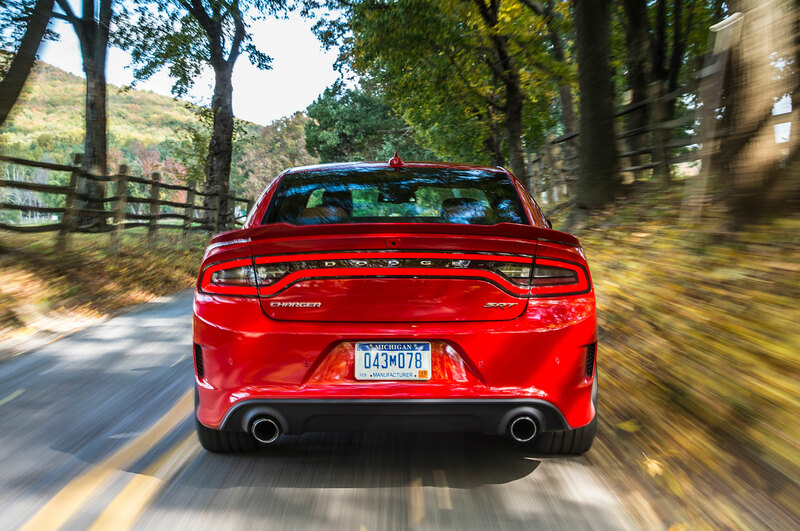 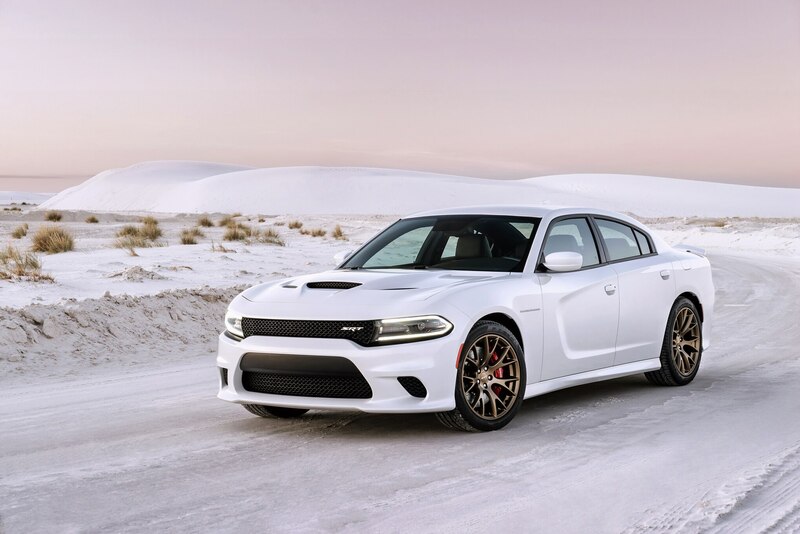 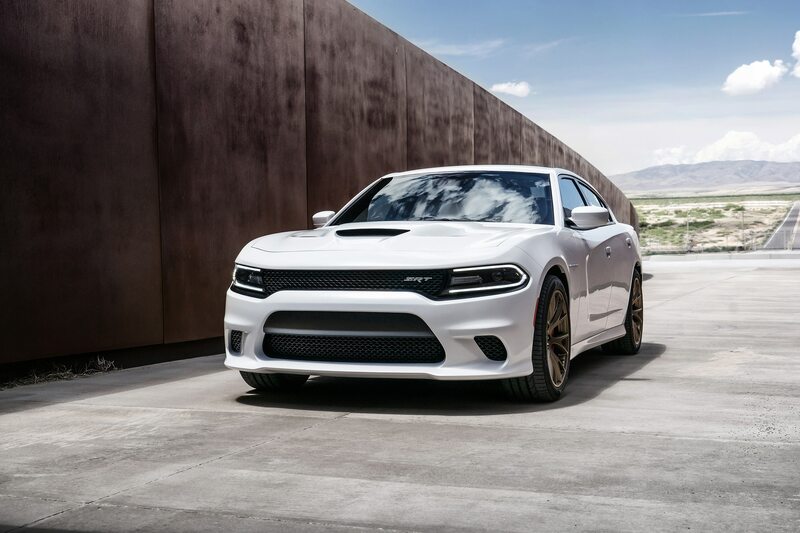 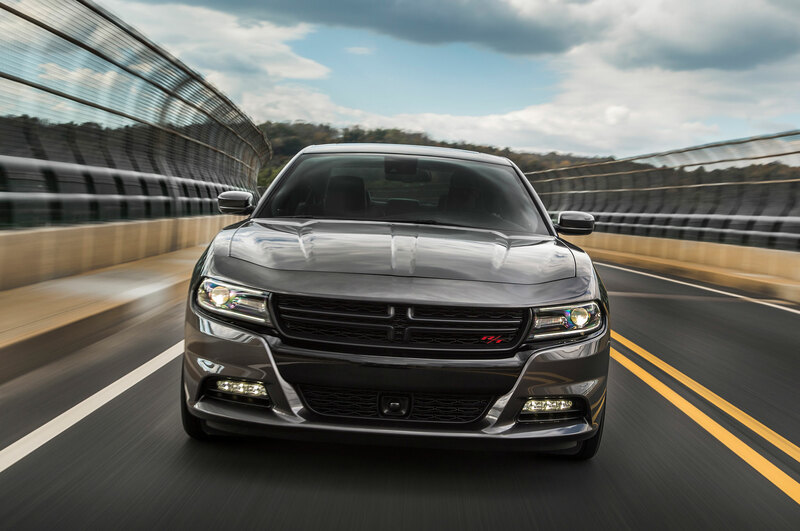 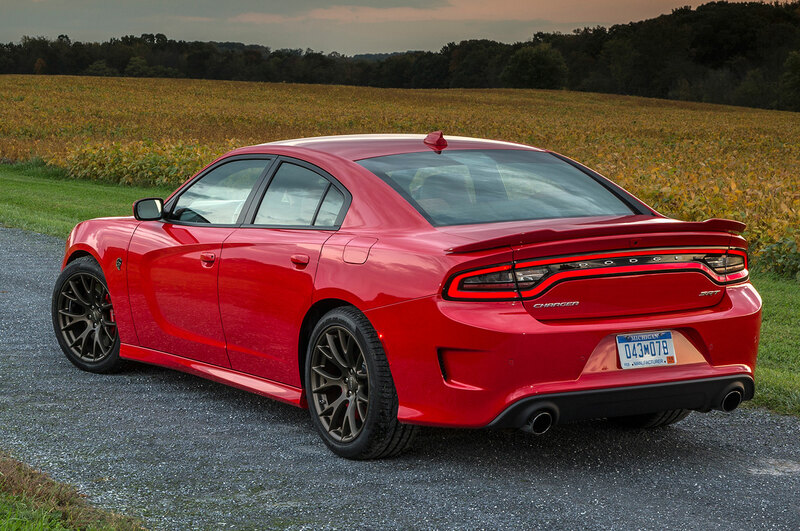 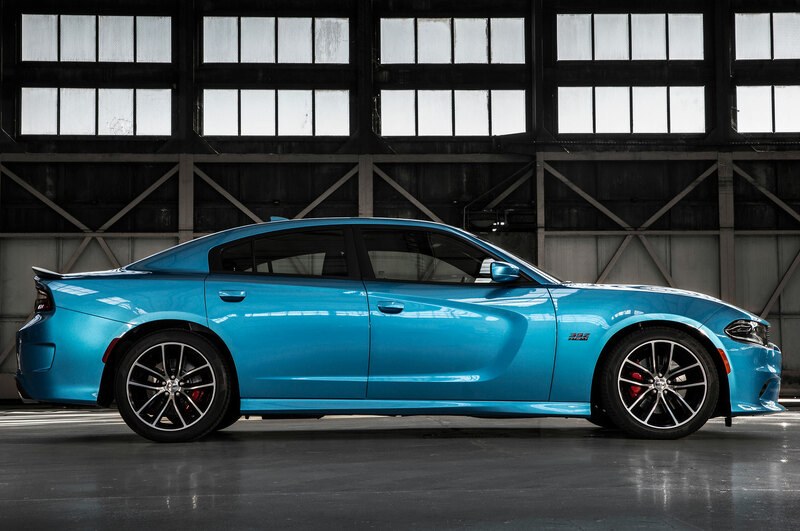 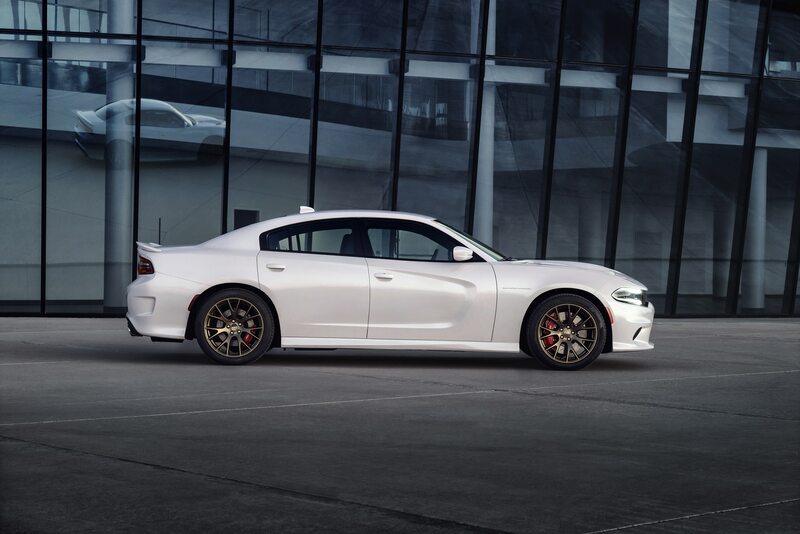 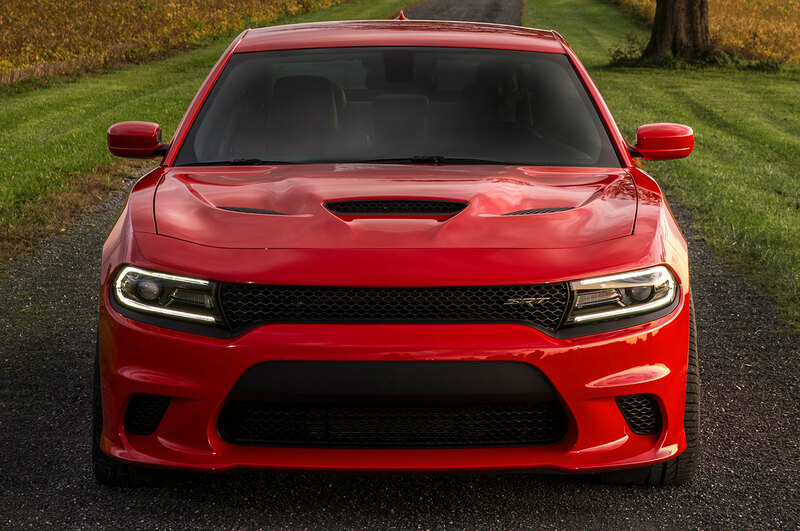 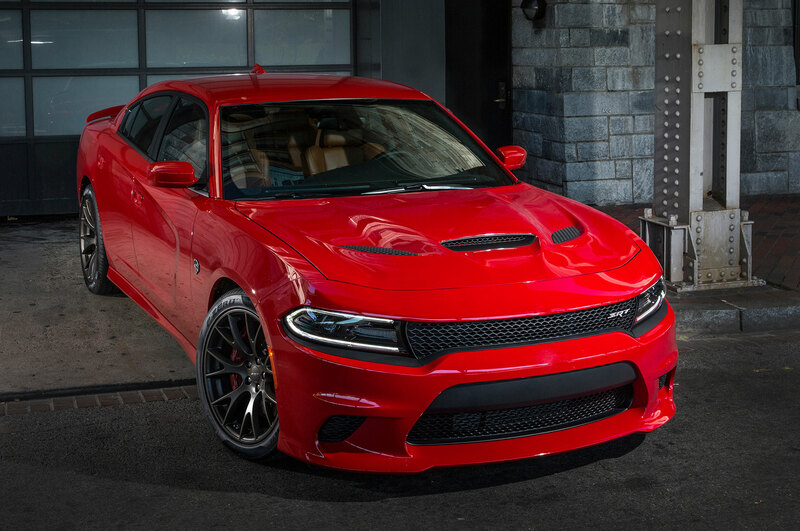 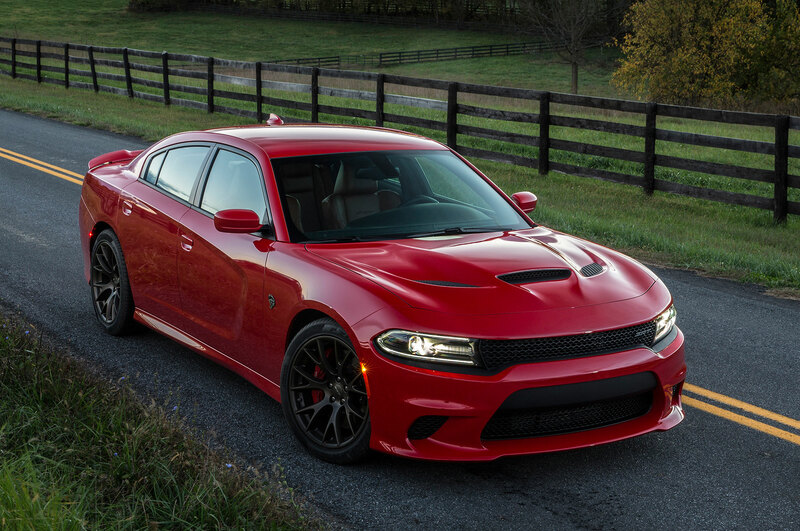 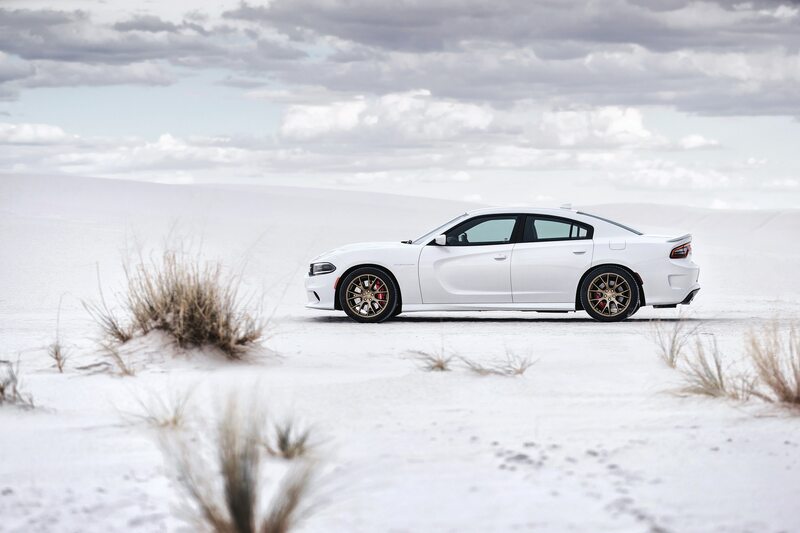 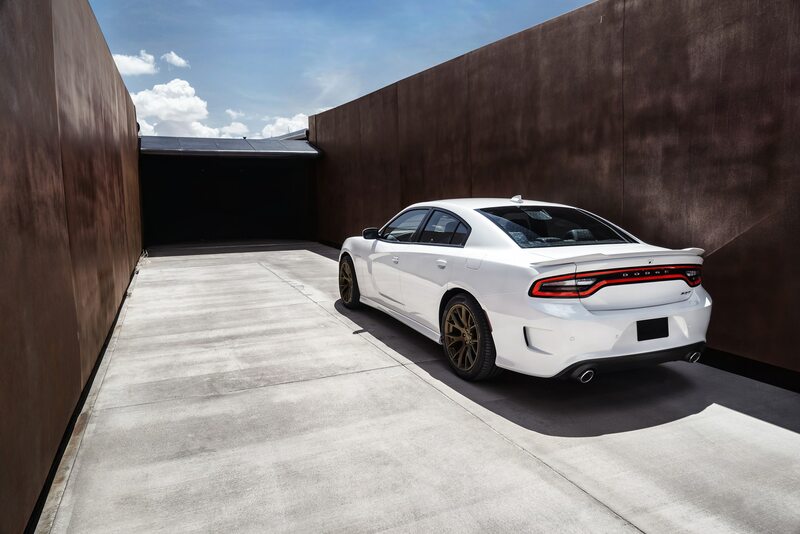 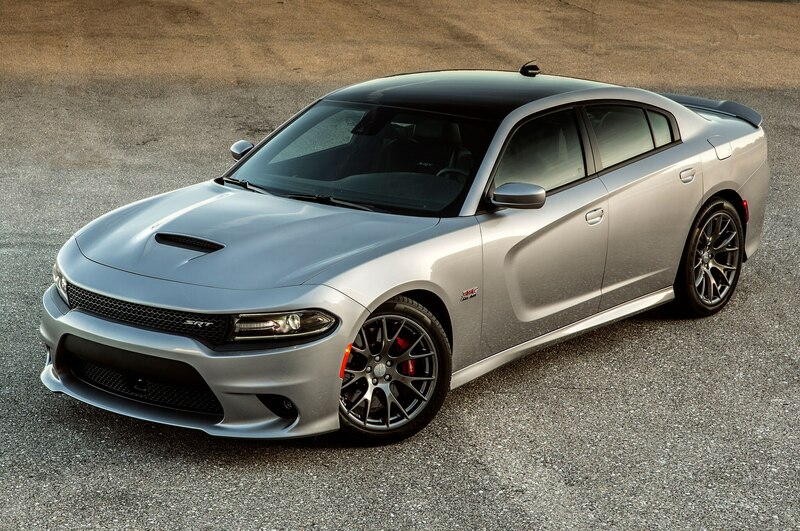 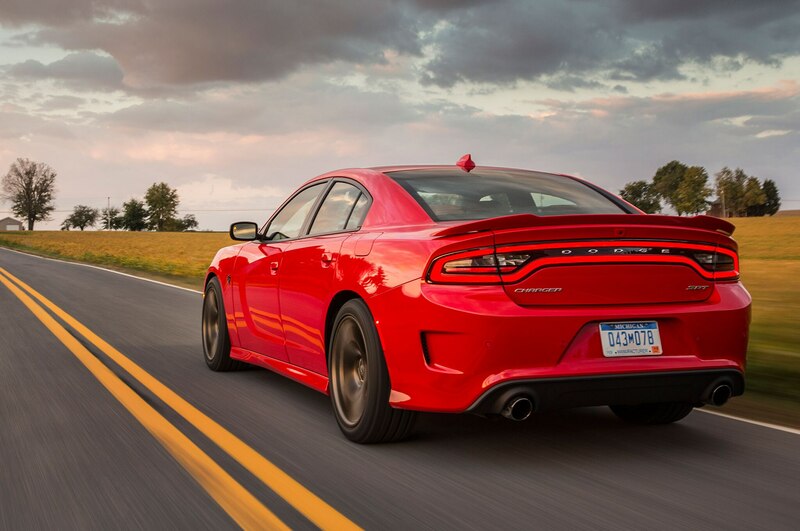 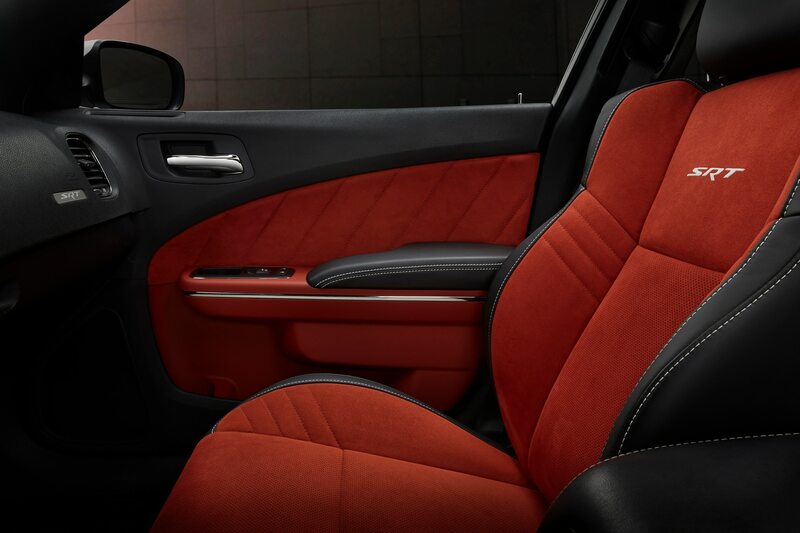 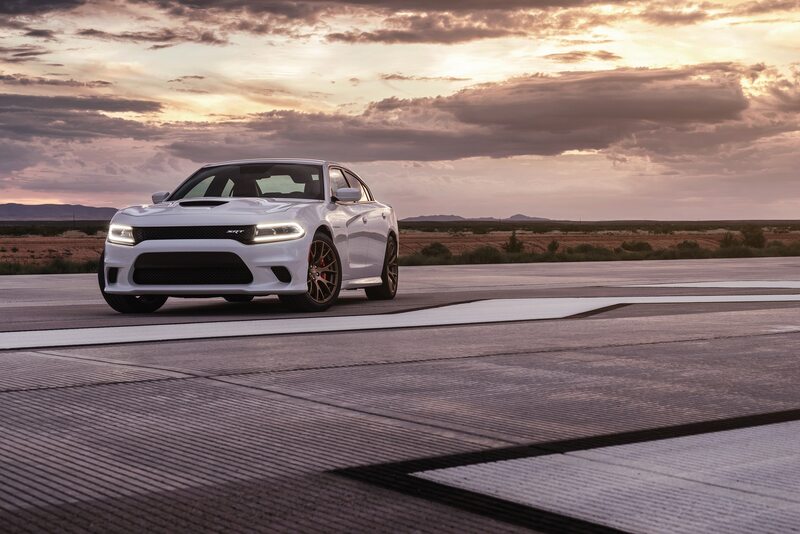 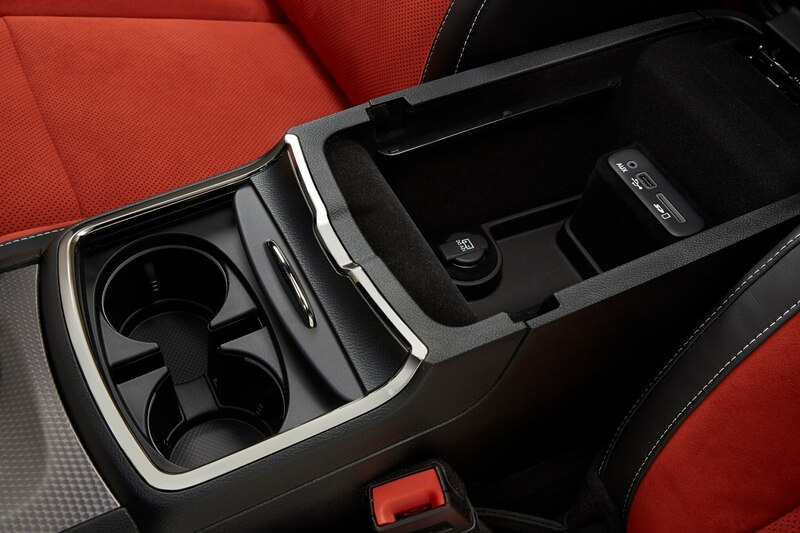 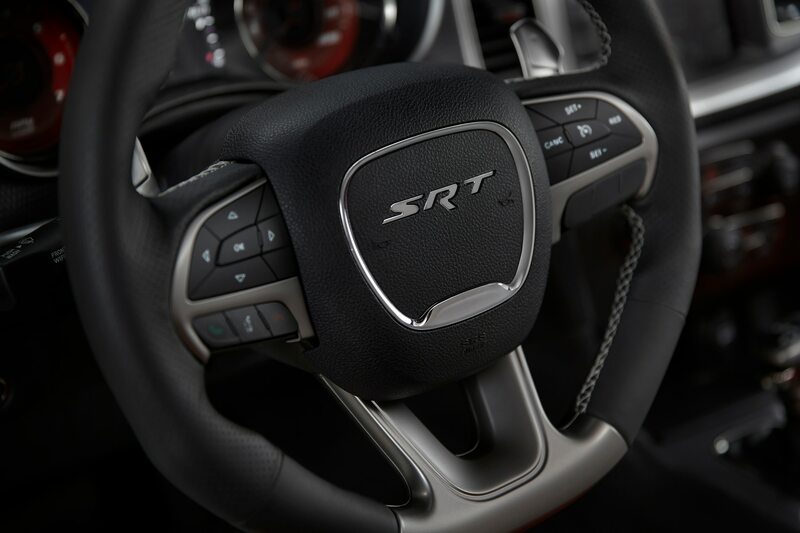 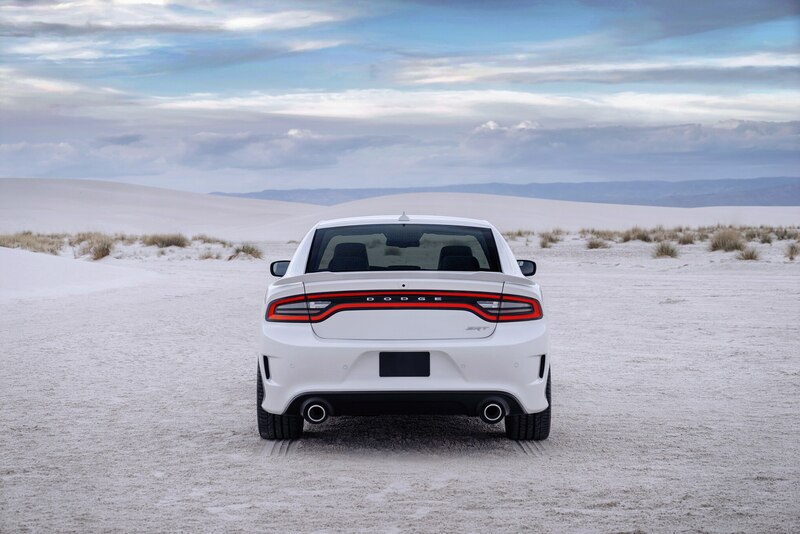 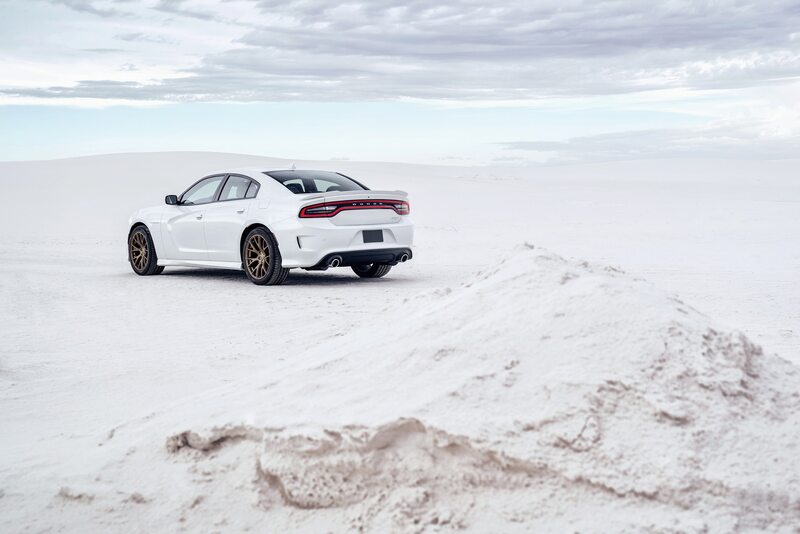 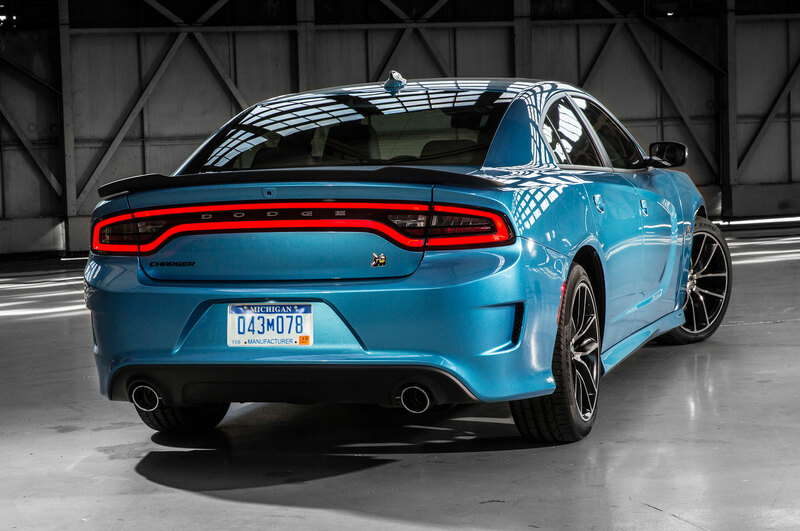 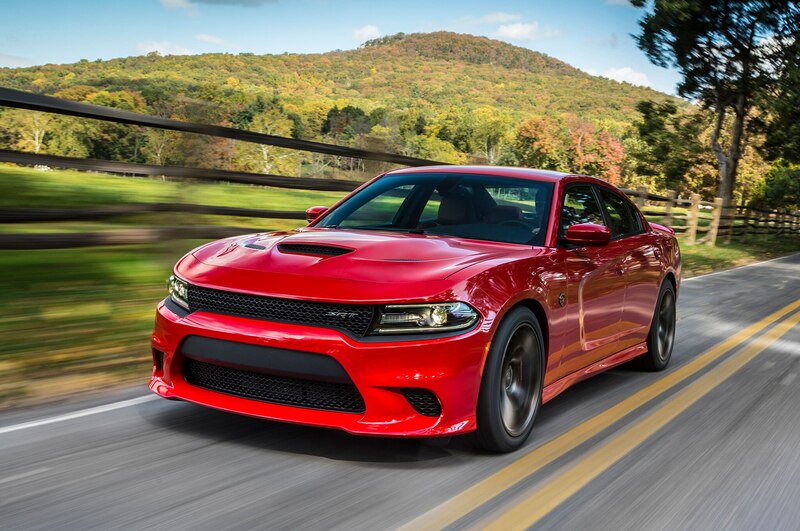 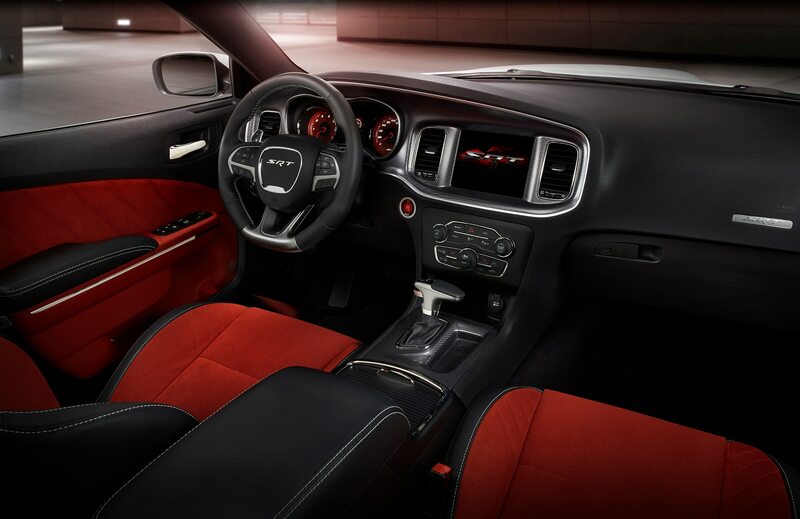 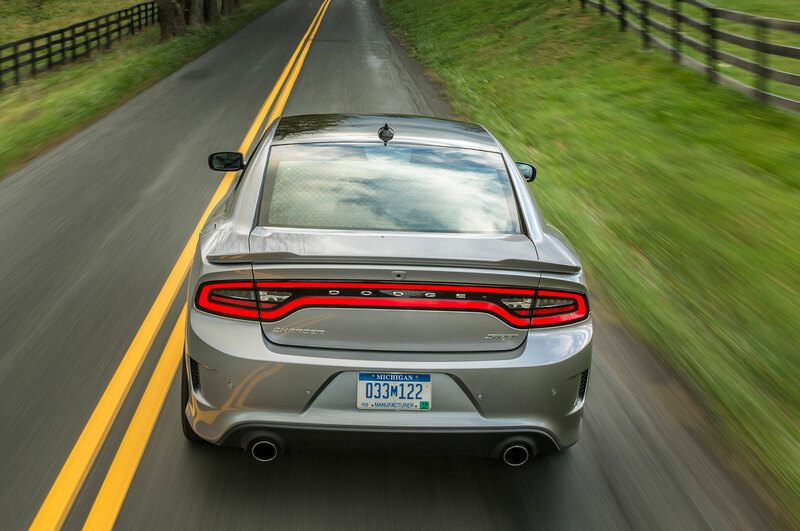 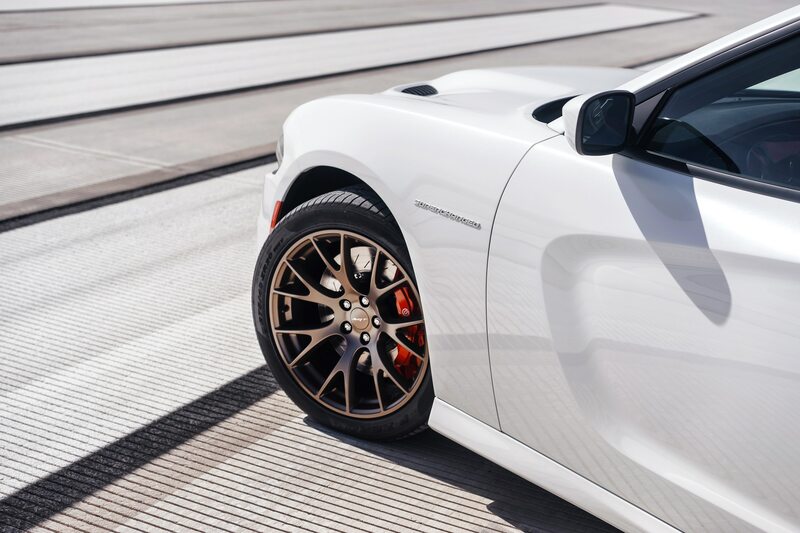 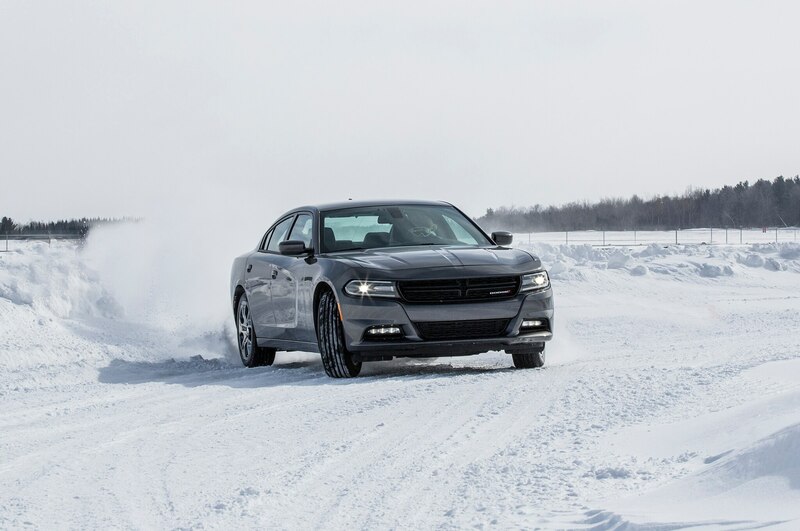 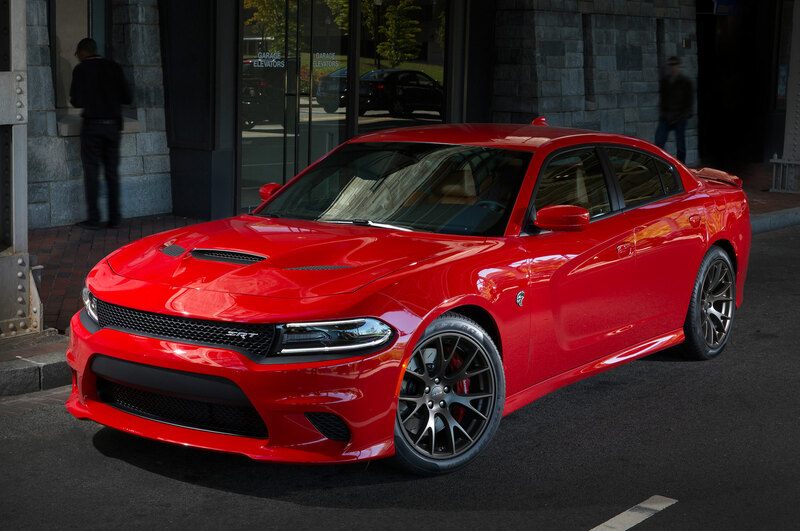 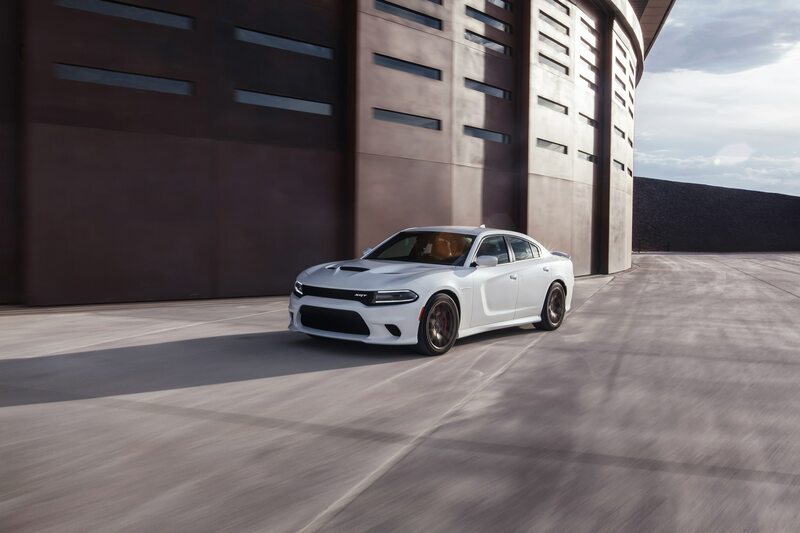 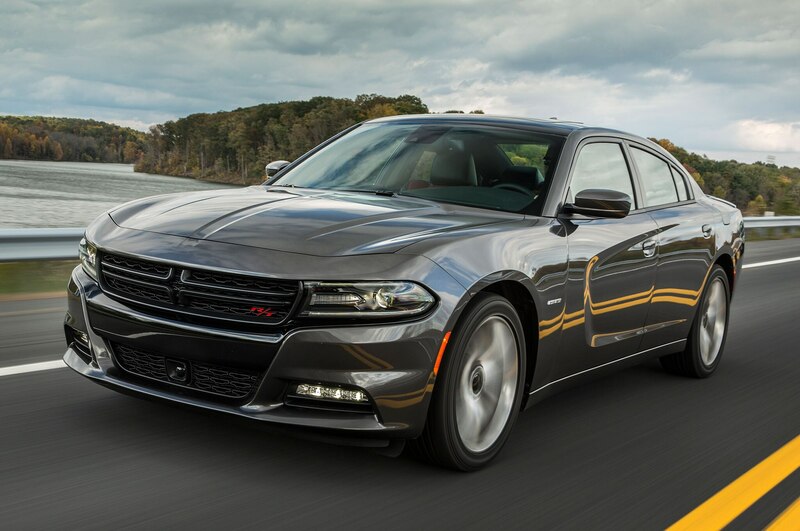 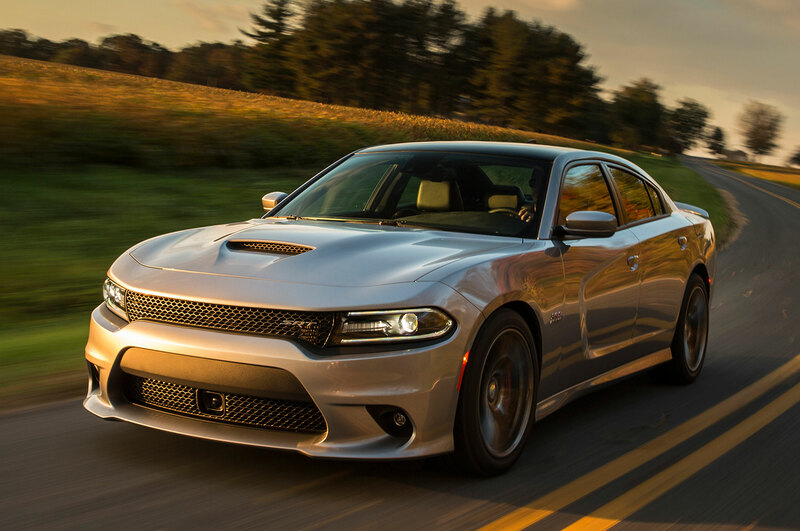 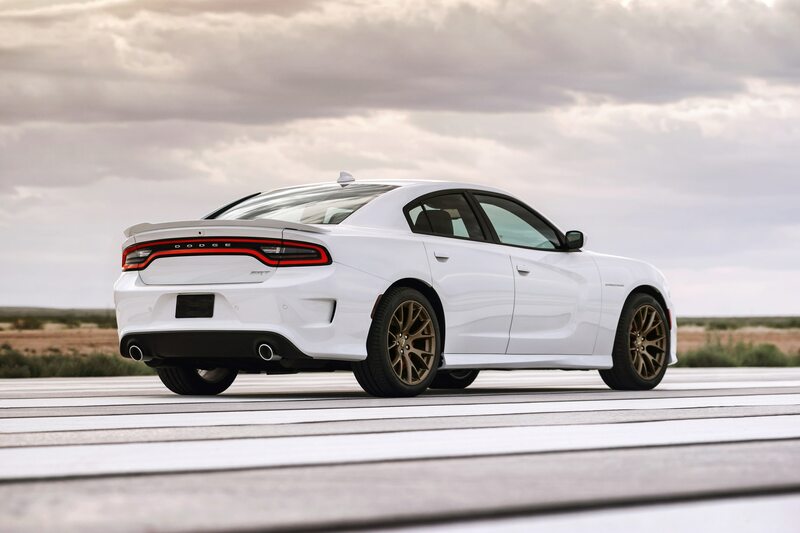 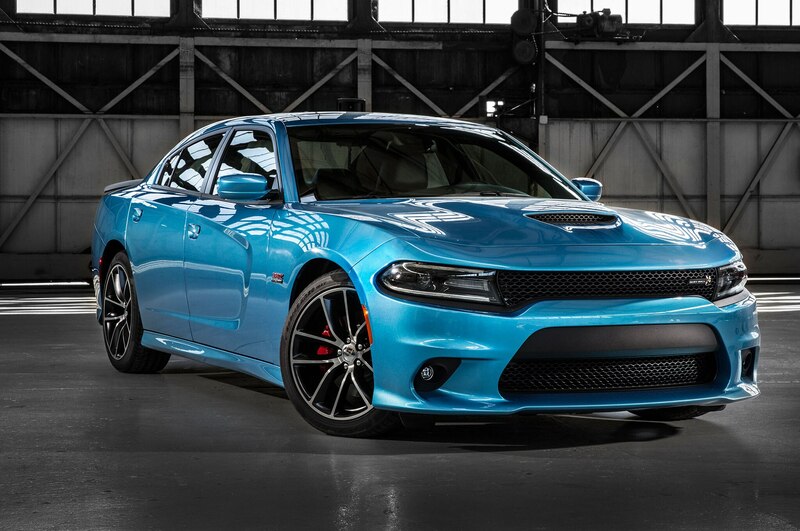 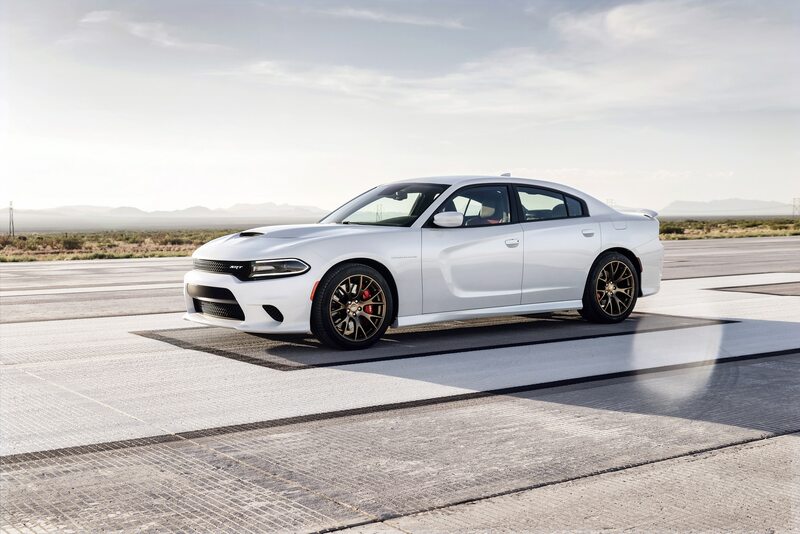 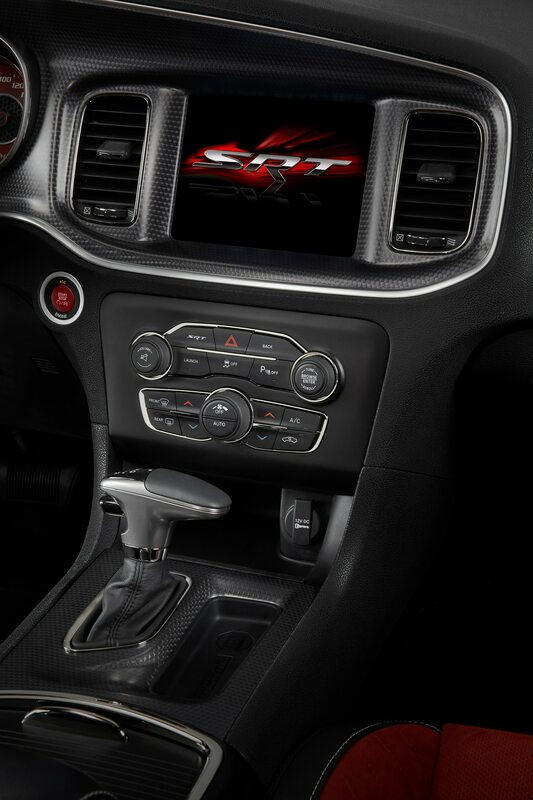 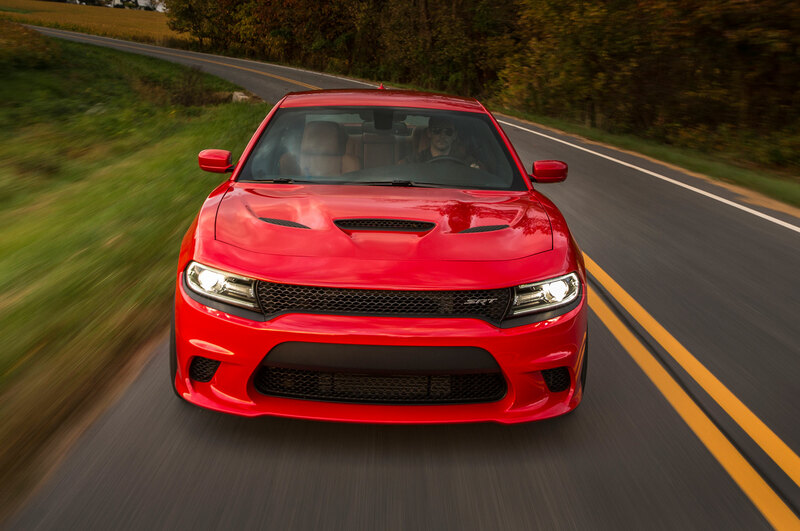 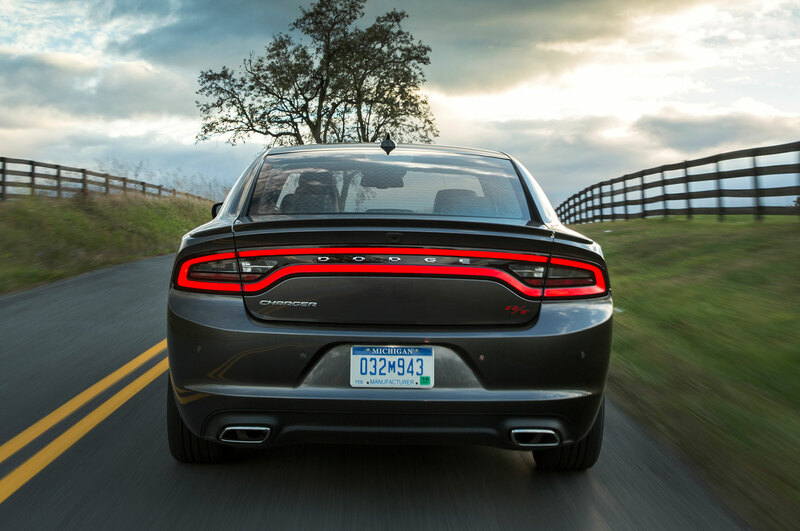 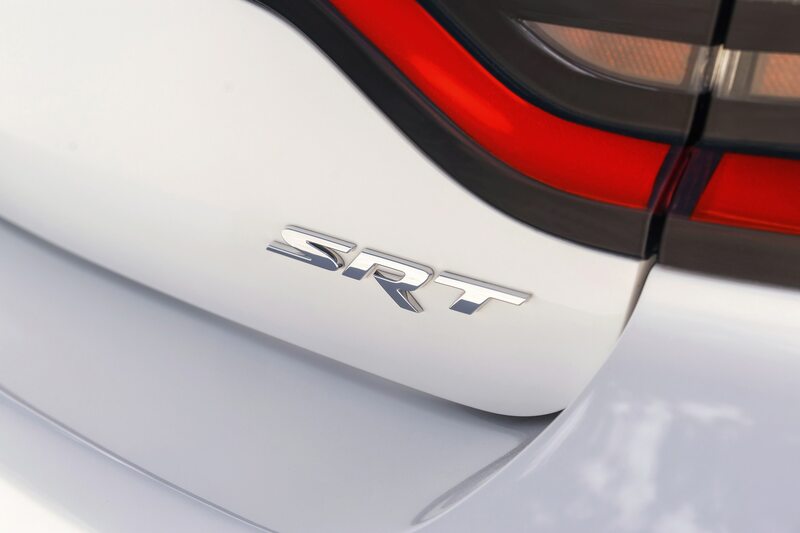 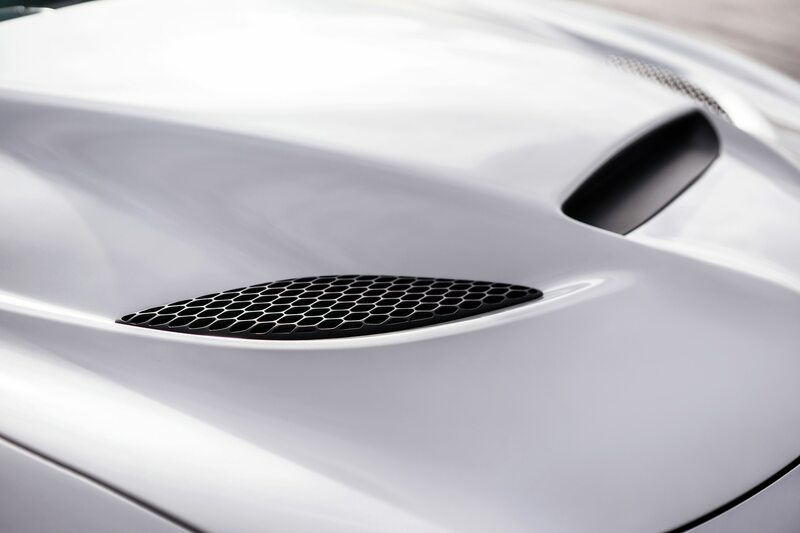 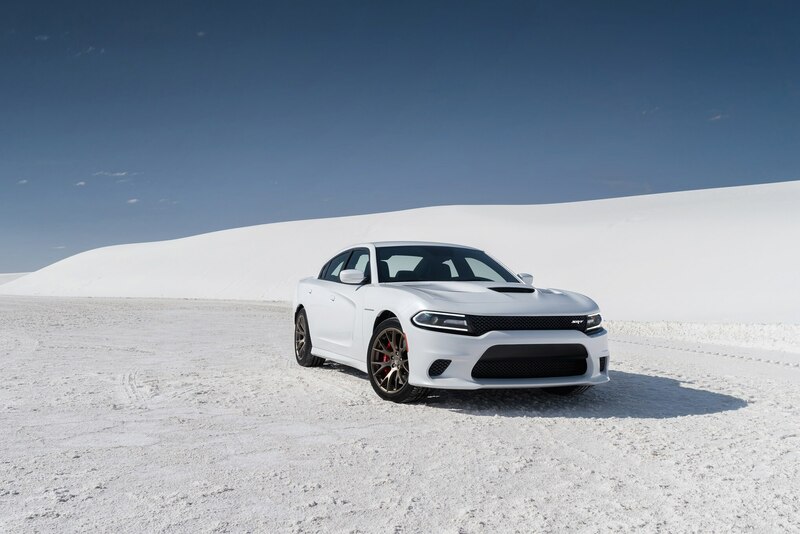 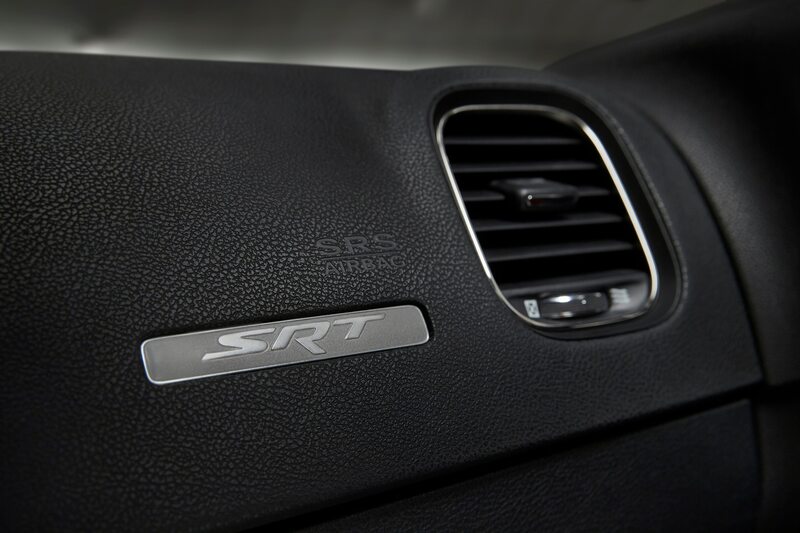 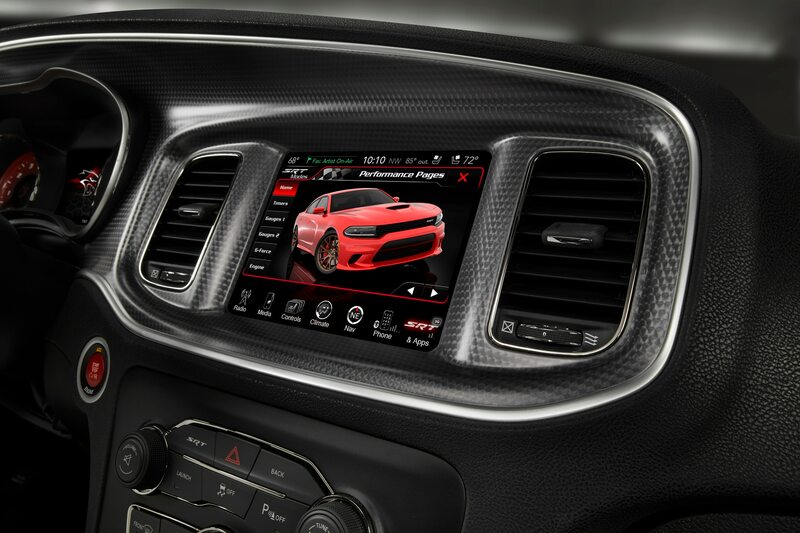 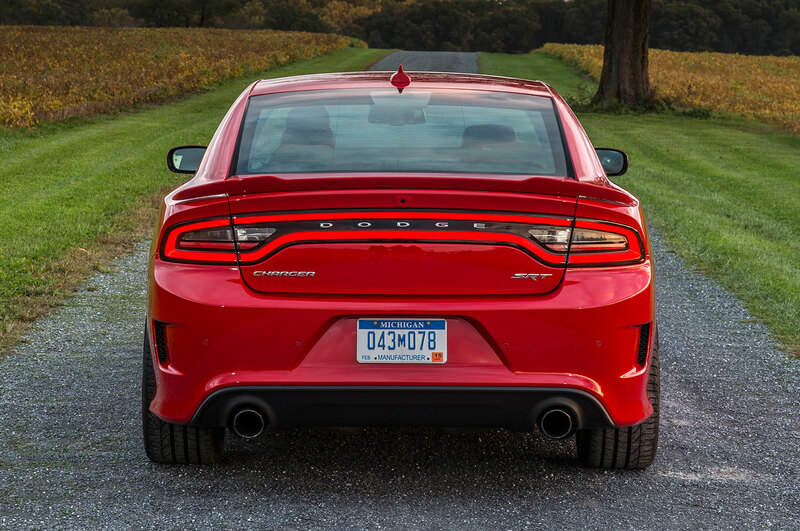 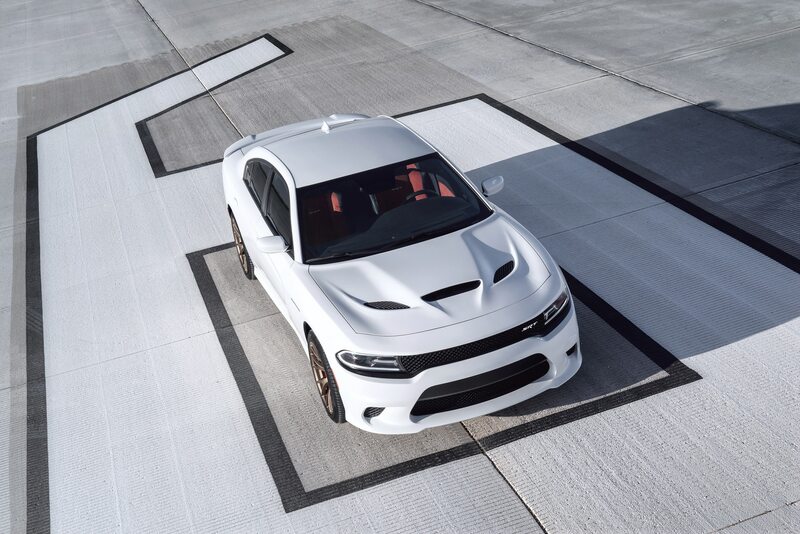 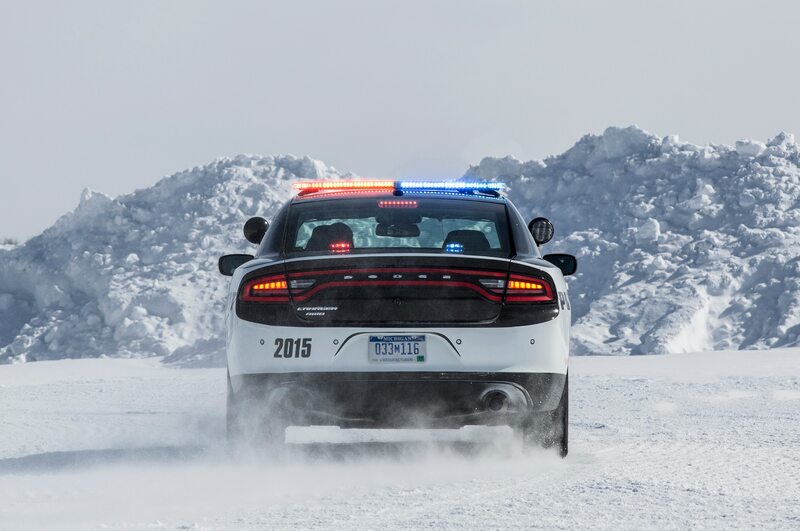 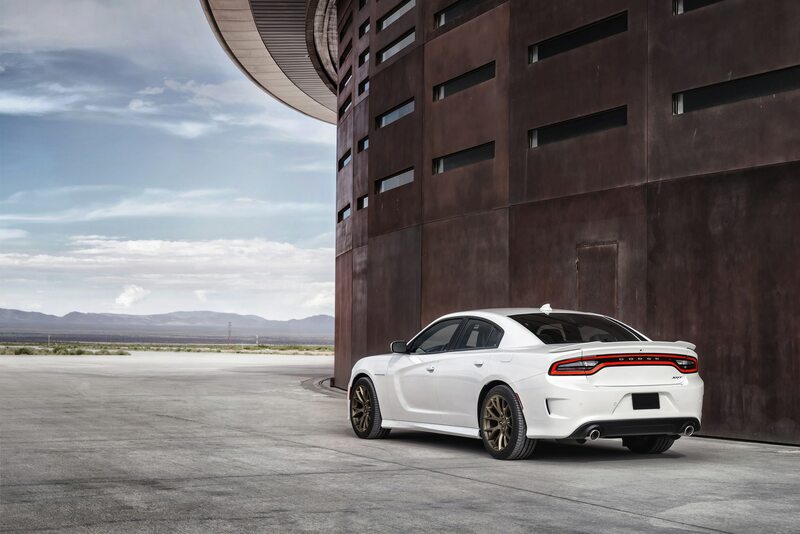 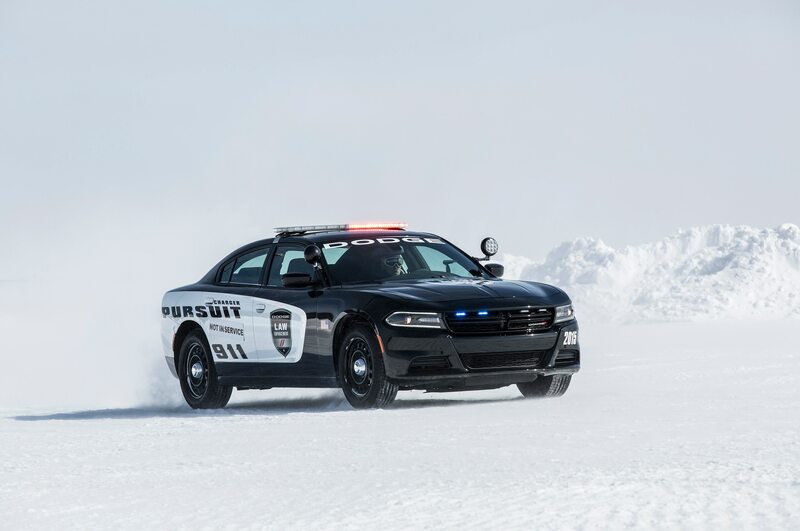 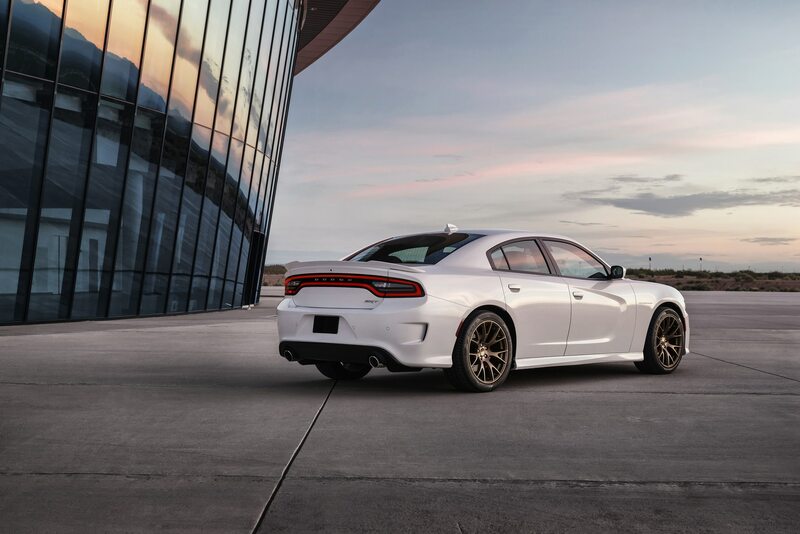 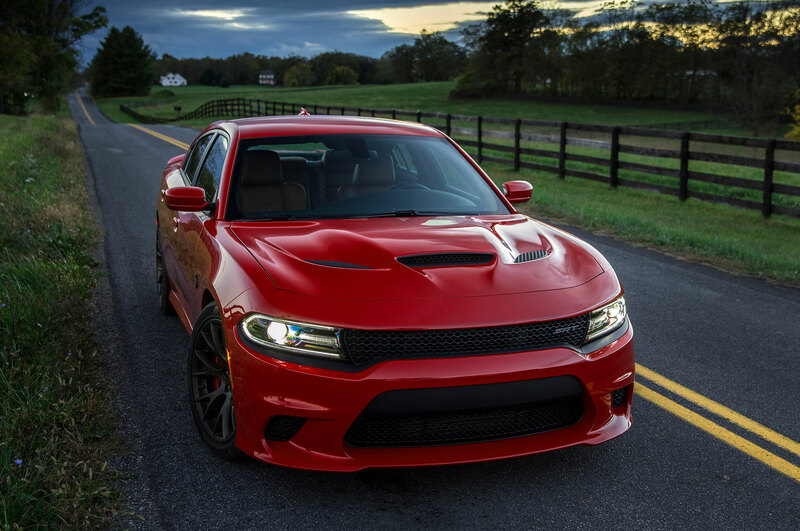 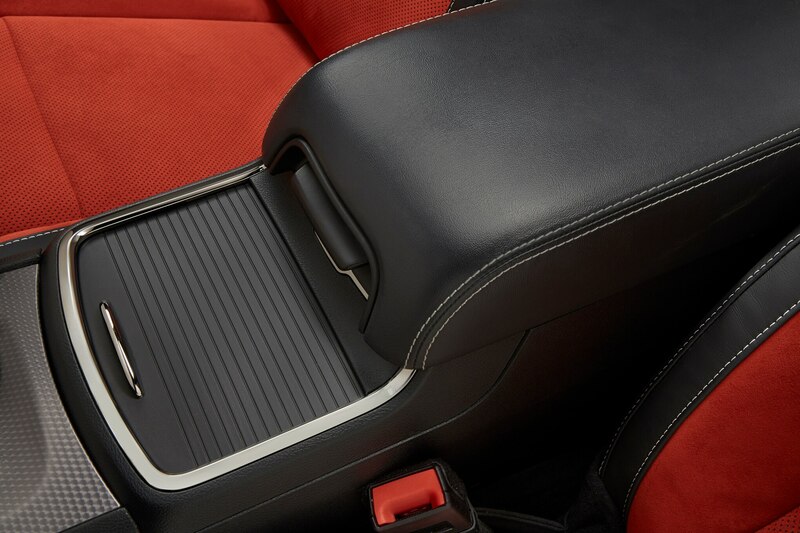 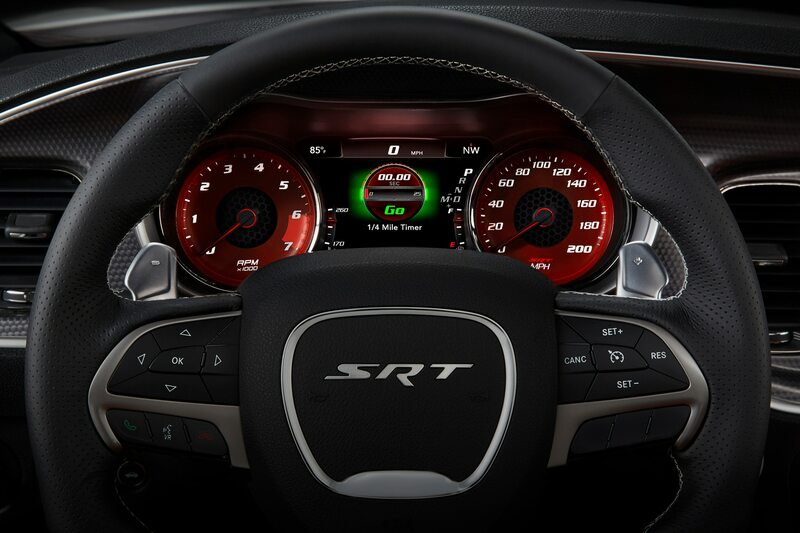 If the P85D is the Zeitgeist of the eco-friendly movement toward an oil-free future, then the Dodge Charger SRT Hellcat represents all that is right and holy about high performance internal combustion. 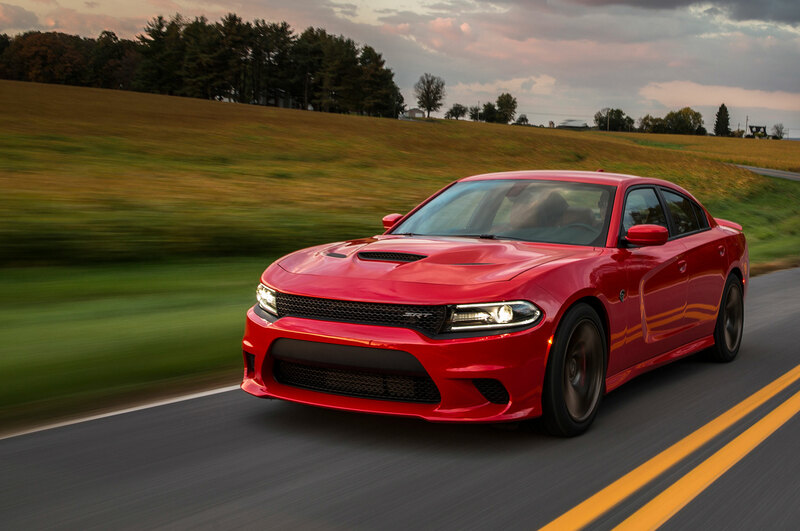 Jonny finds the Hellcat to be decidedly old-school, a rolling ‘80s power ballad that feels like it was lifted straight from the hot-rod era. 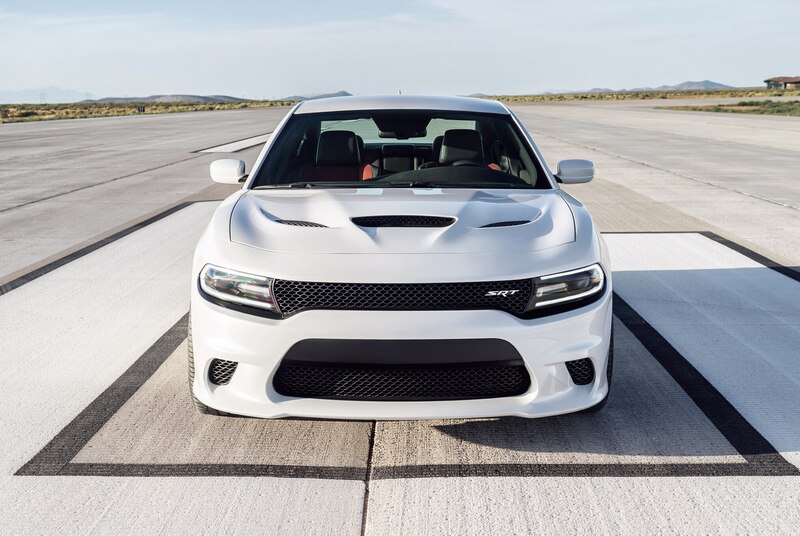 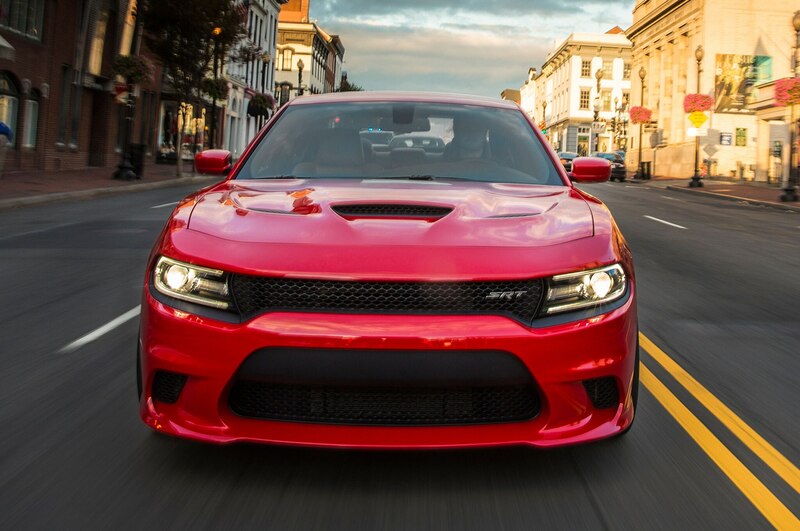 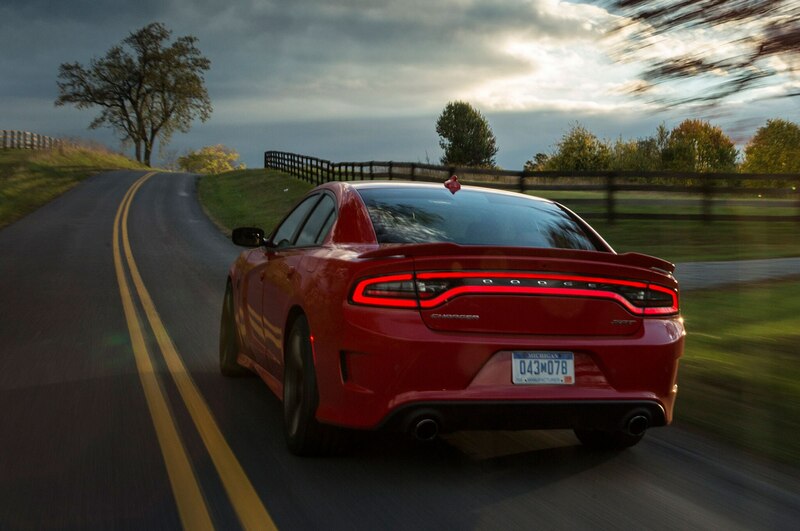 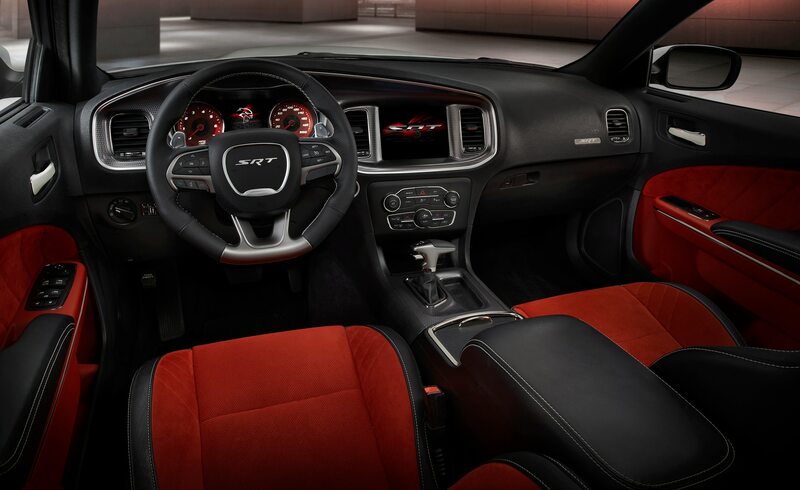 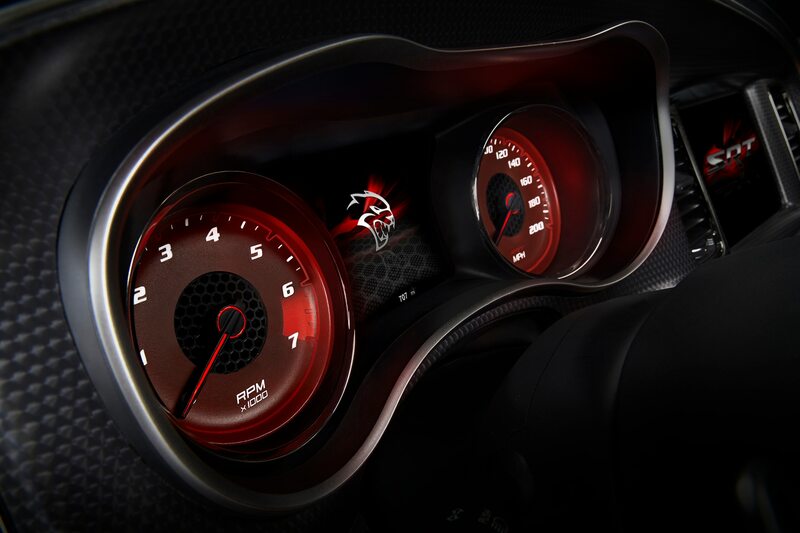 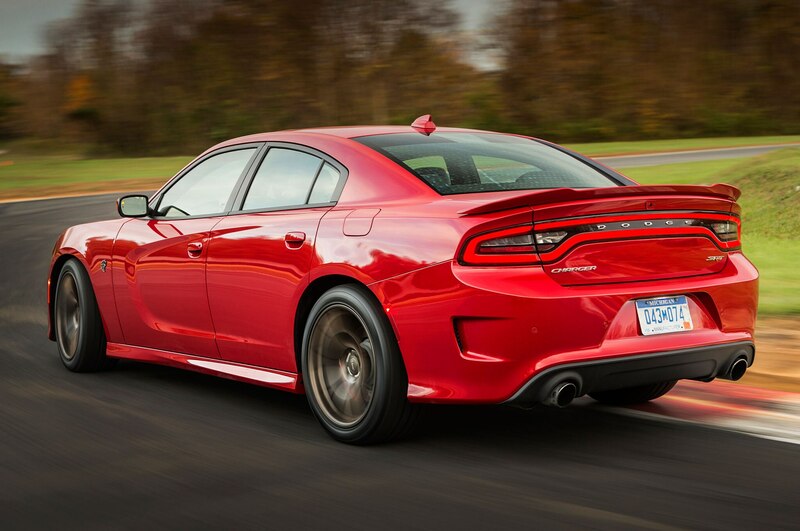 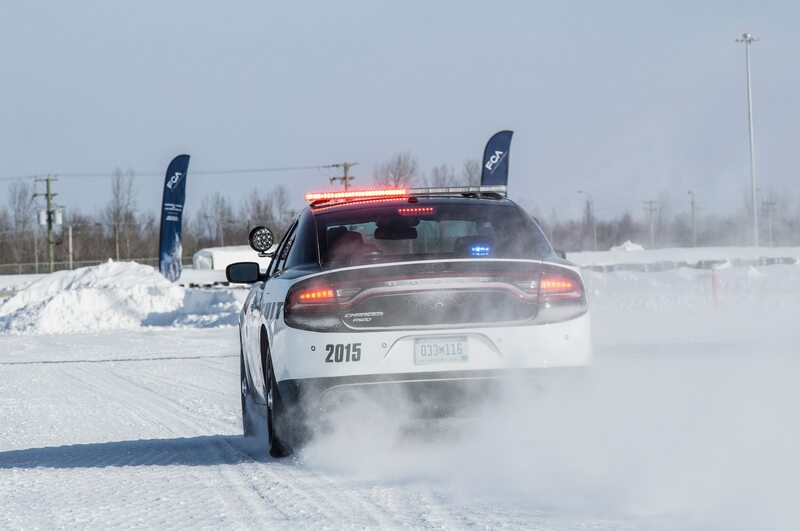 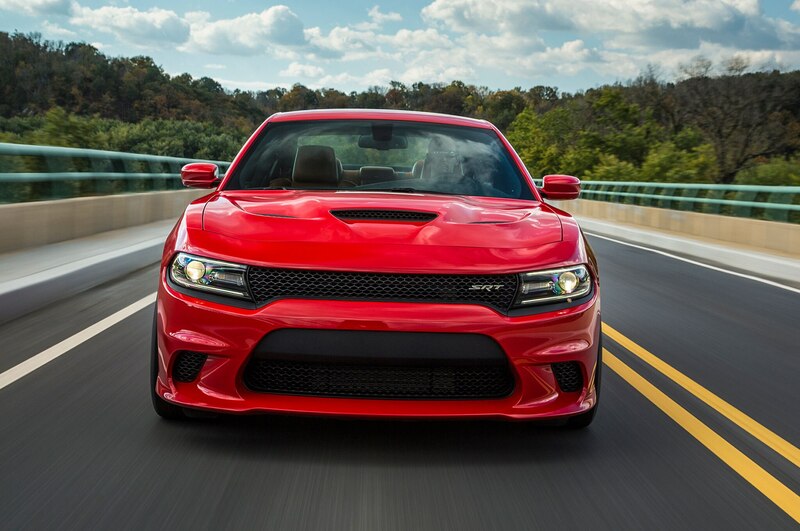 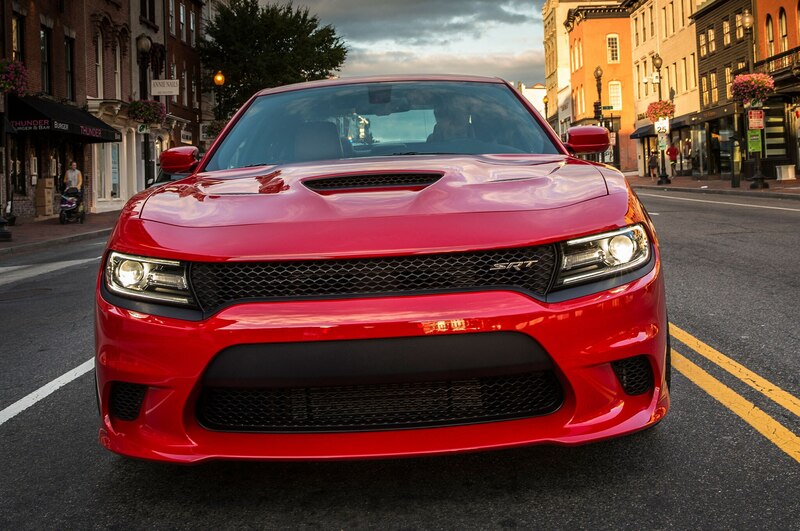 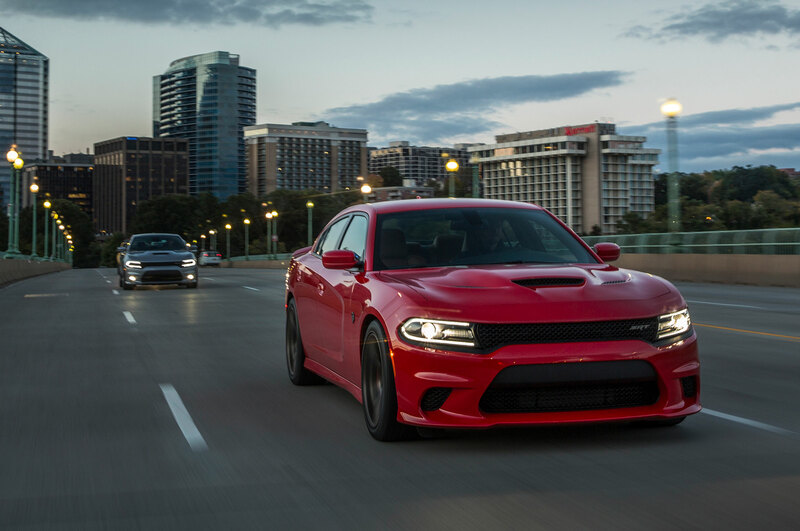 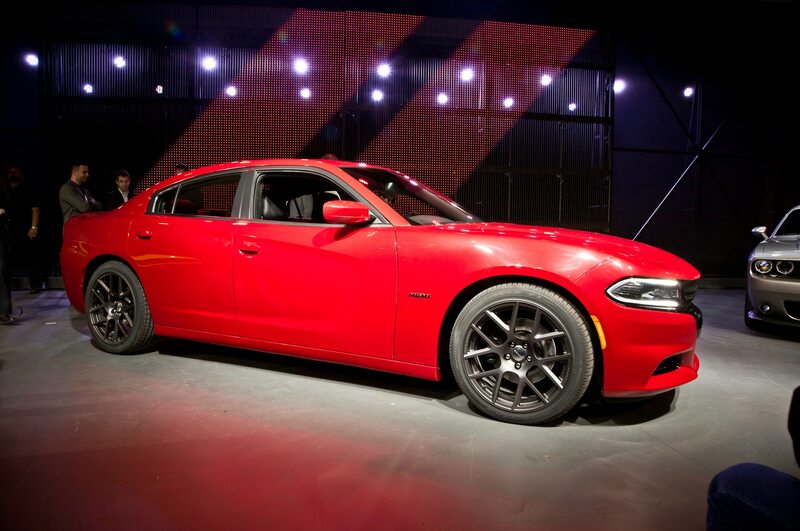 He can’t get enough of the Hellcat, as he claims his face hurts from the non-stop grin he has behind the wheel. 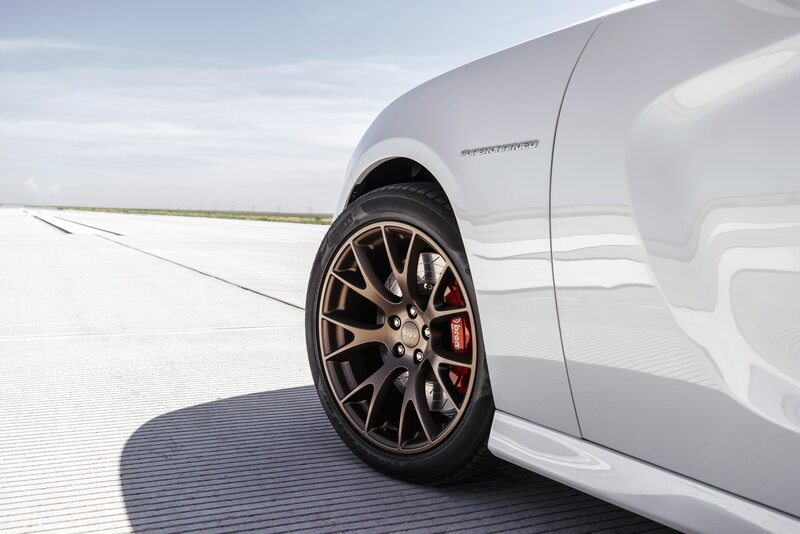 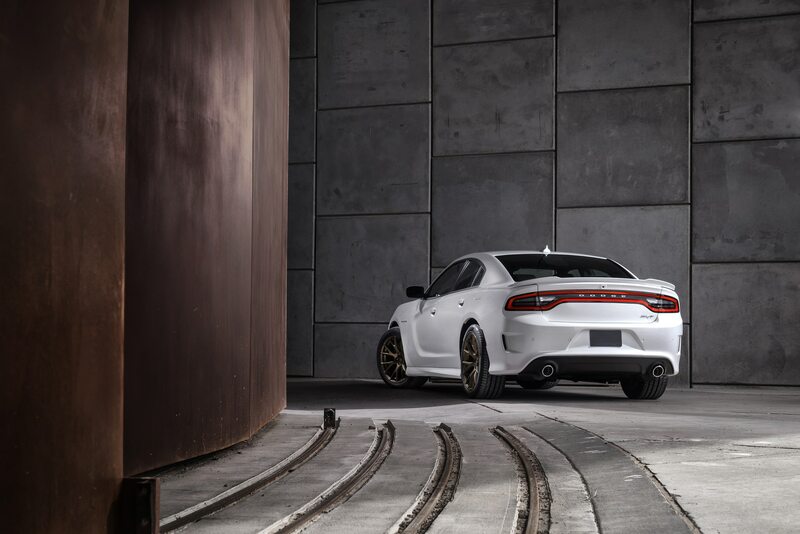 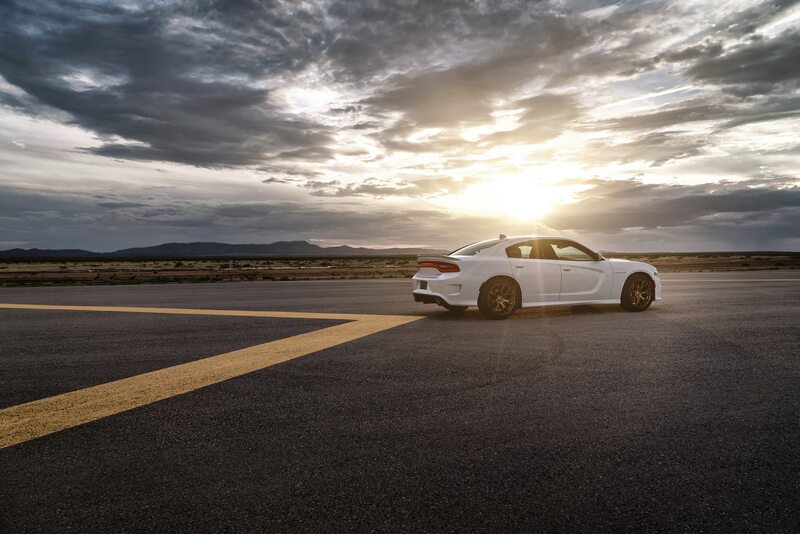 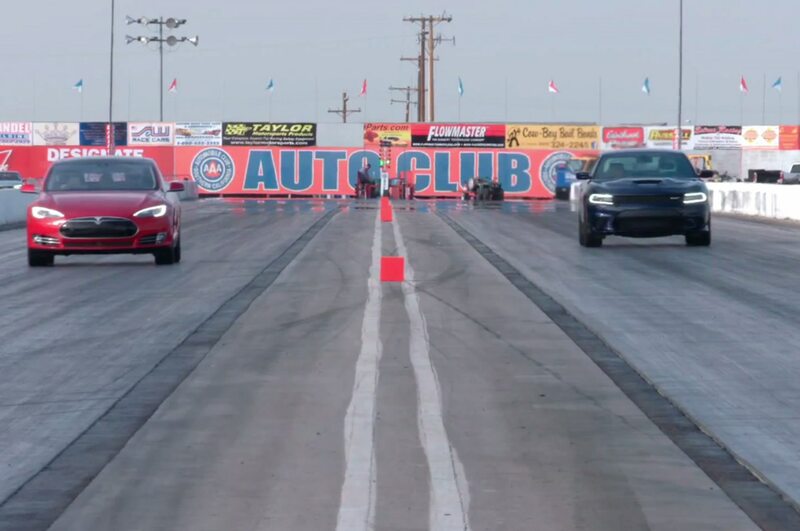 After the two super-sedans are put through their paces on the road, Jonny lines them up at a drag strip, to see which four-door powerhouse can rip down the quarter-mile the fastest. 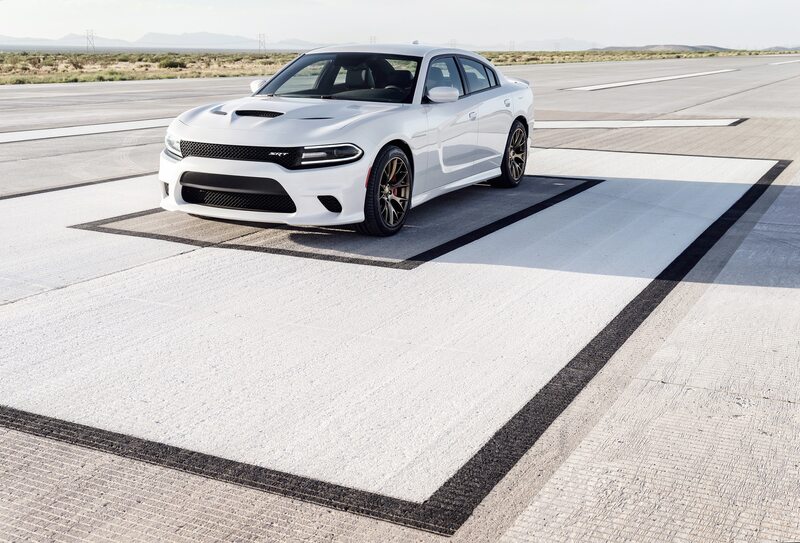 The Dodge Charger SRT Hellcat blows through the timing lights in 11.8 seconds at 124.3 mph, while Tesla’s electric powerhouse finishes its run in 11.7 seconds at 113.7 mph. 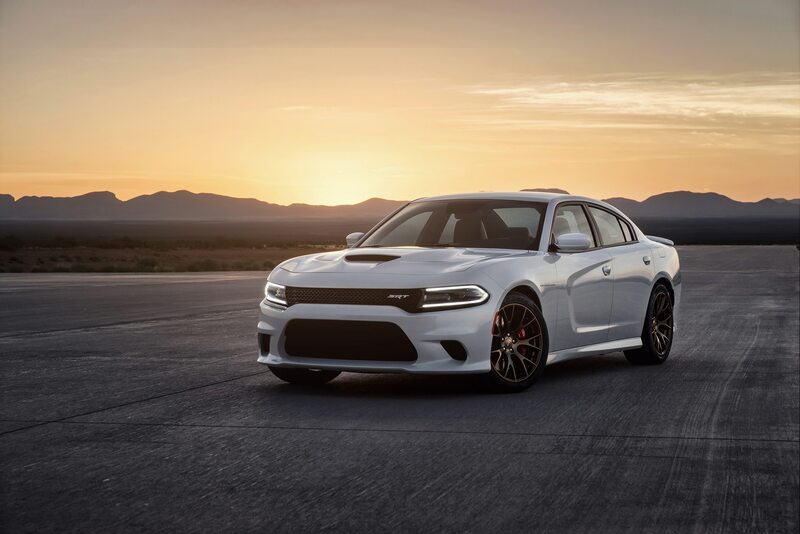 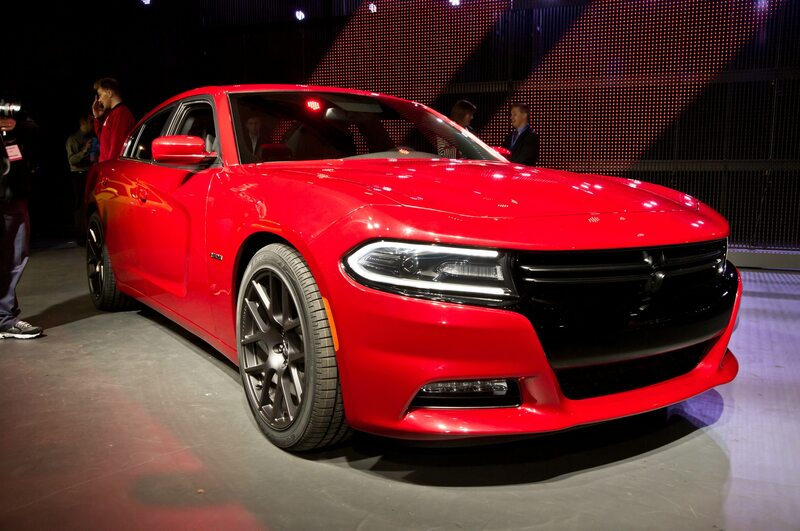 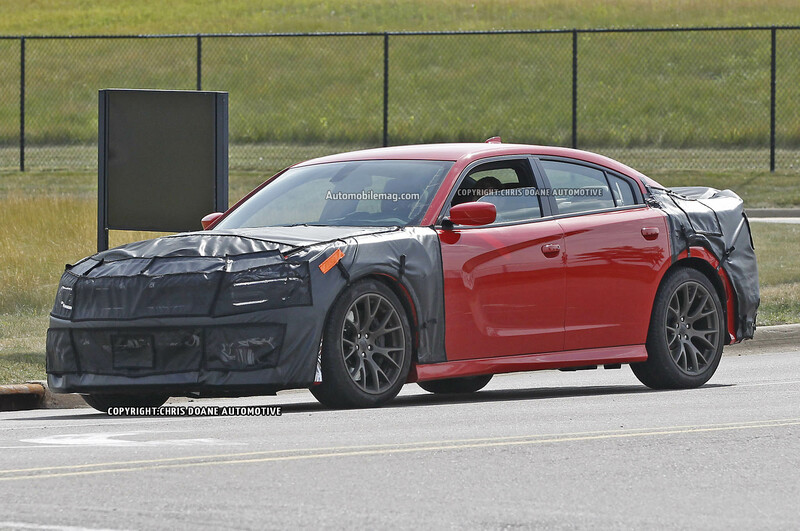 To get a full run-down of Motor Trend‘s Tesla Model S P85D and the Dodge Charger SRT Hellcat, click here. 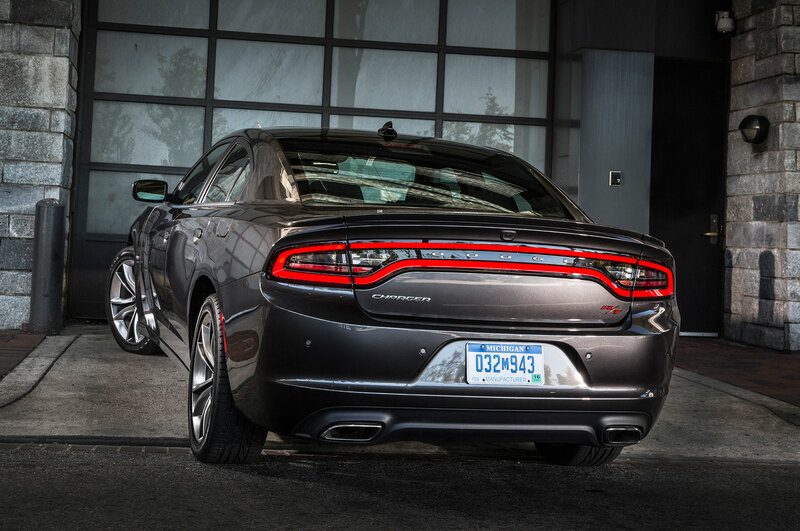 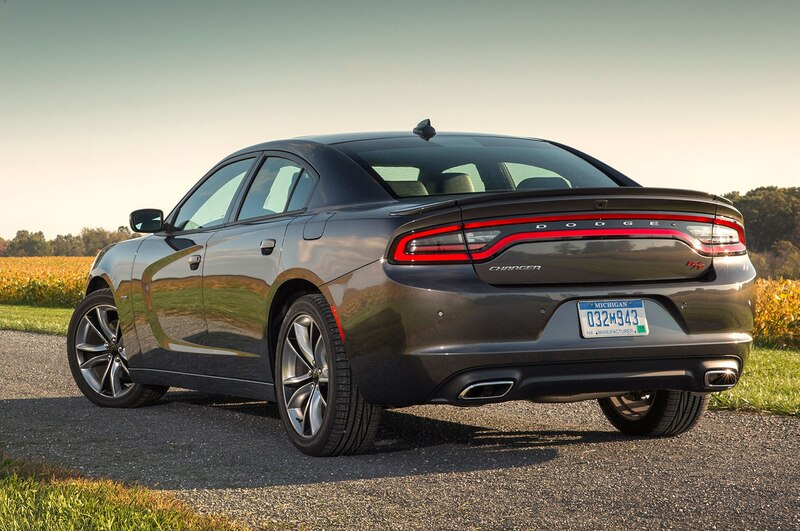 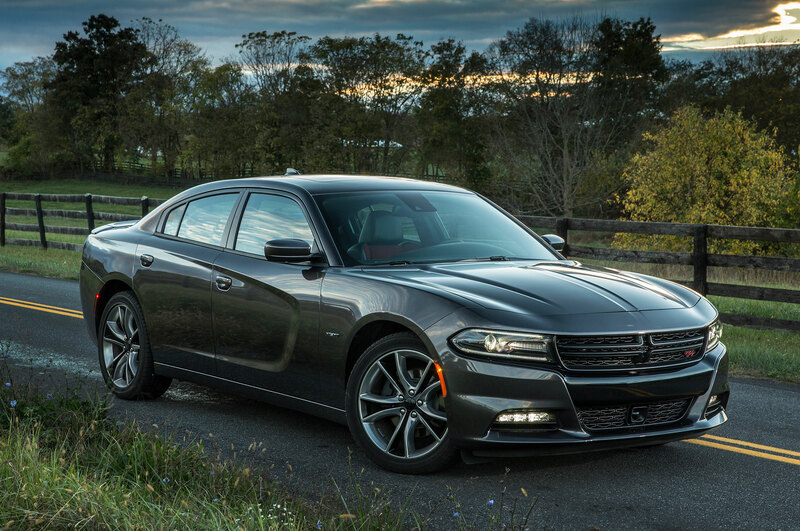 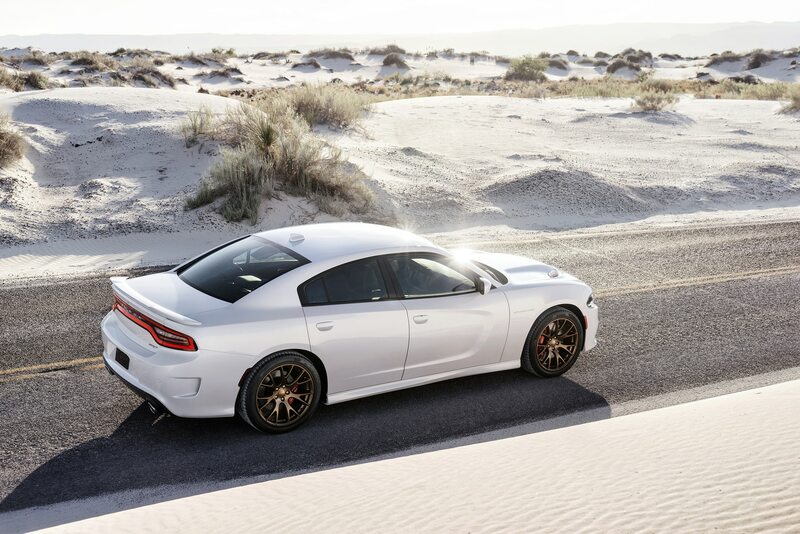 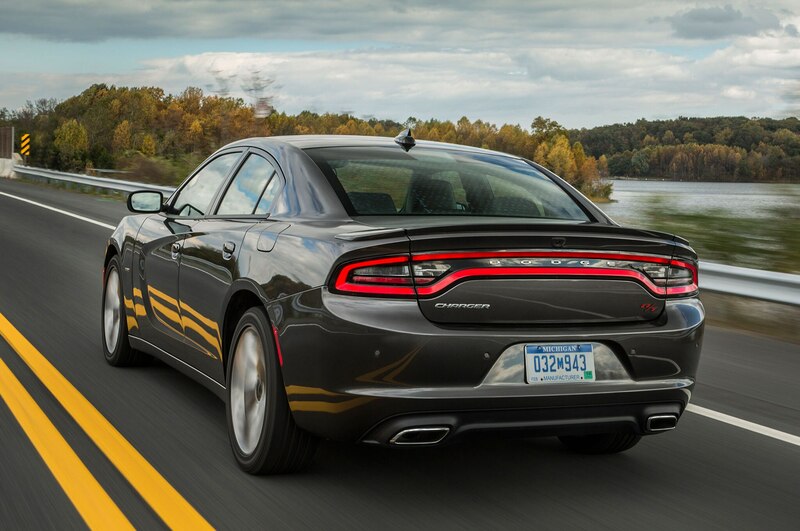 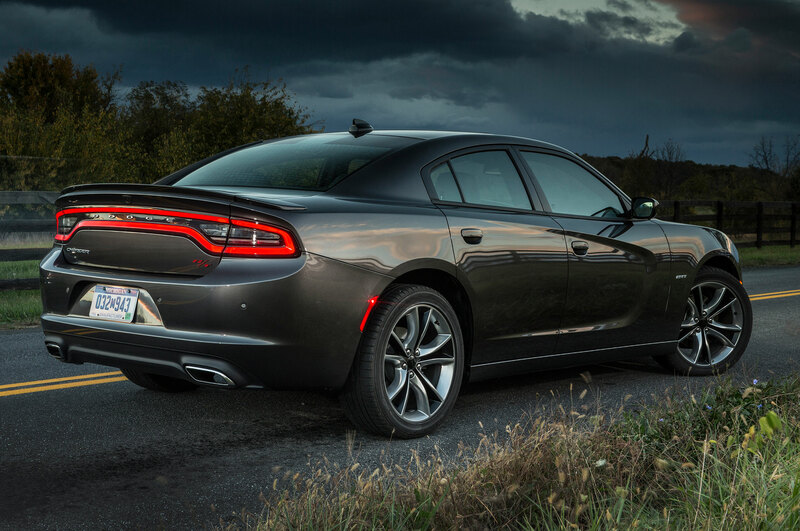 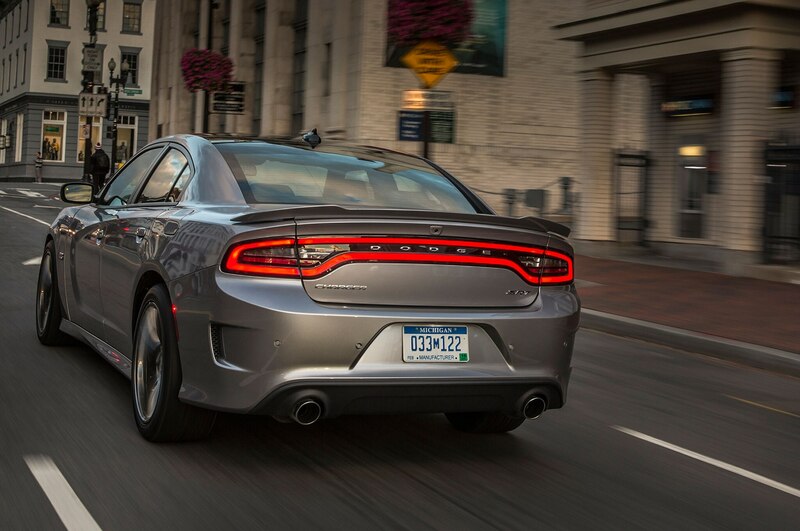 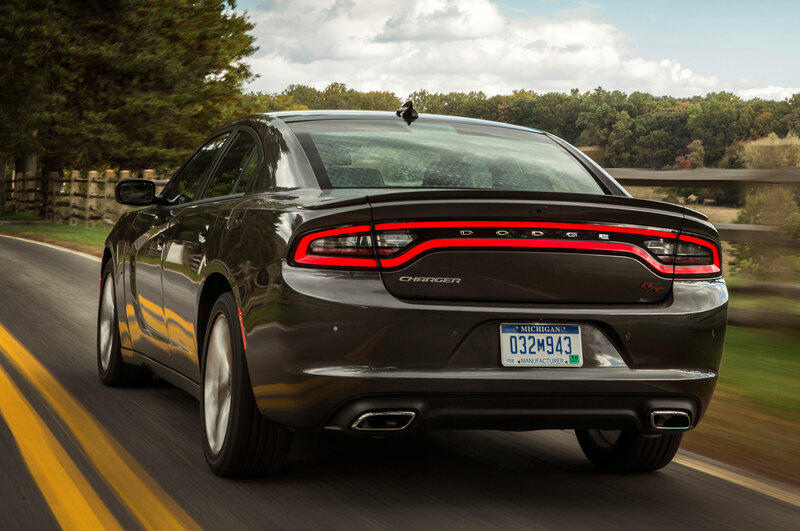 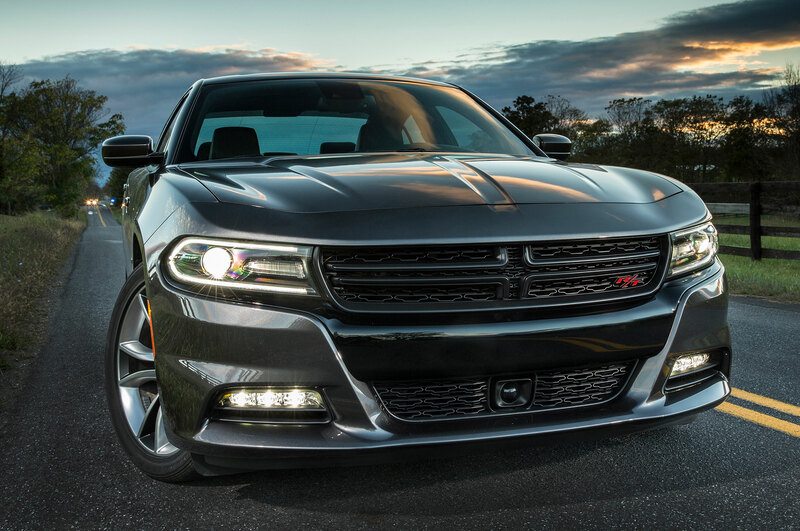 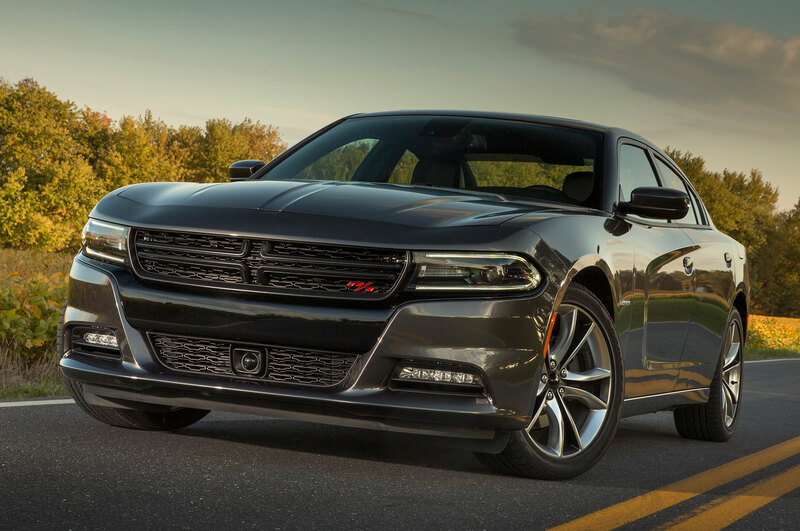 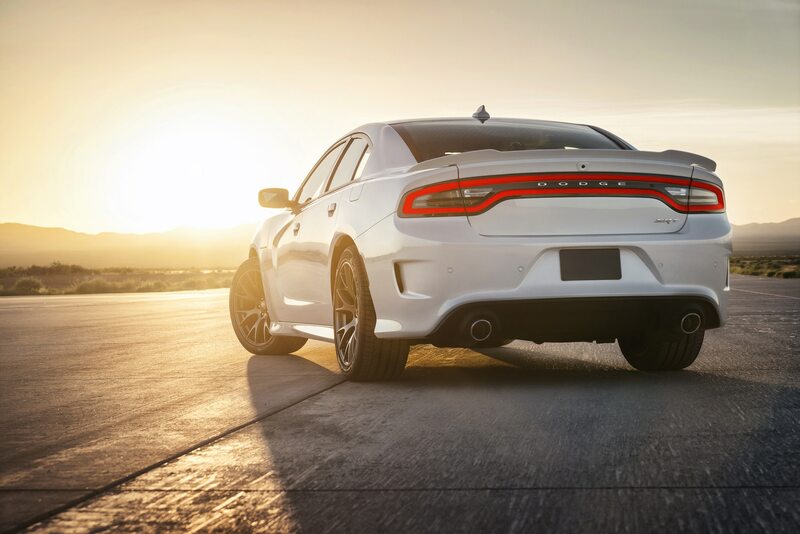 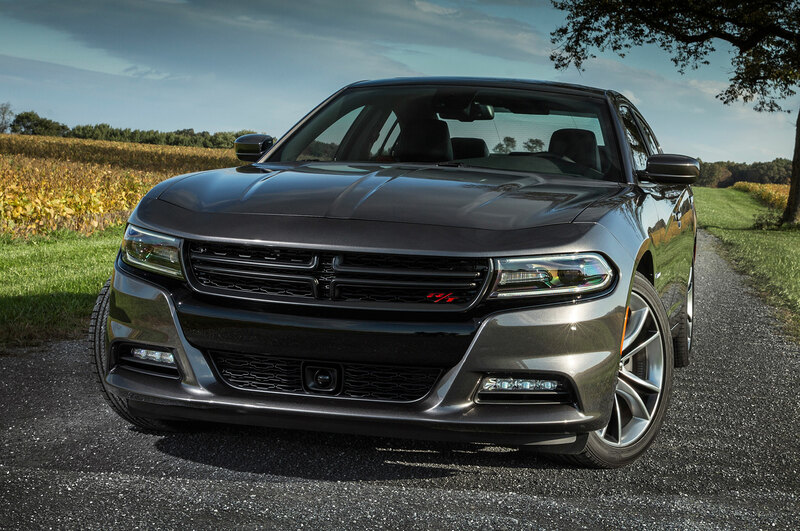 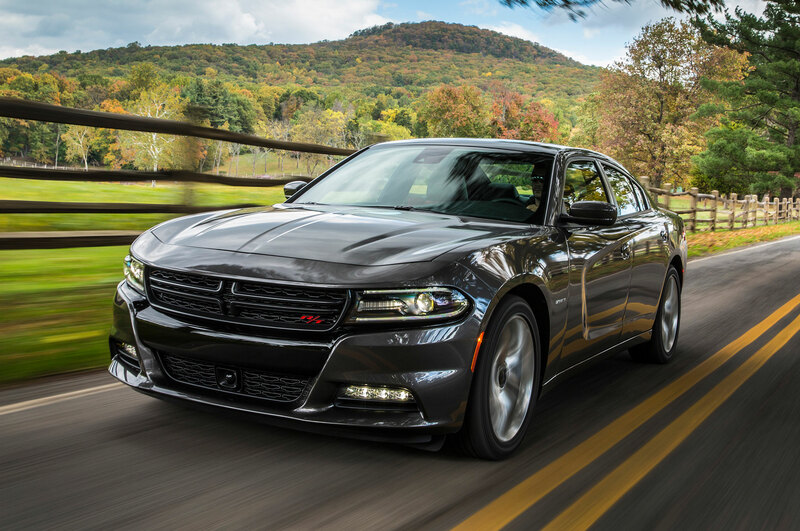 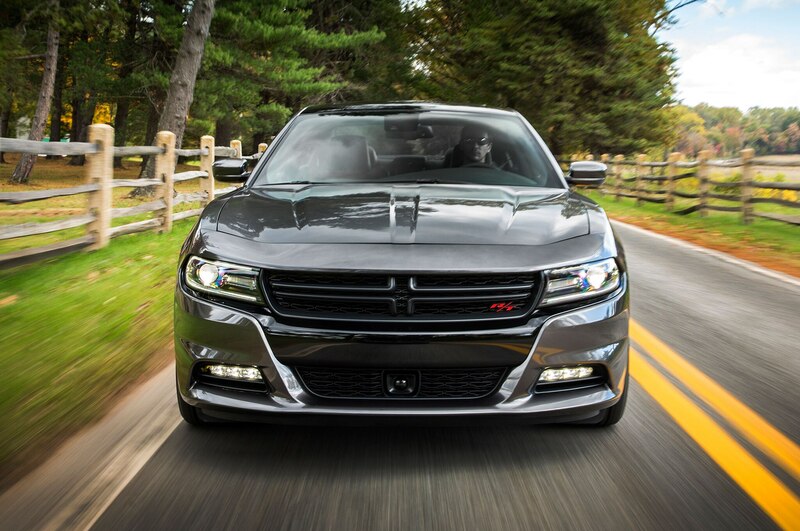 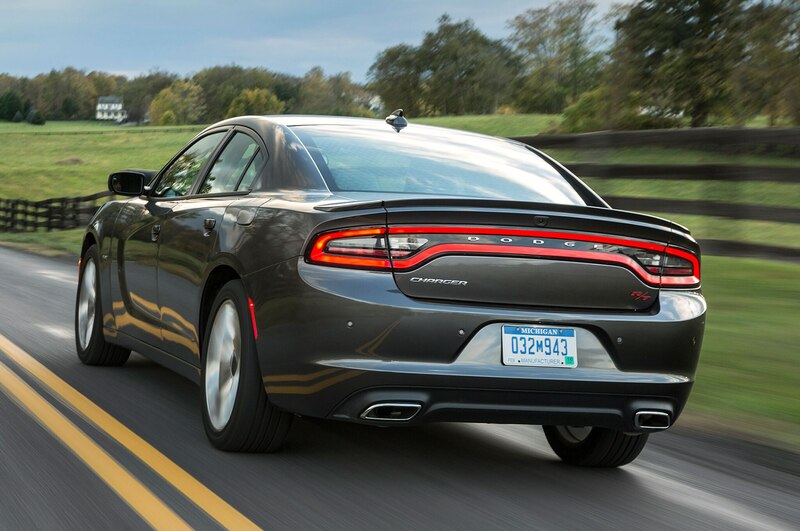 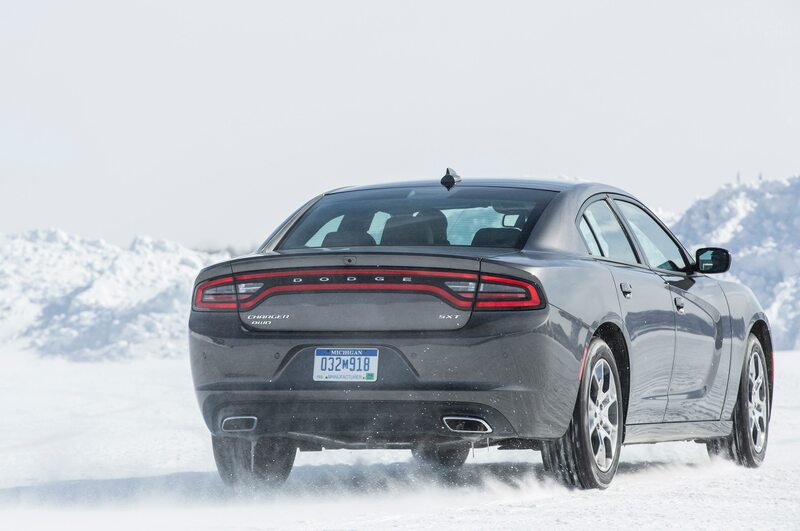 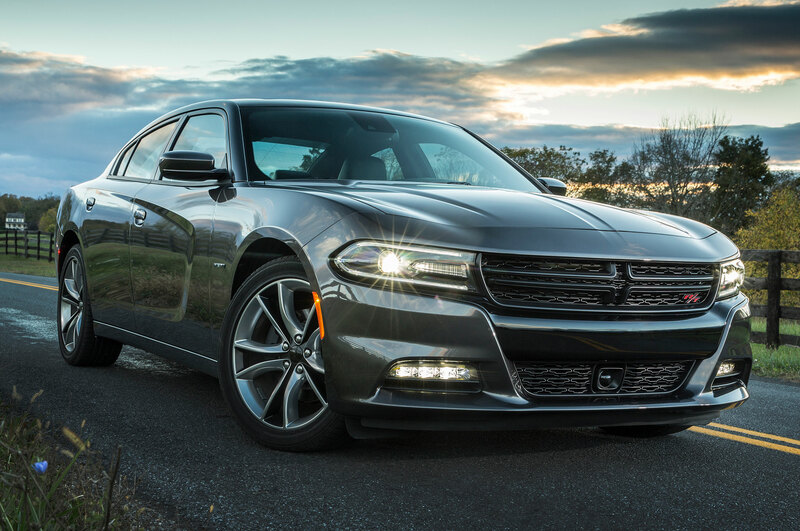 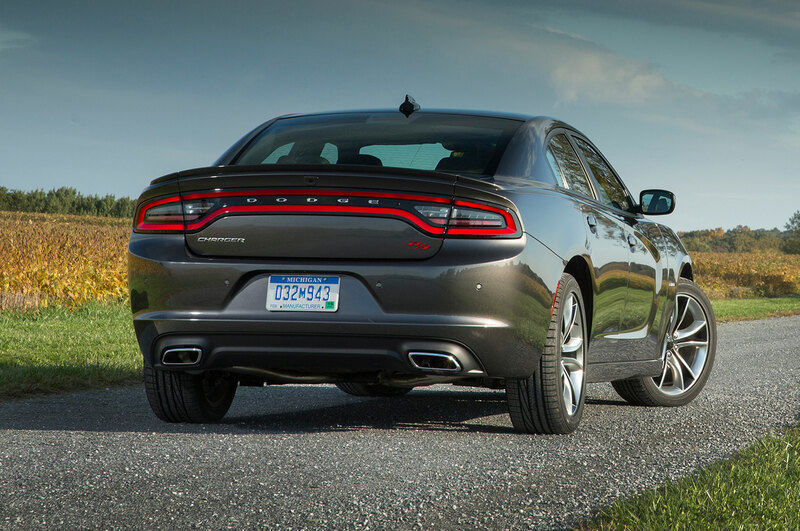 Take a look at the video below to discover which sedan is the biggest American badass.